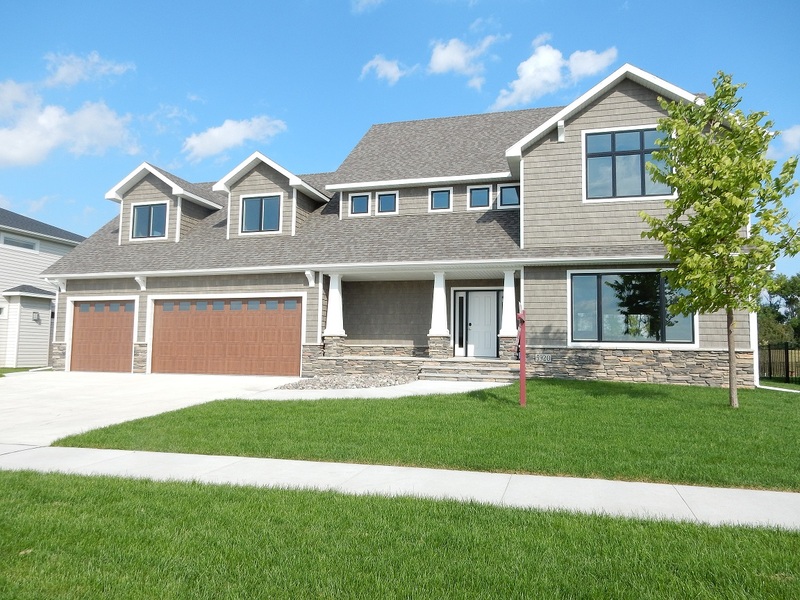 Beautiful 2 story home with 5 bedrooms, 3.5 baths. 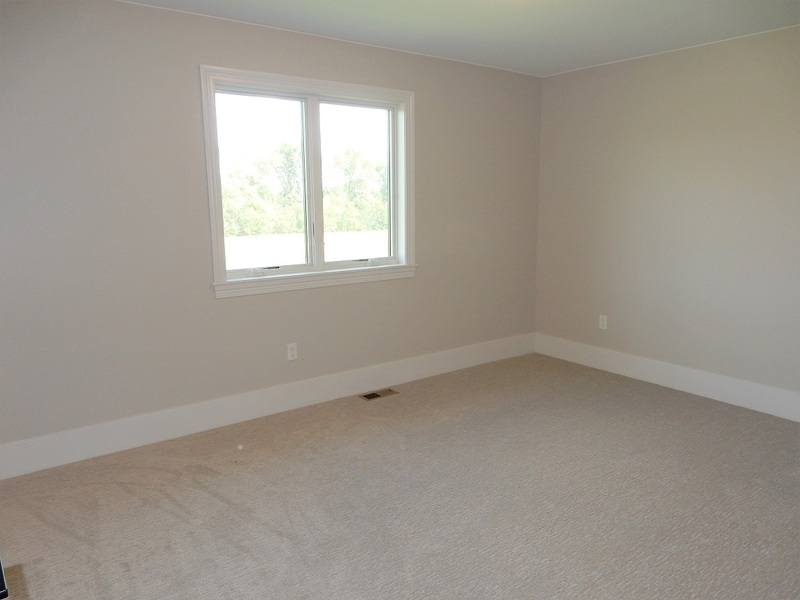 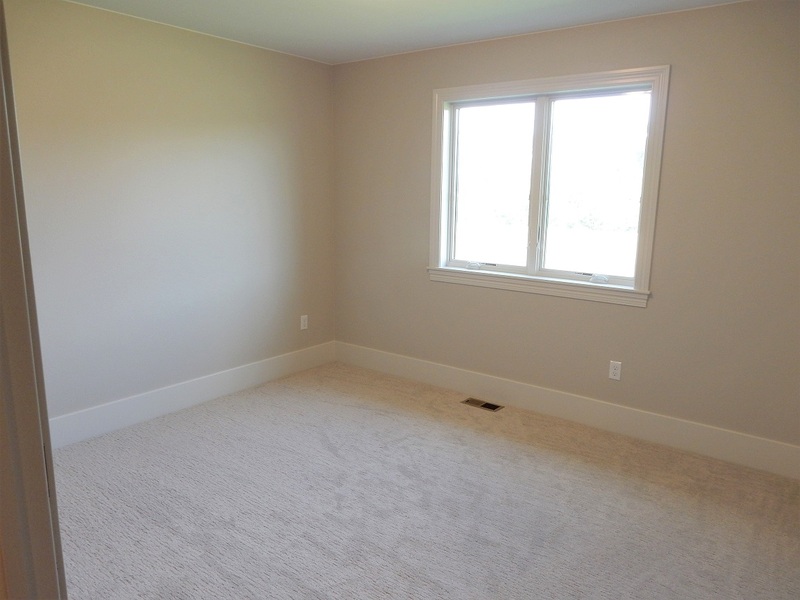 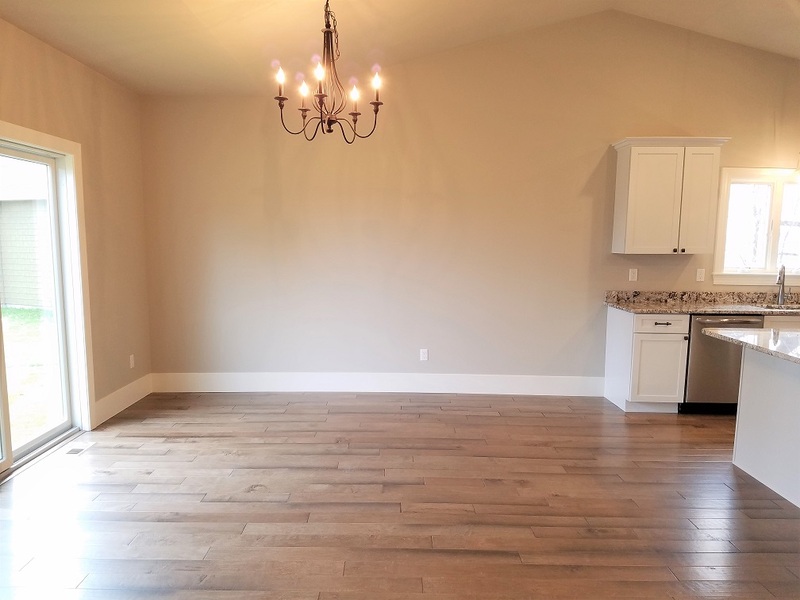 Main level features open layout with 9′ ceilings throughout, mud room with bench. 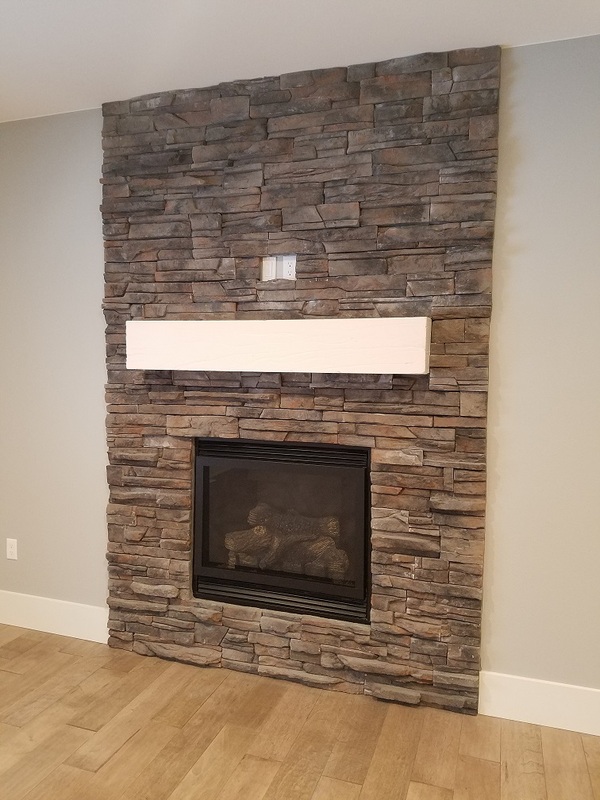 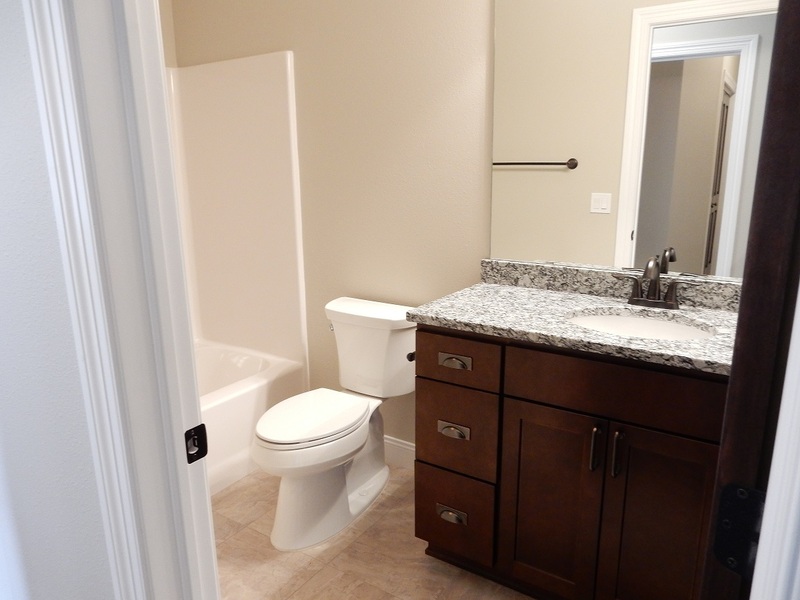 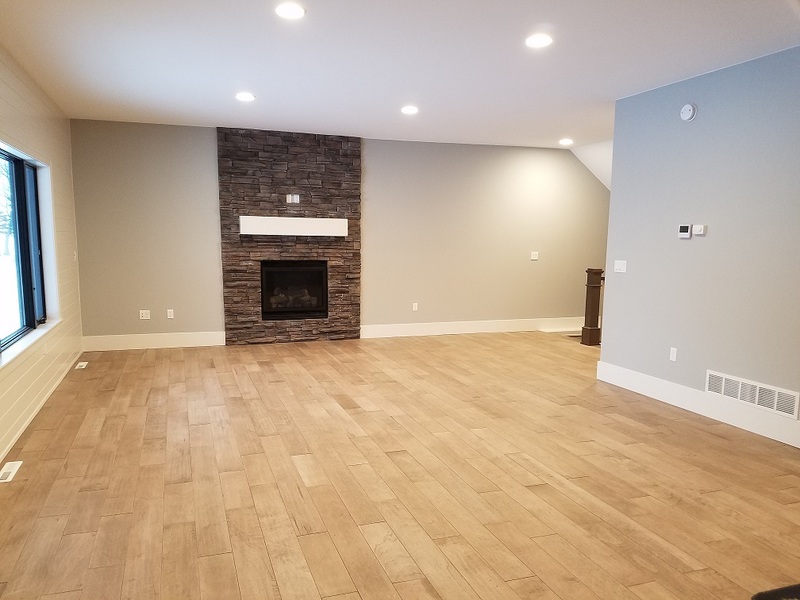 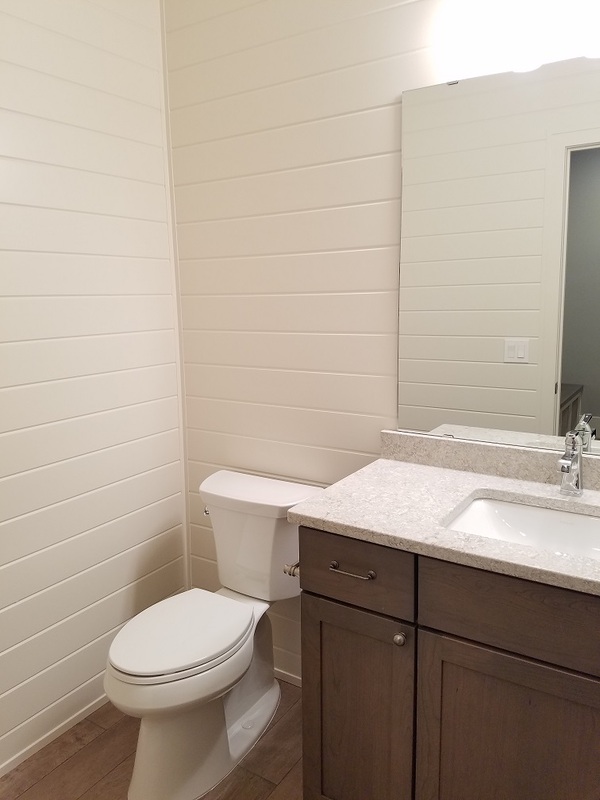 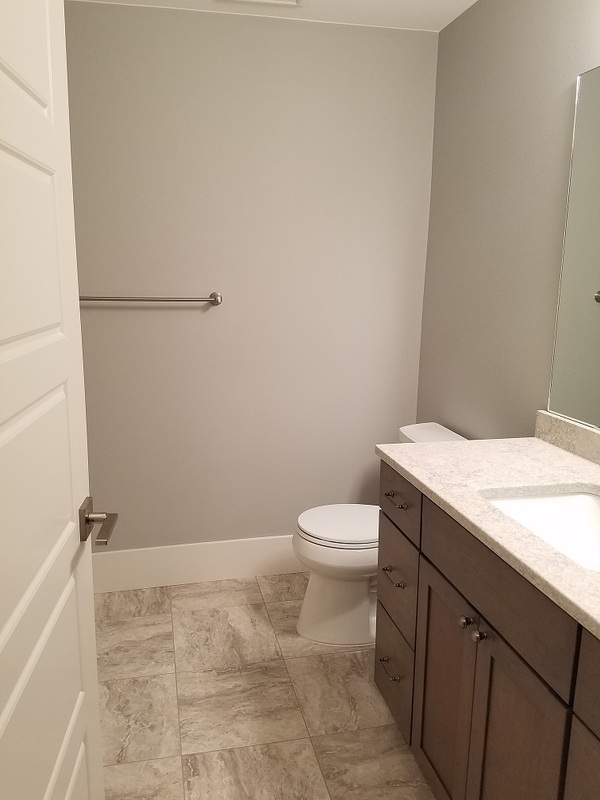 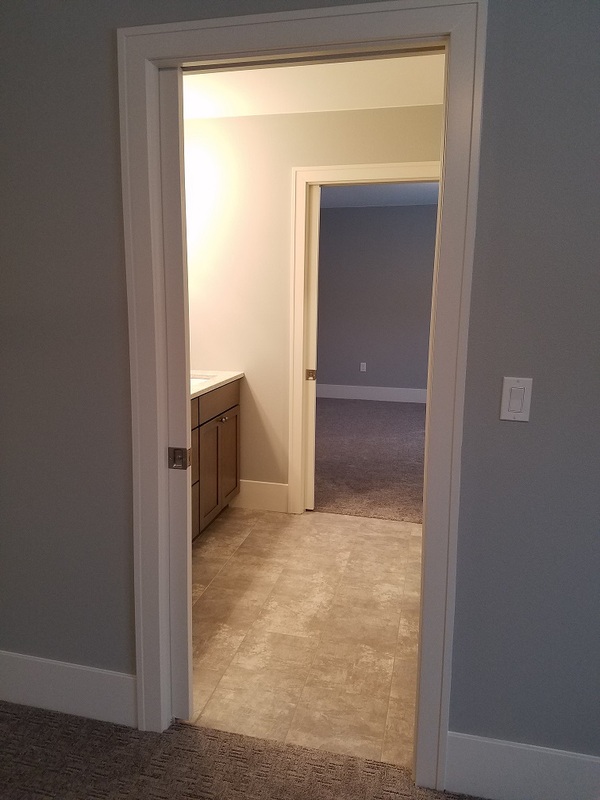 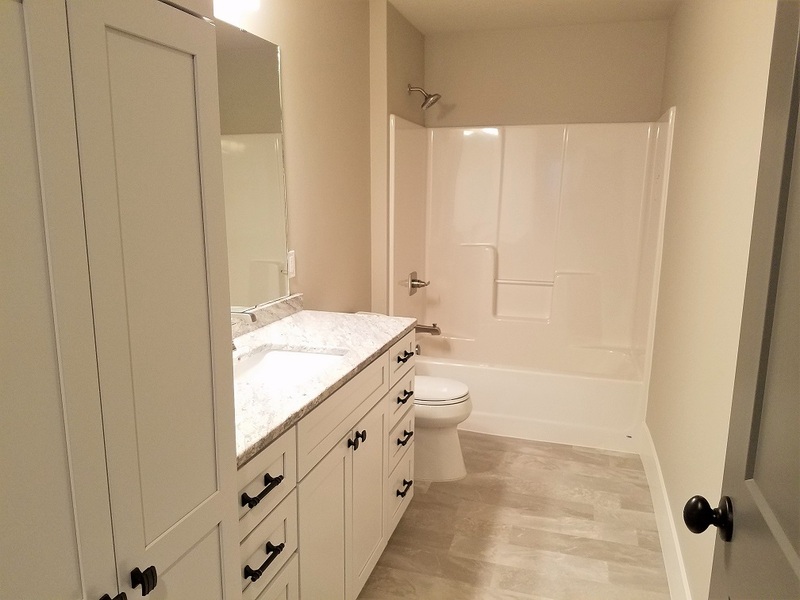 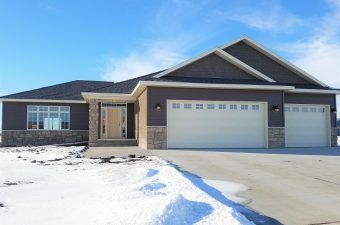 Andersen windows, granite countertops, hardwood flooring, a tile shower, freestanding tub, vaulted ceilings, bonus rooms, gas fireplace, nice size rec room. 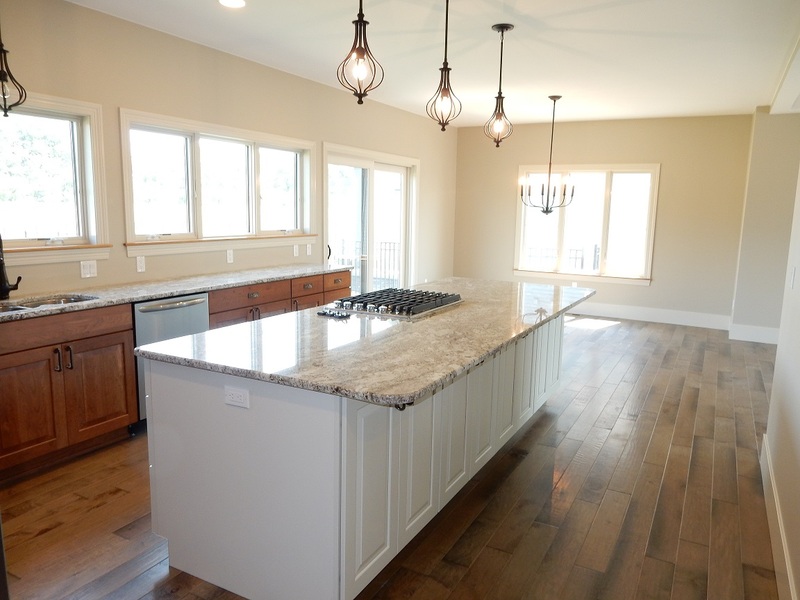 A must see new construction home! 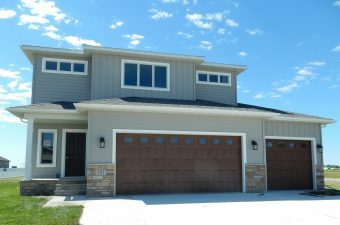 Beautiful 2 story new construction home with 5 bedrooms, 3.5 baths. 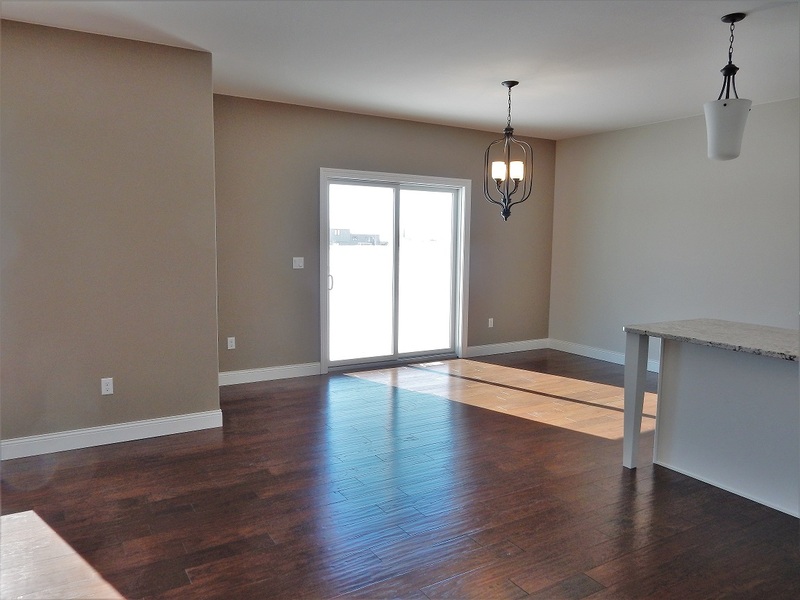 Main level features open layout with 9′ ceilings throughout. 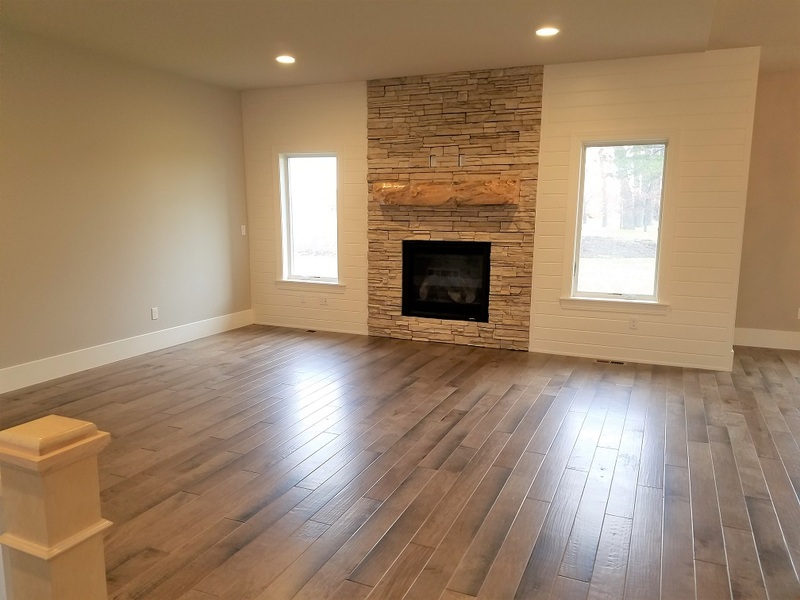 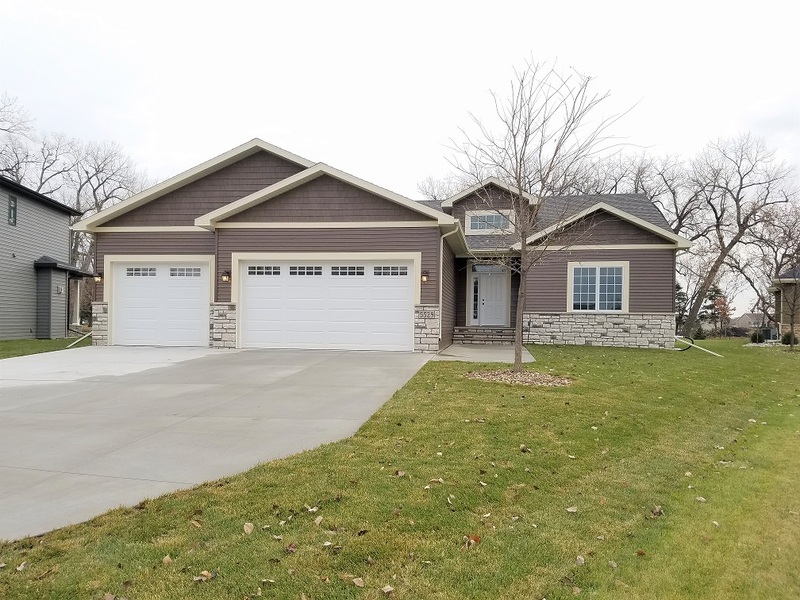 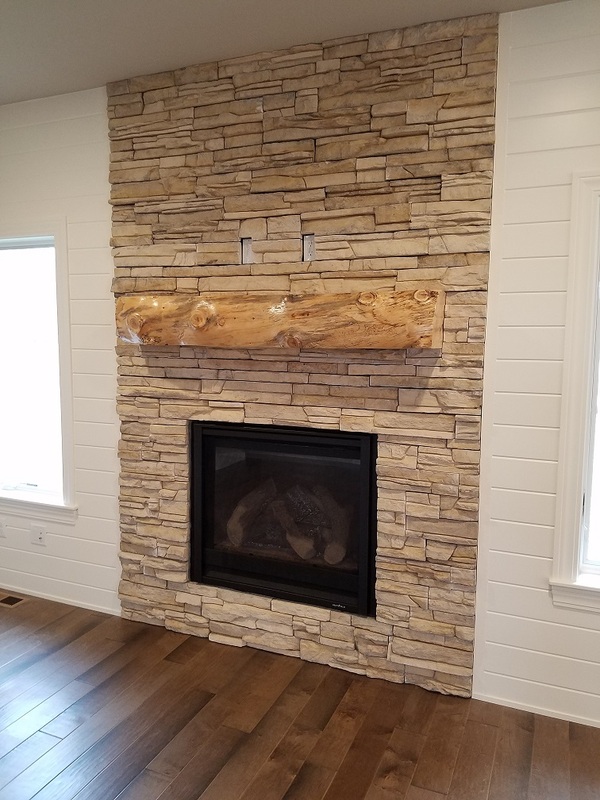 Andersen windows, granite countertops, engineered hardwood throughout entry, kitchen and breakfast/dining area, stainless steel appliances, a tiled shower in master bath and jetted tub, vaulted ceilings, beautiful fireplace surround, rebar railings around staircase. 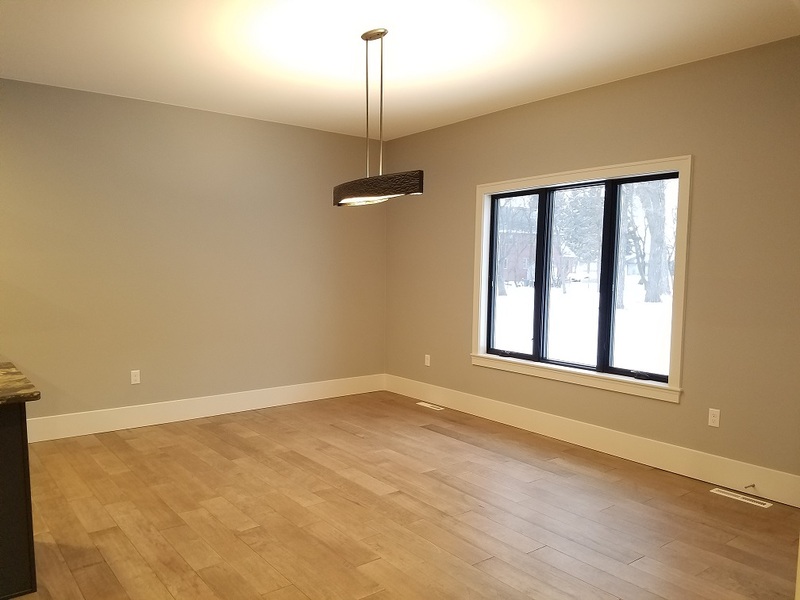 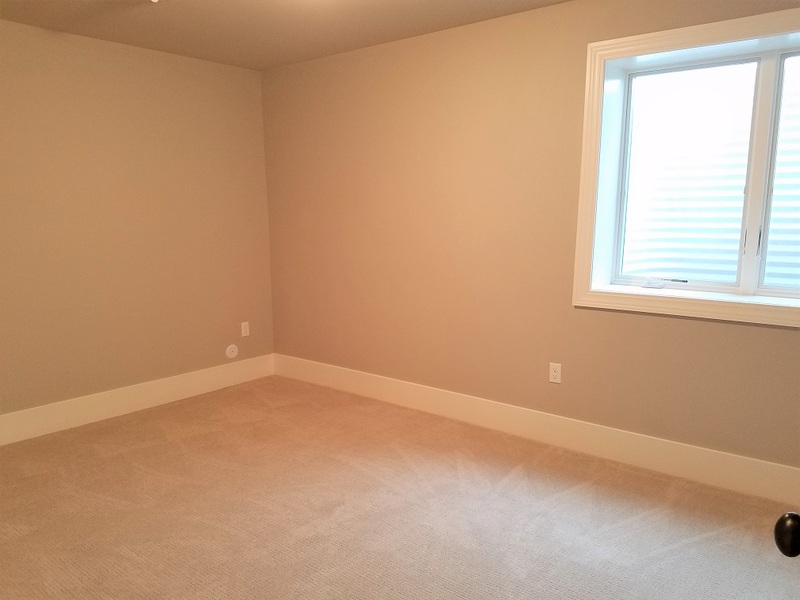 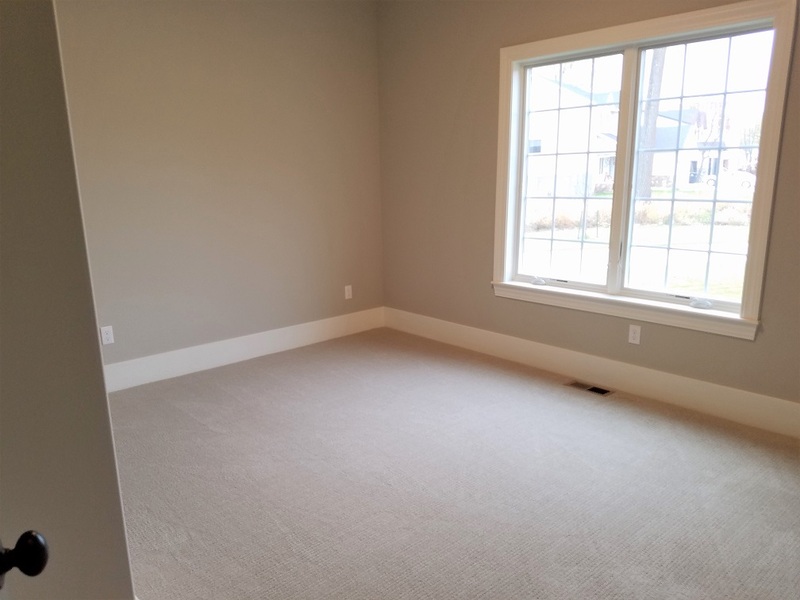 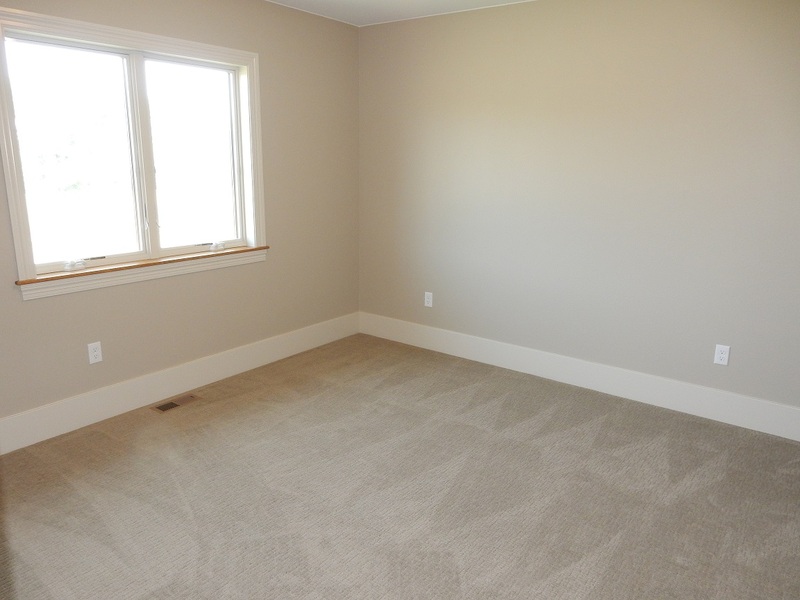 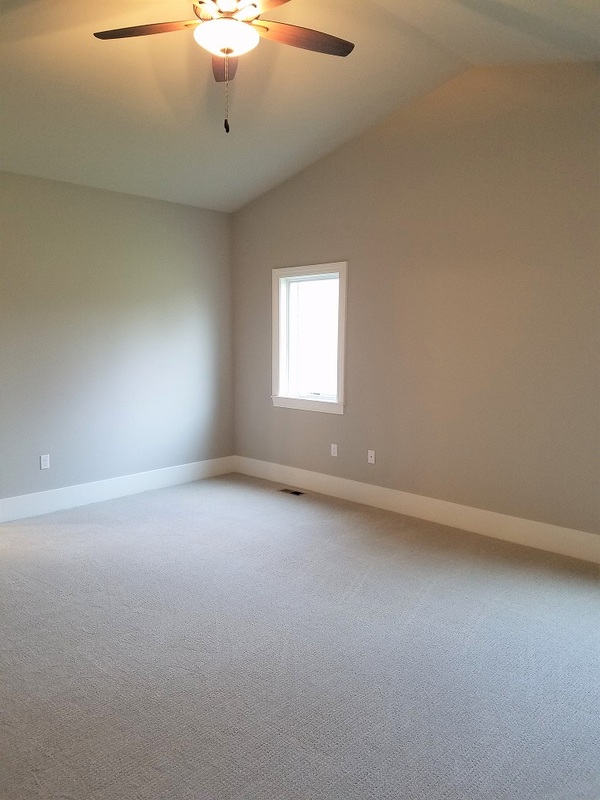 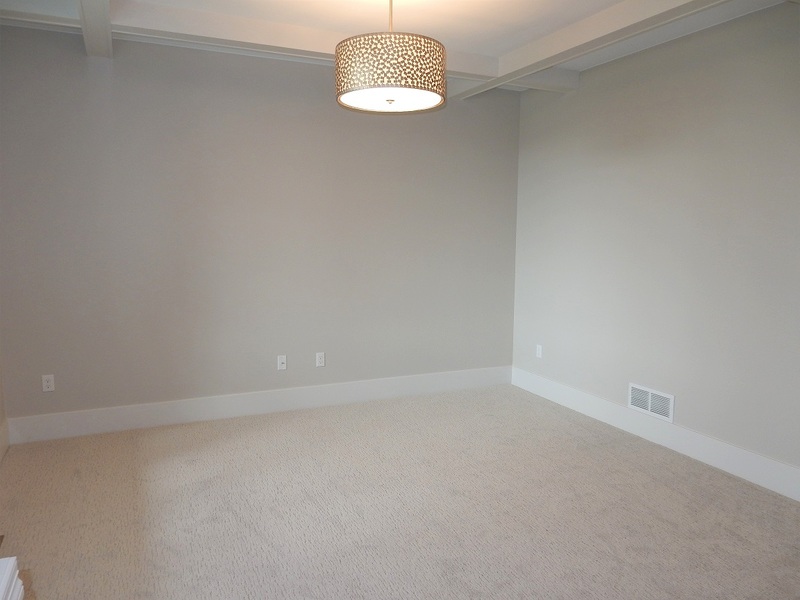 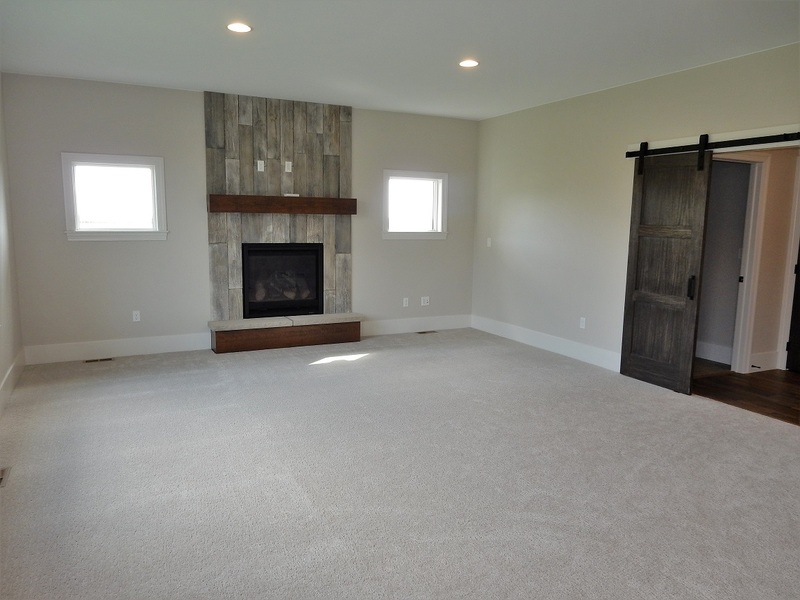 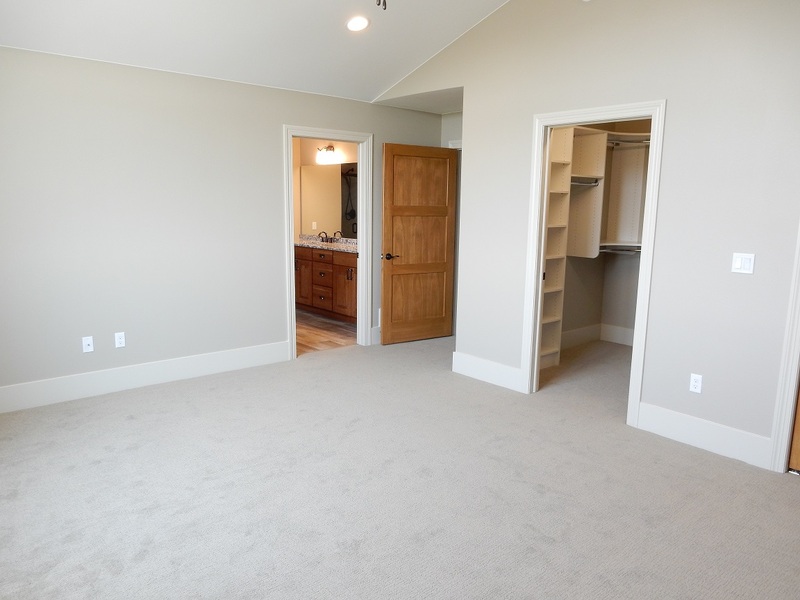 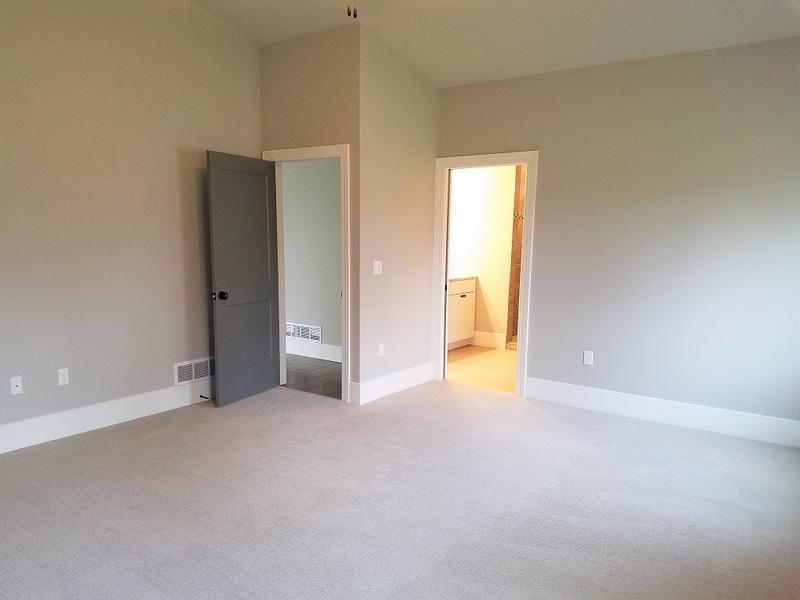 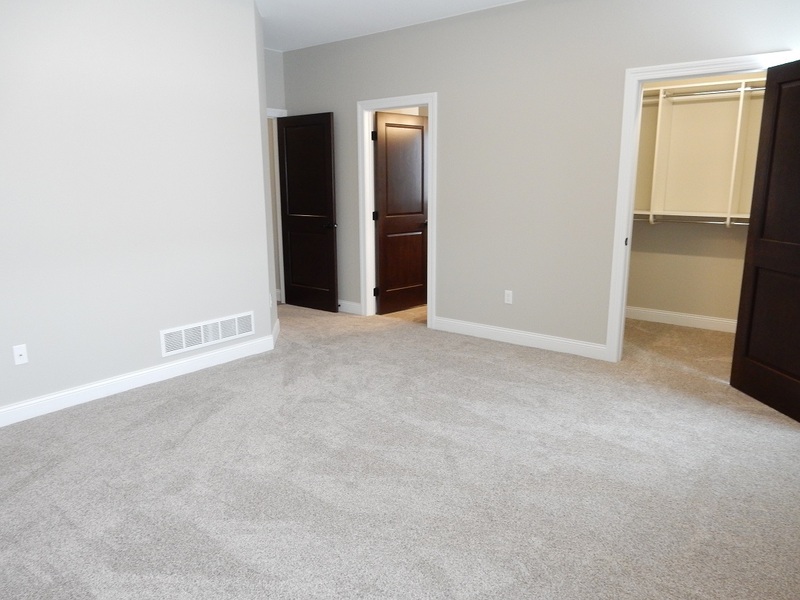 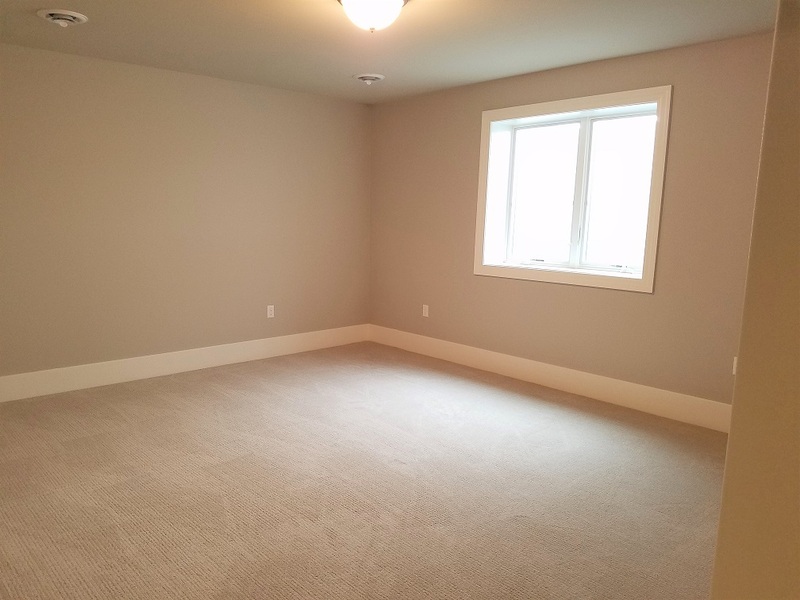 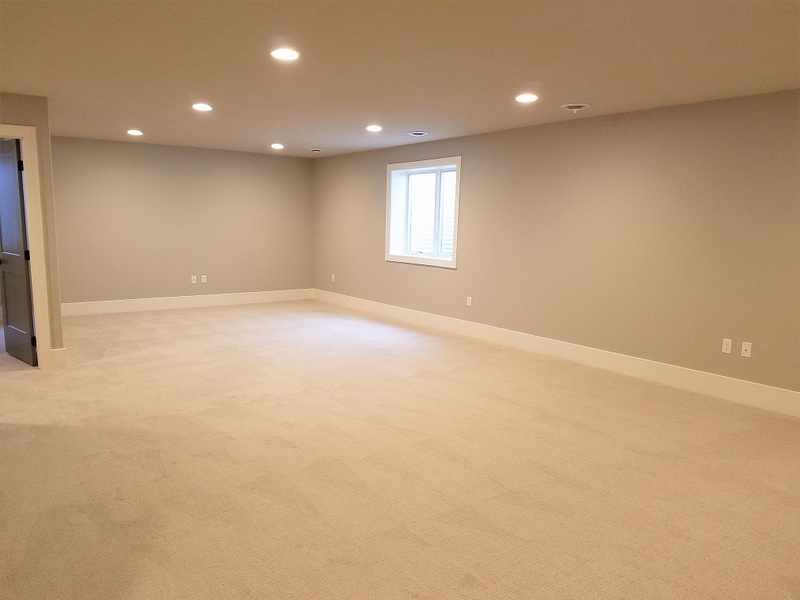 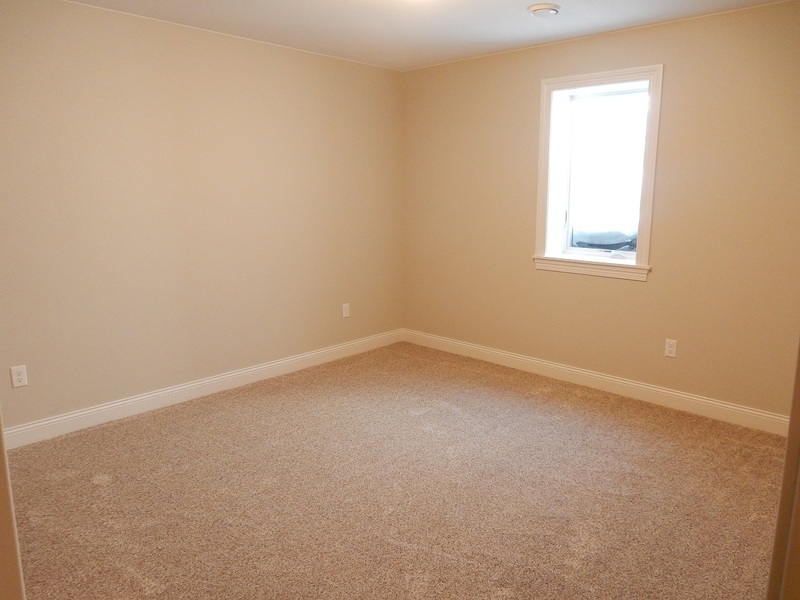 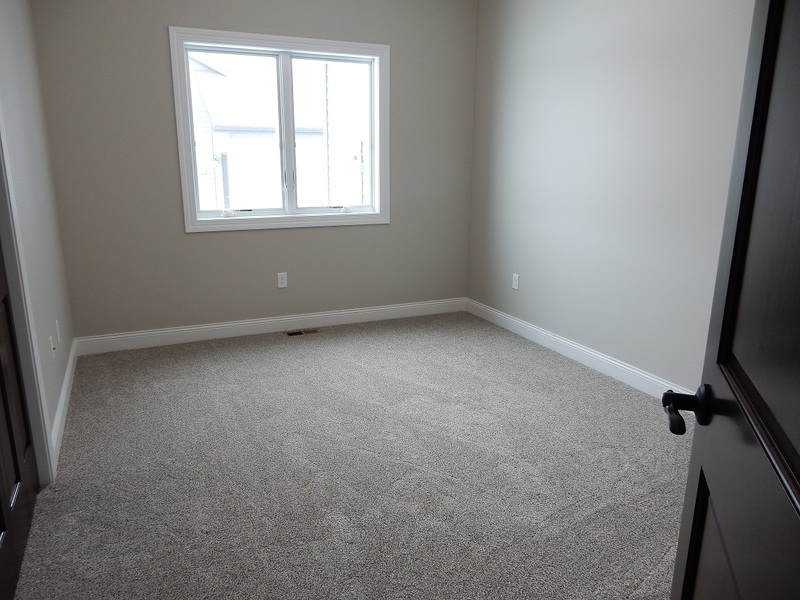 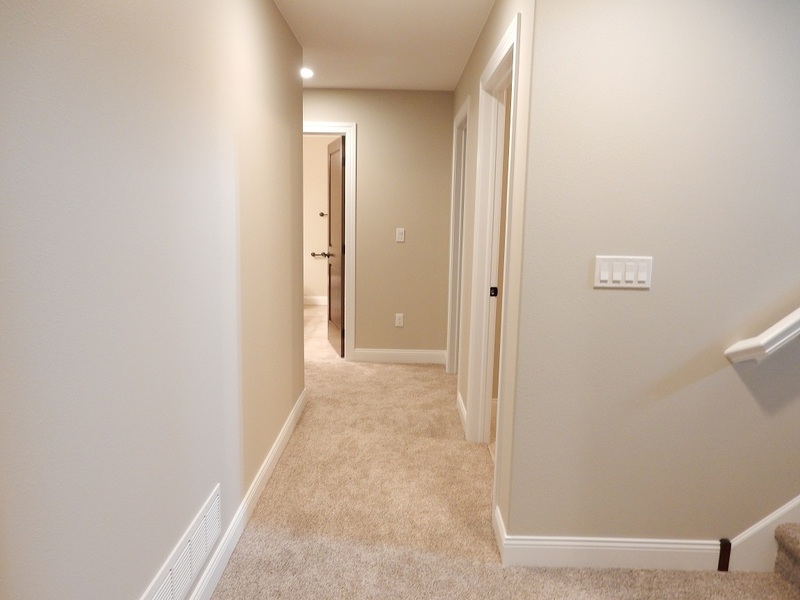 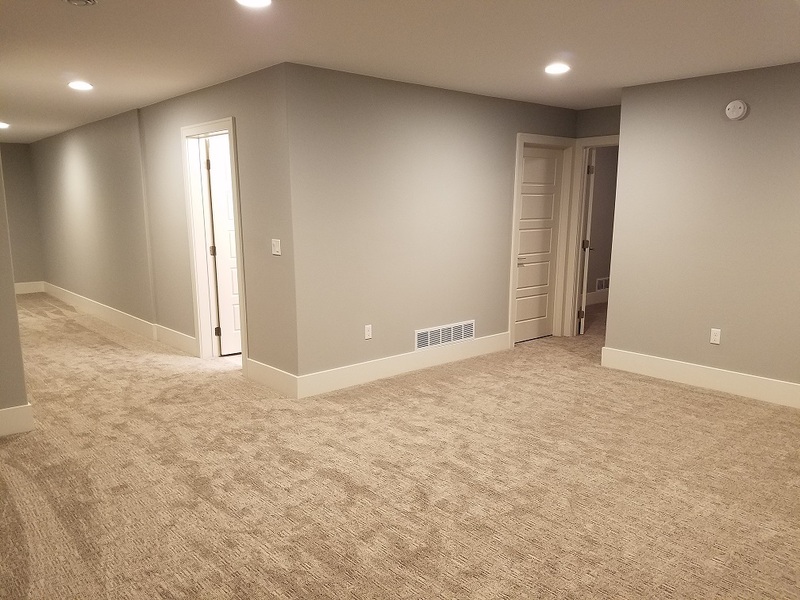 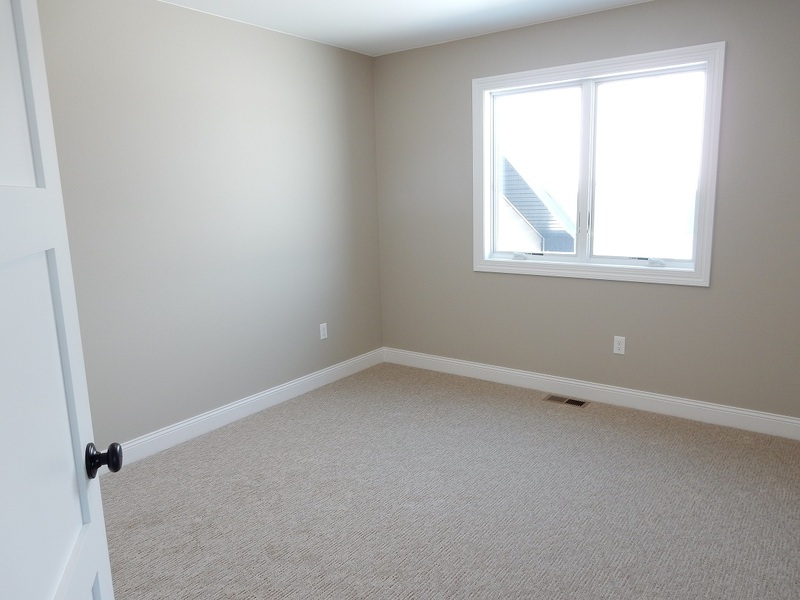 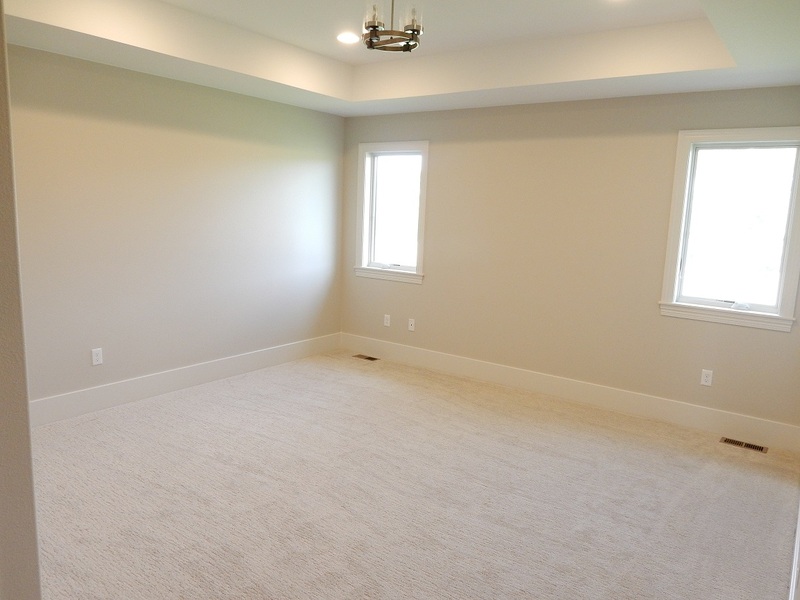 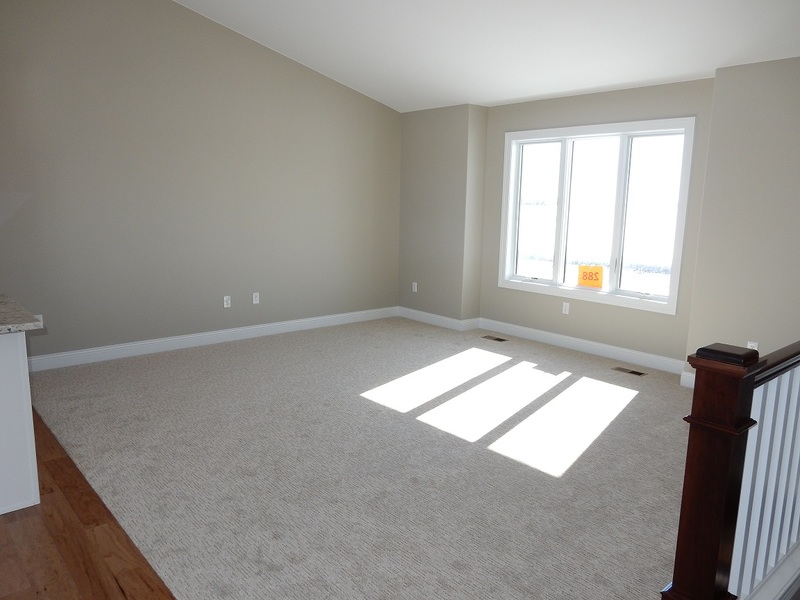 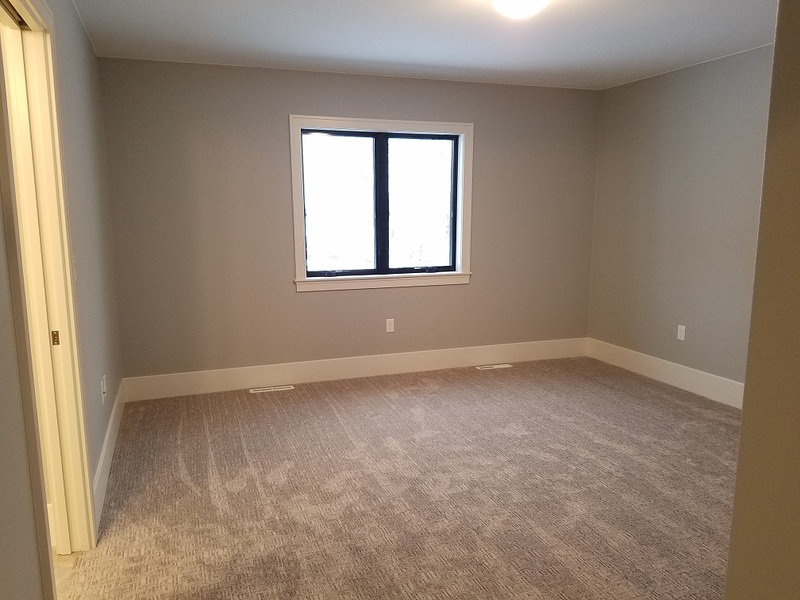 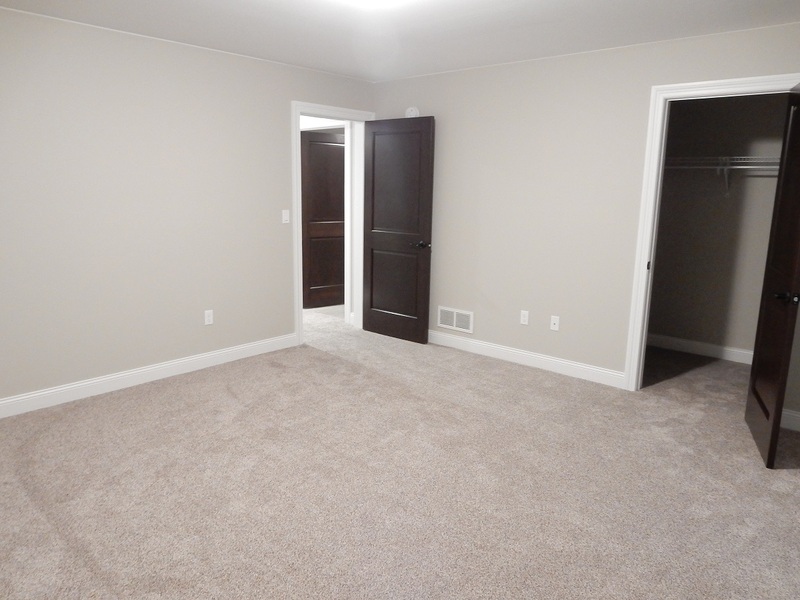 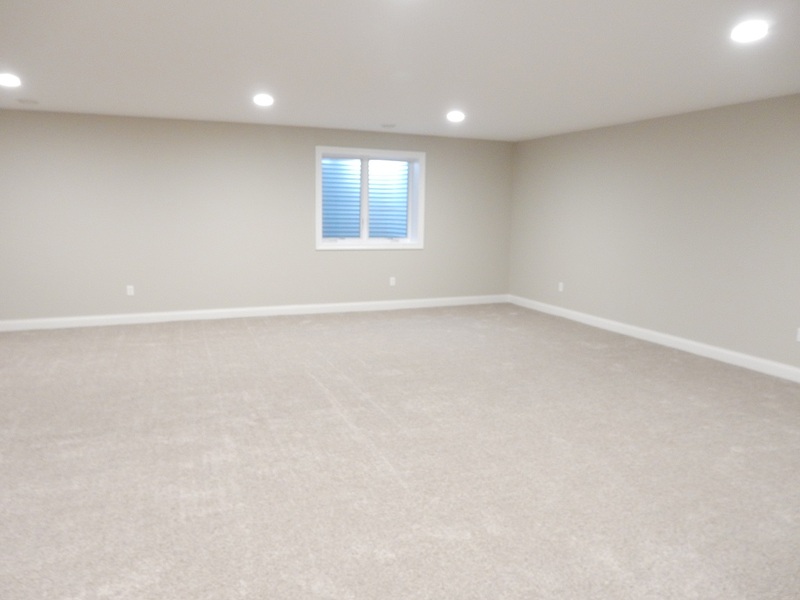 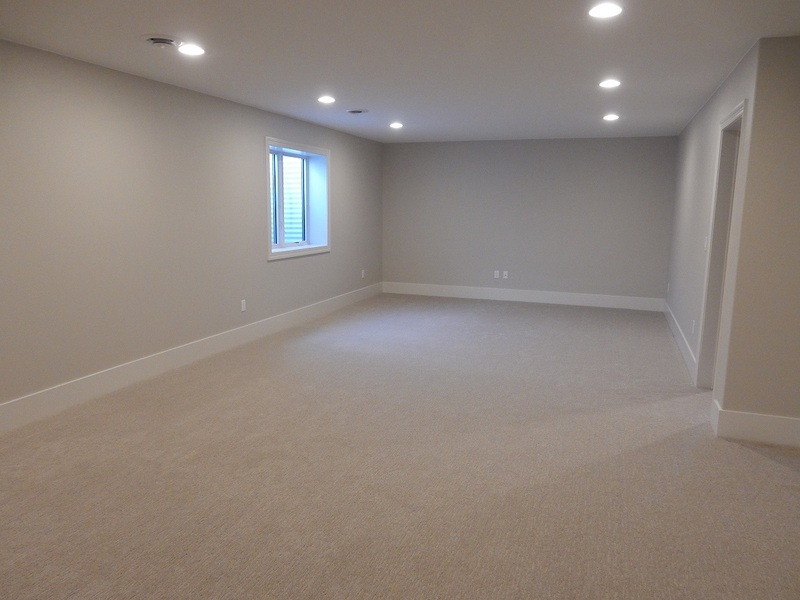 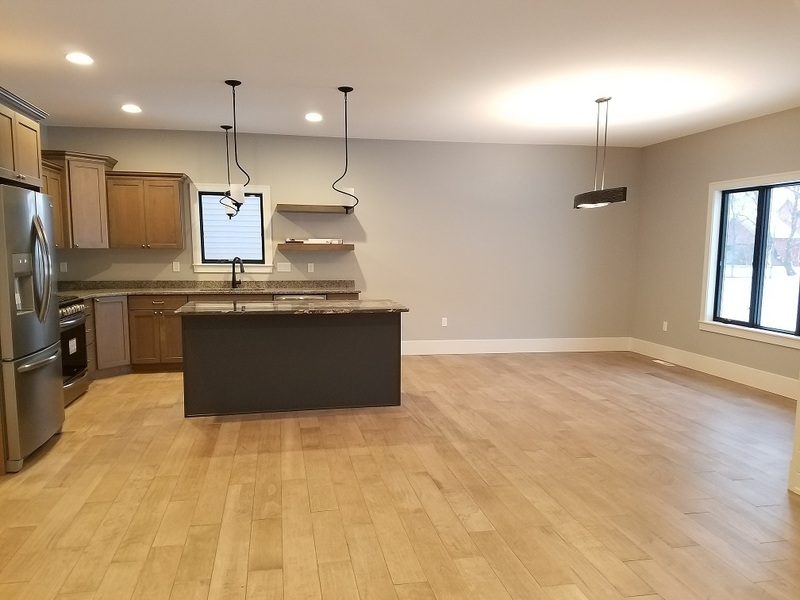 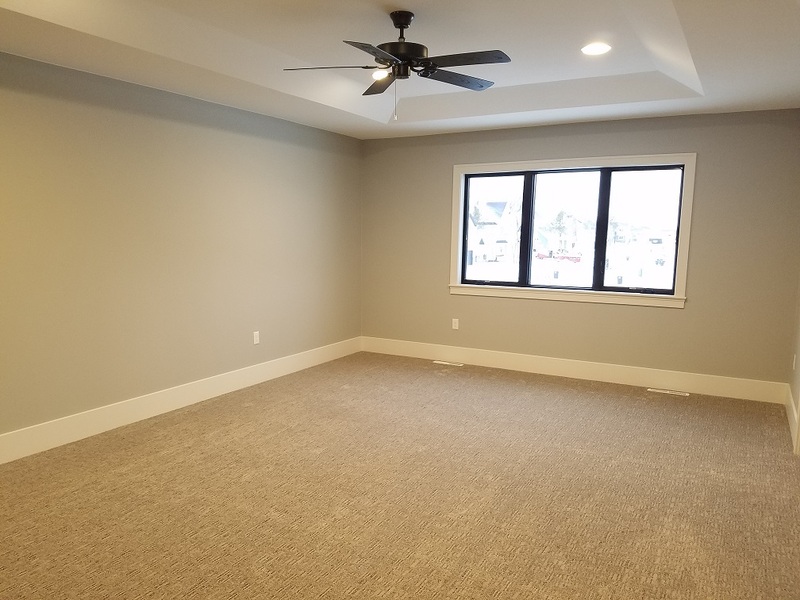 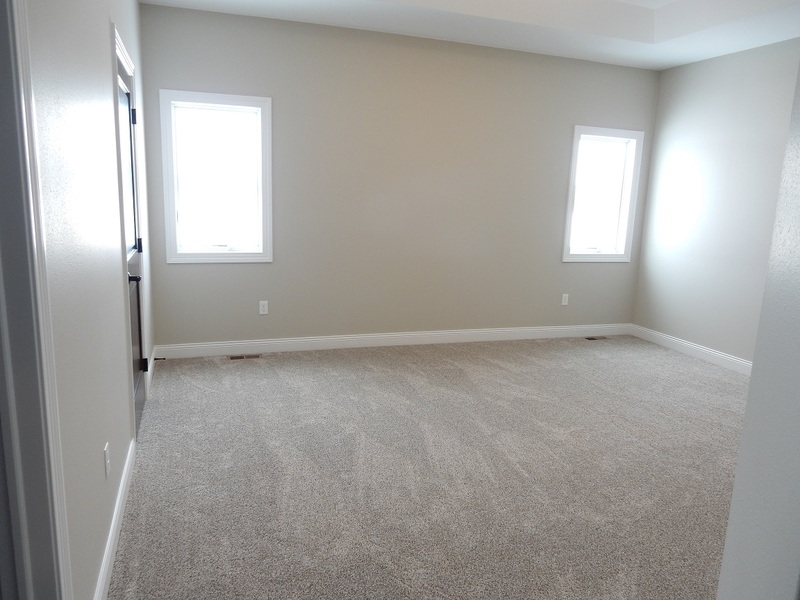 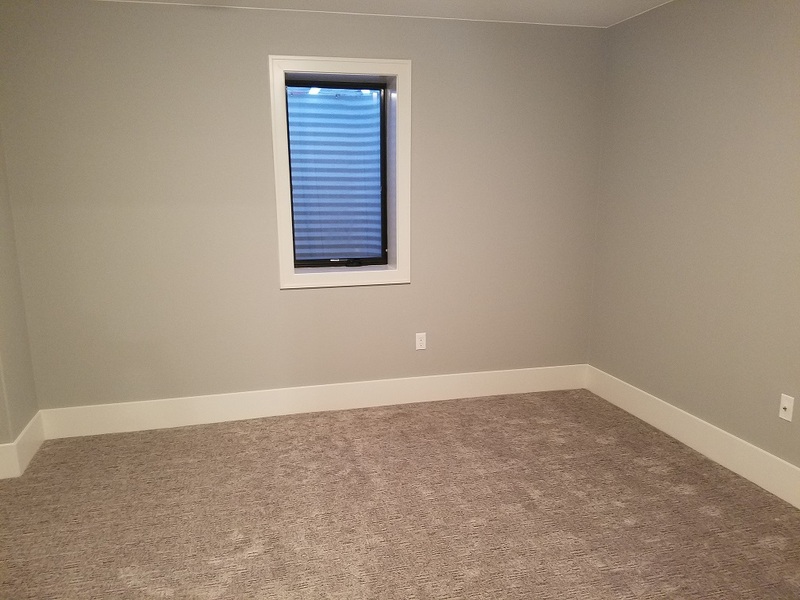 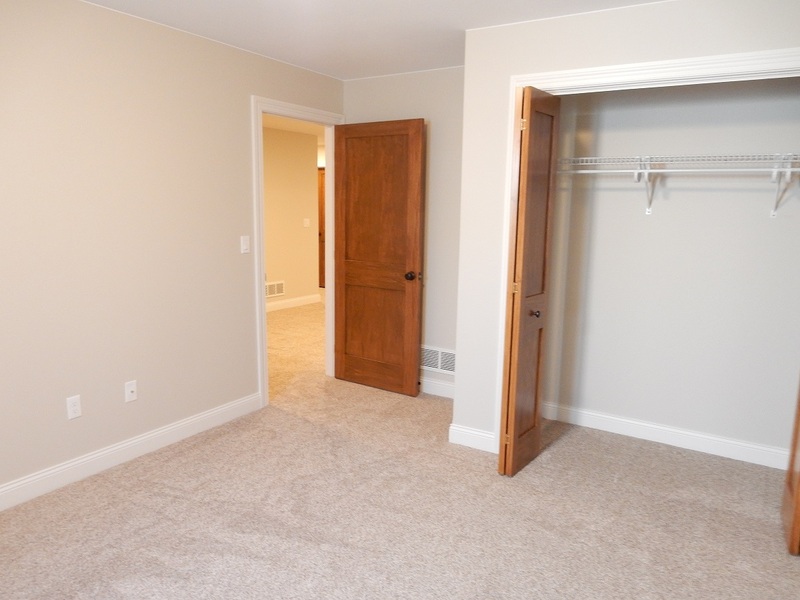 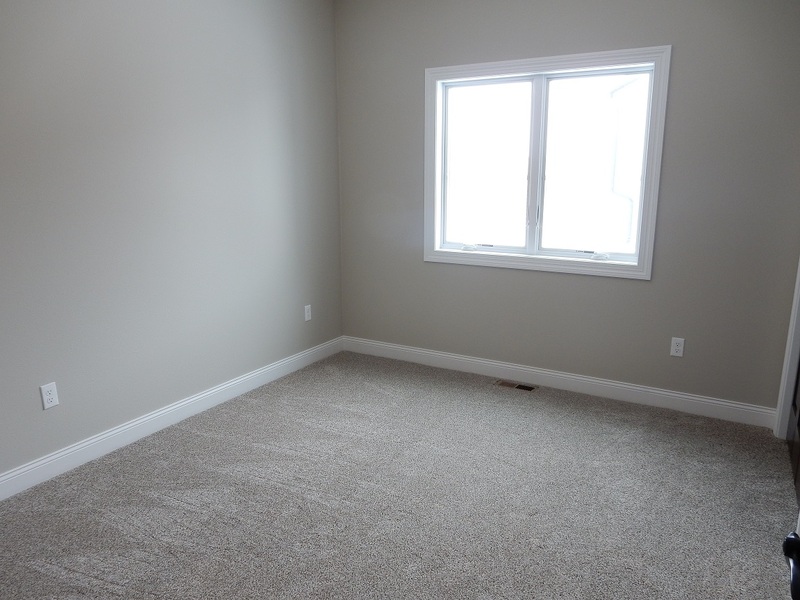 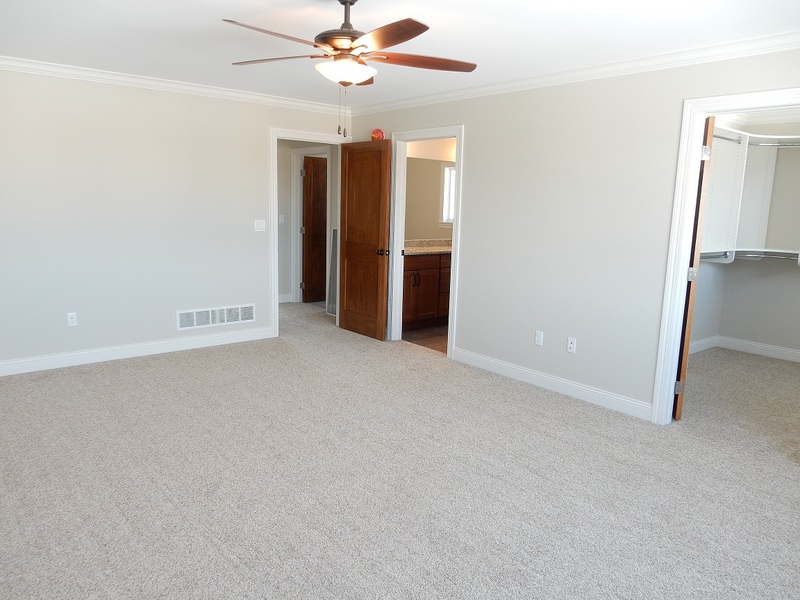 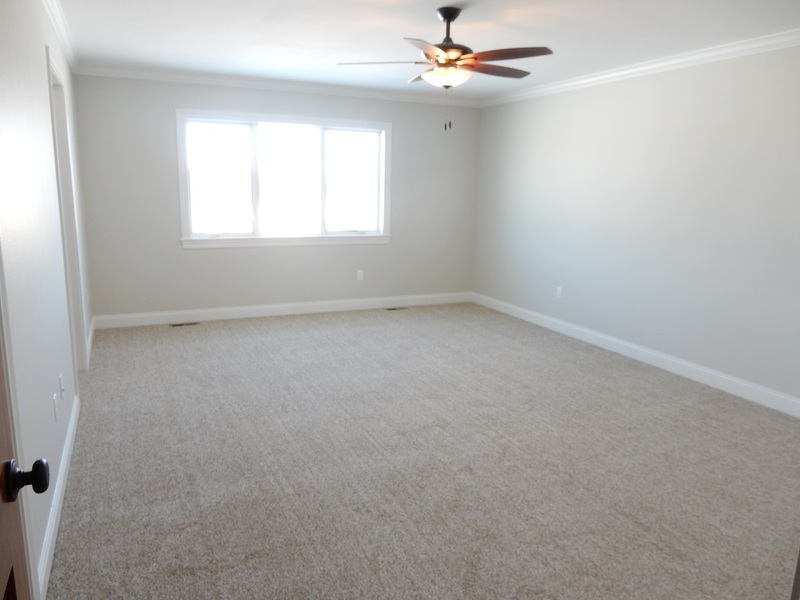 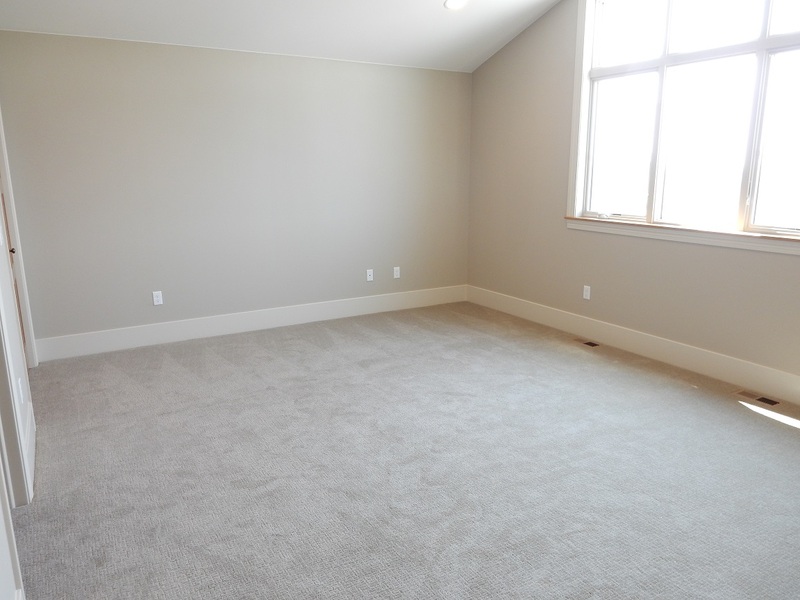 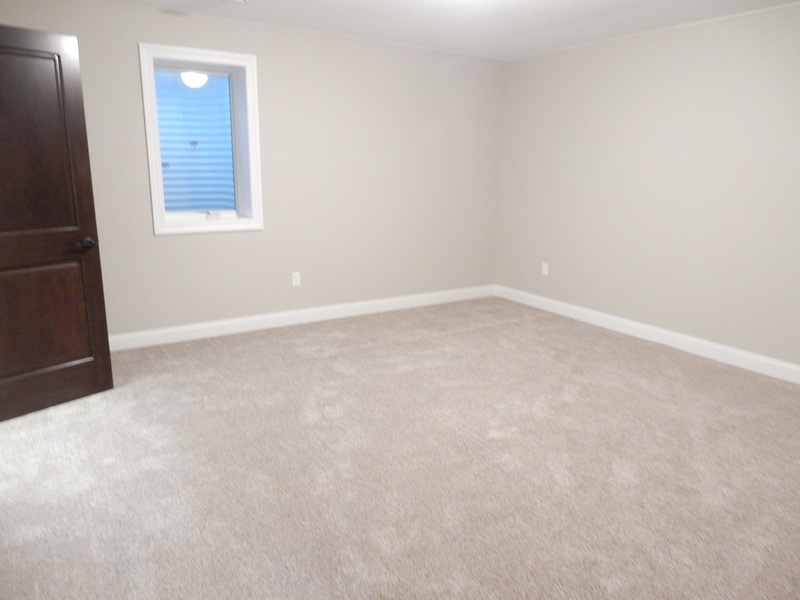 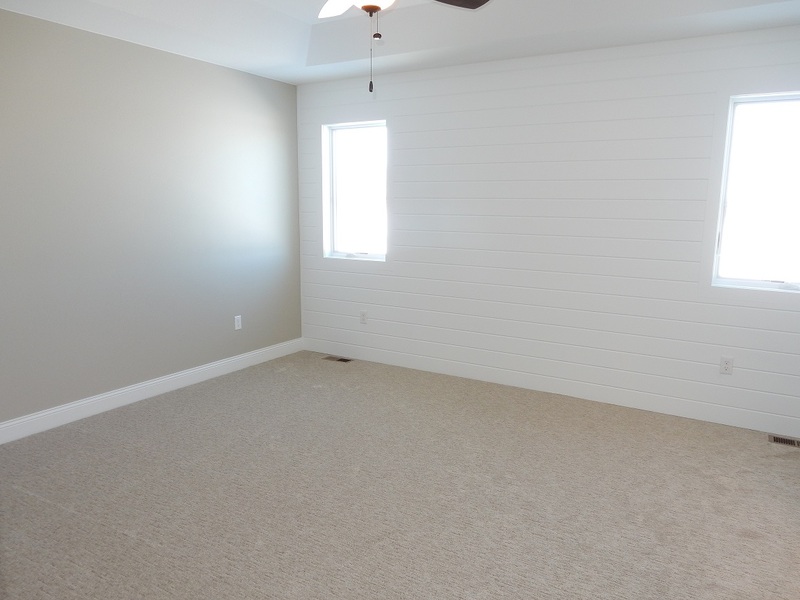 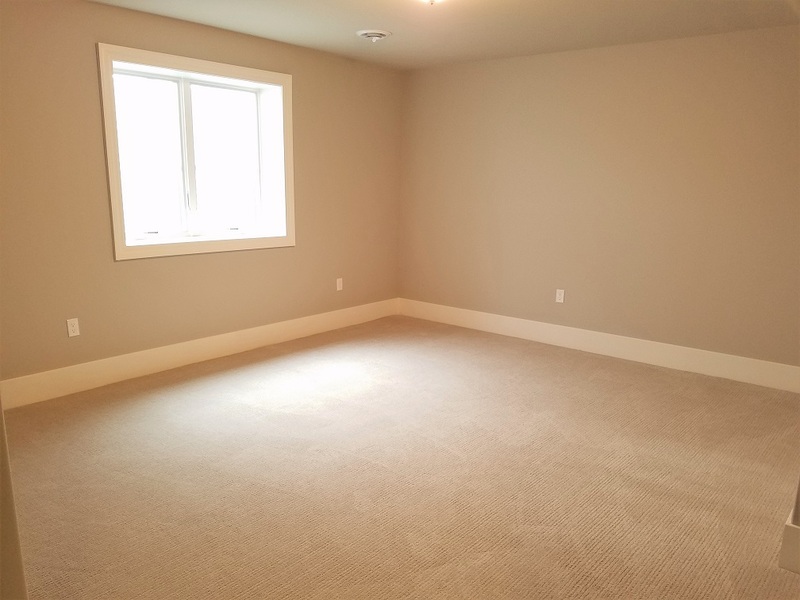 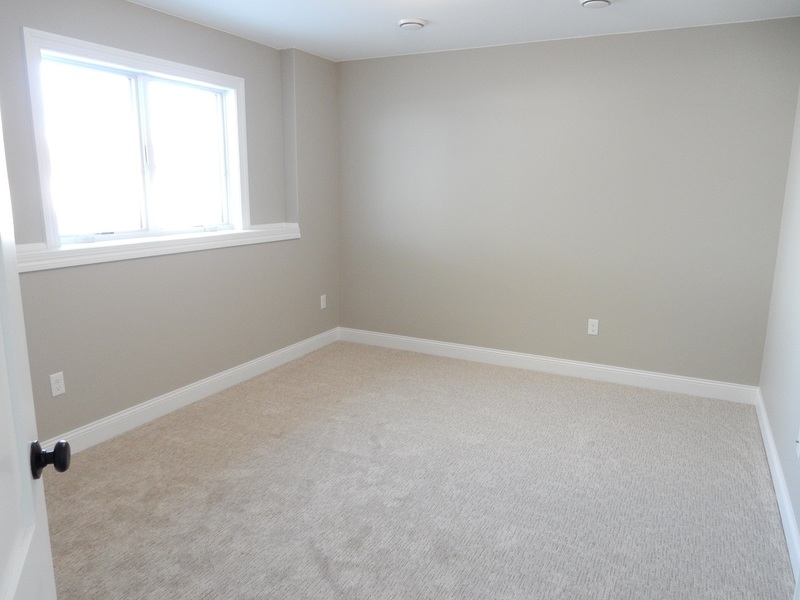 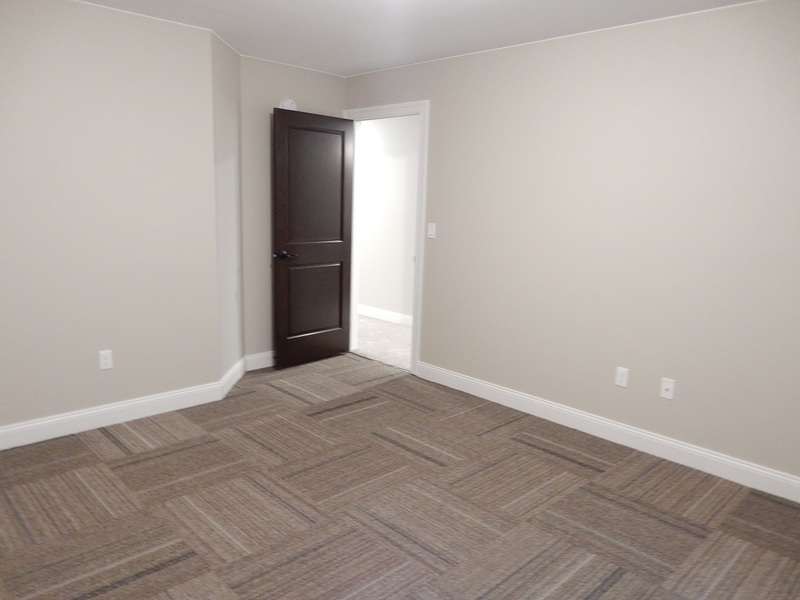 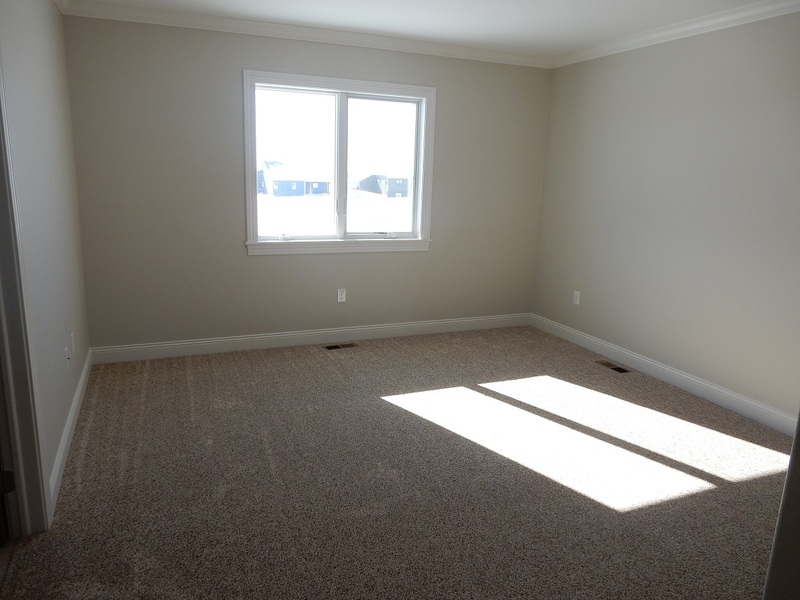 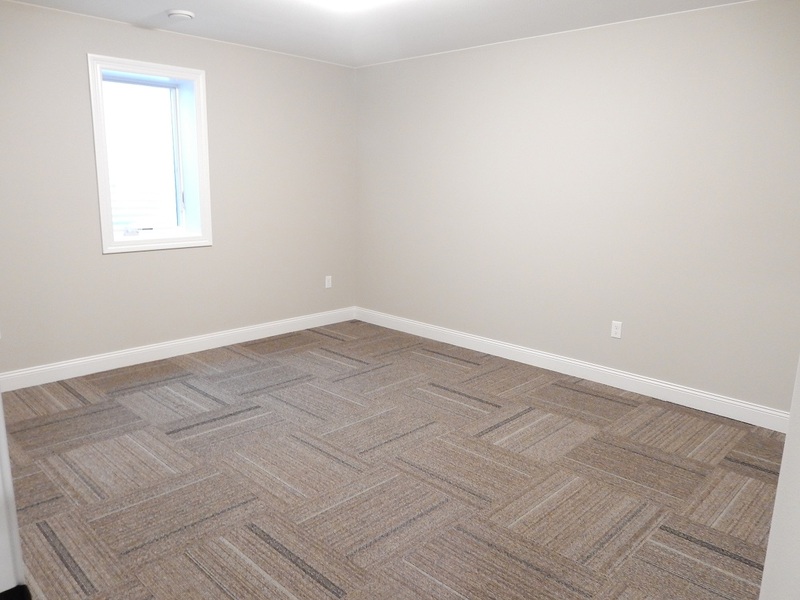 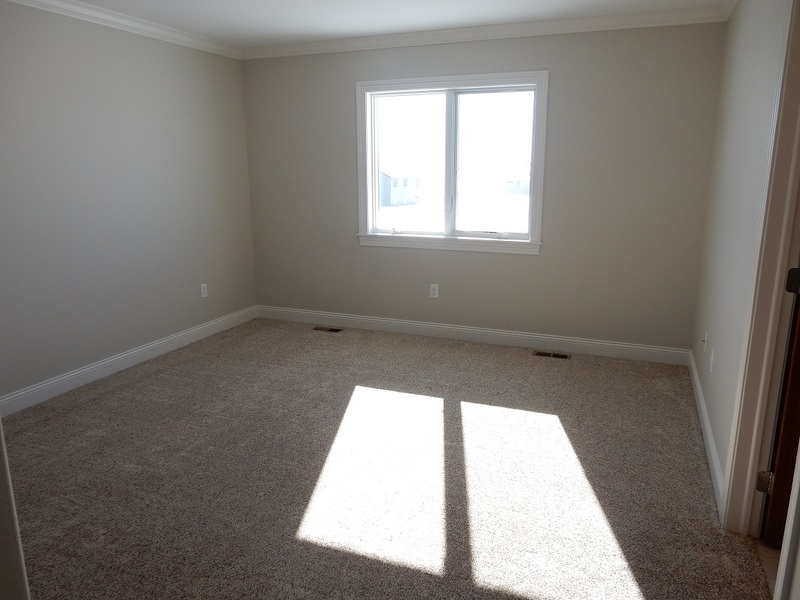 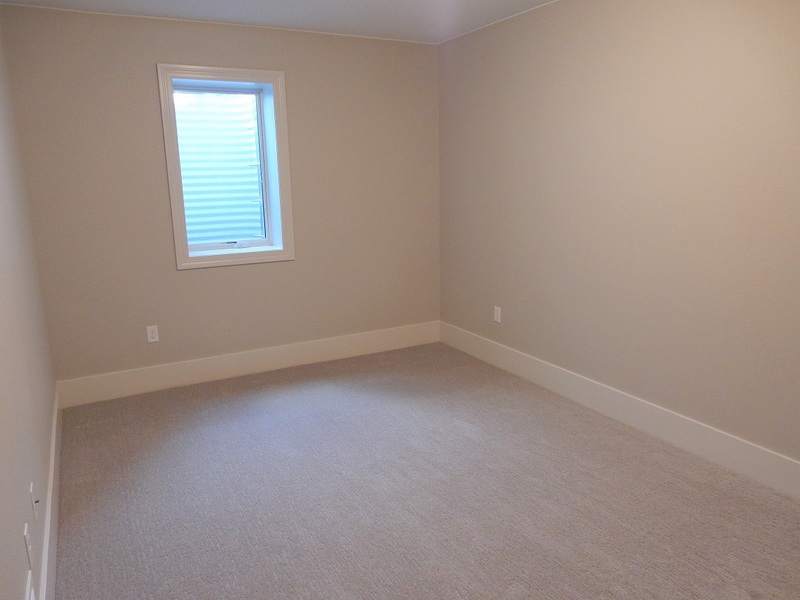 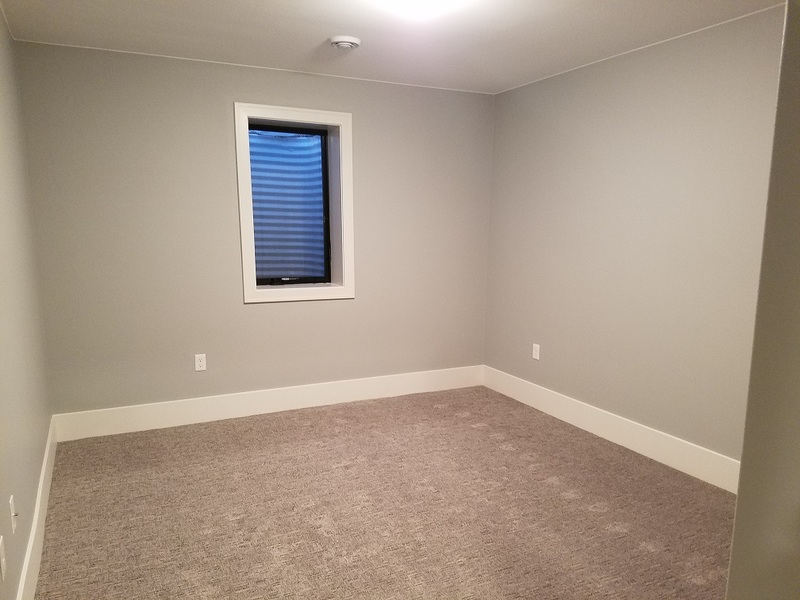 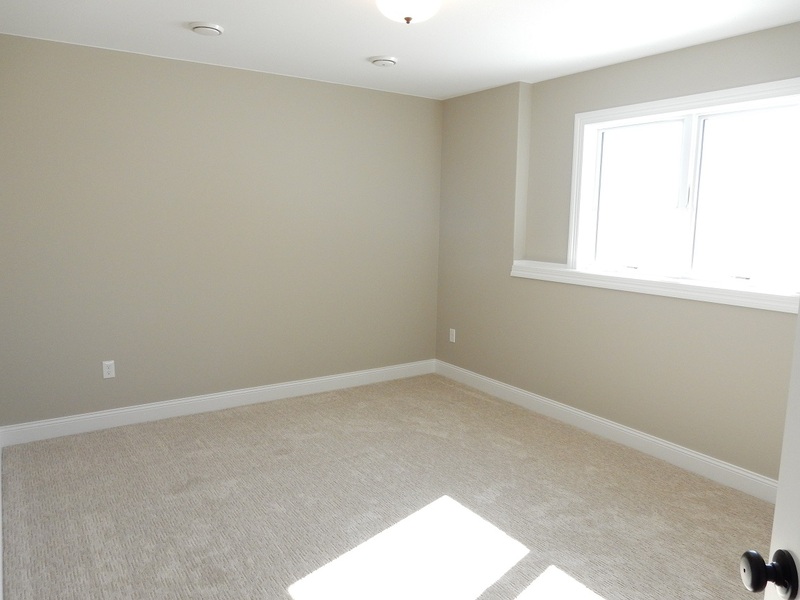 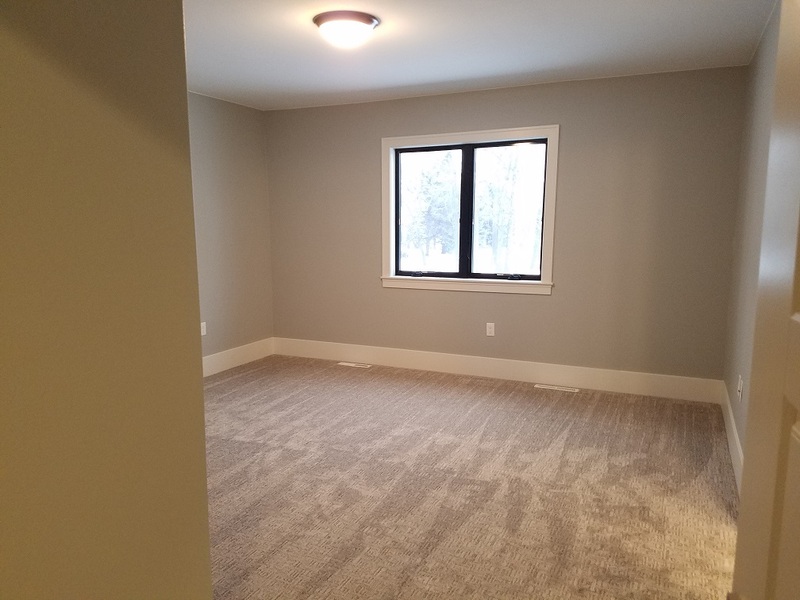 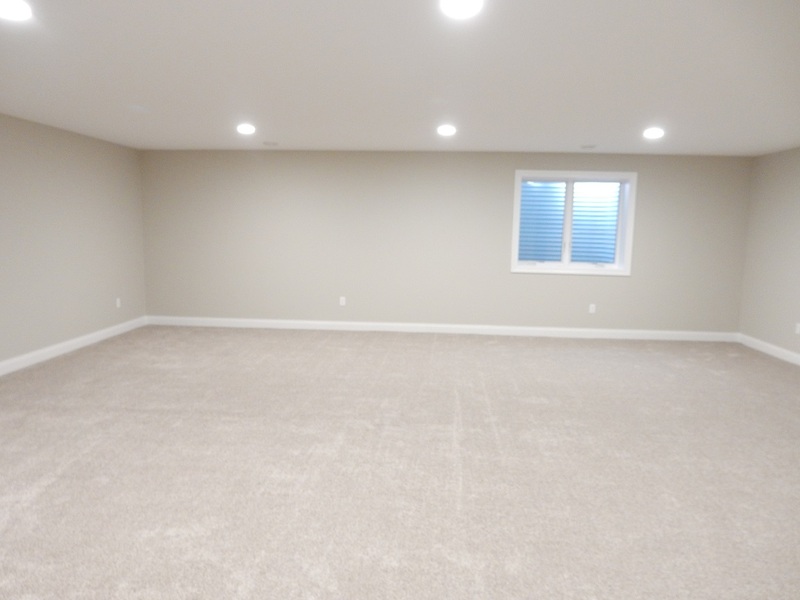 Nice sized lower level rec room with 2 additional bedrooms and a bath. 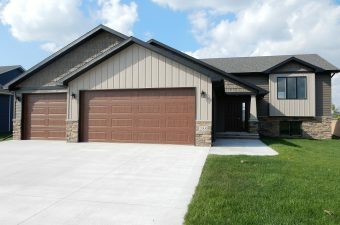 A must see home!! 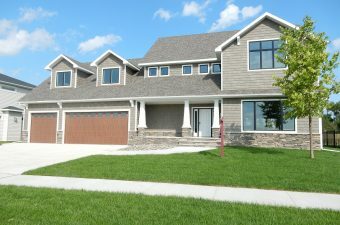 Beautiful 2 story new construction home with 5 bed, 3.5 baths. 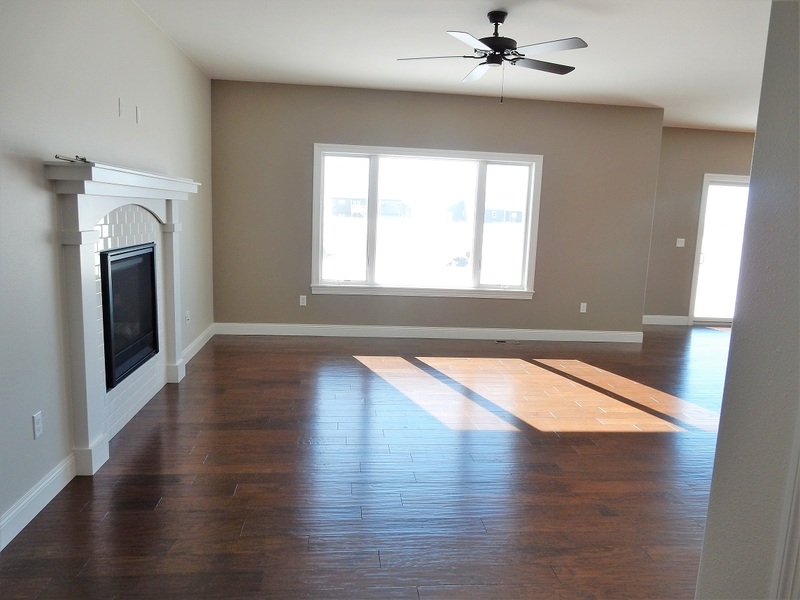 9′ ceilings throughout main level with an open living area & fireplace. 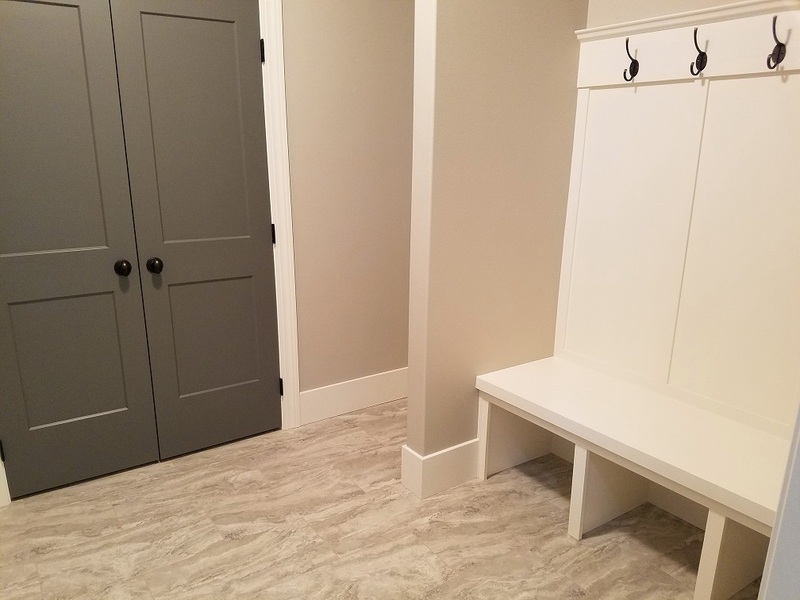 Granite countertops, mudroom with bench off garage entry. 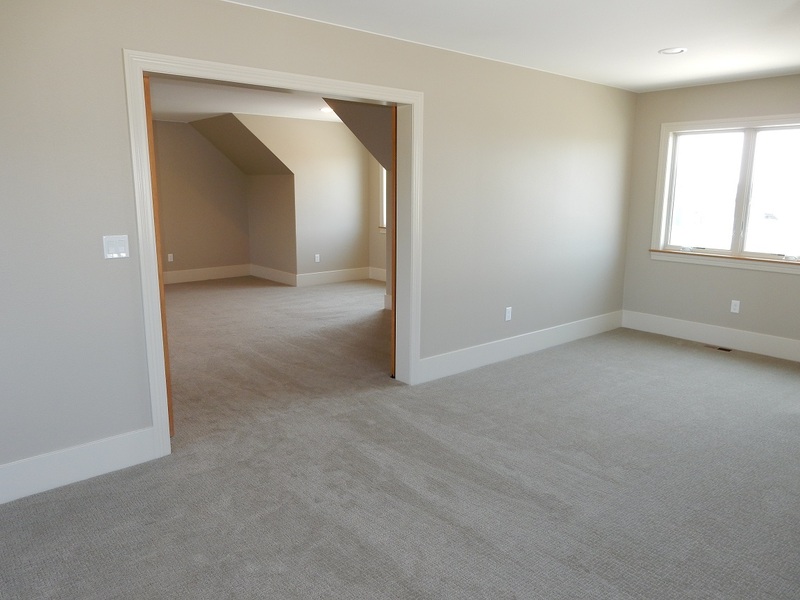 3 beds on second level including master suite. 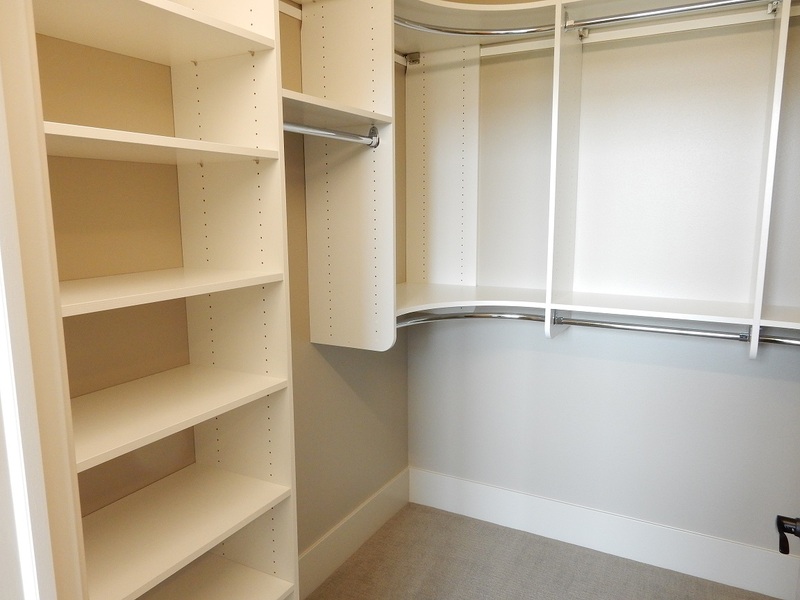 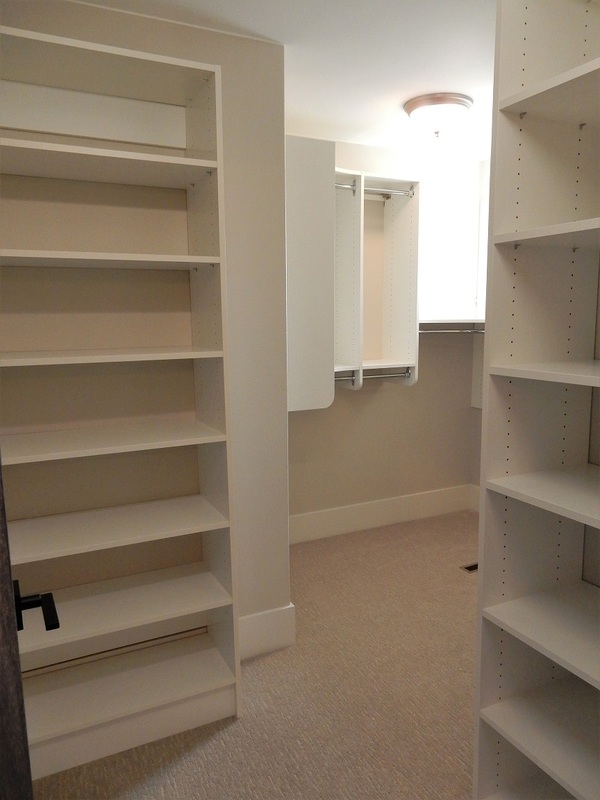 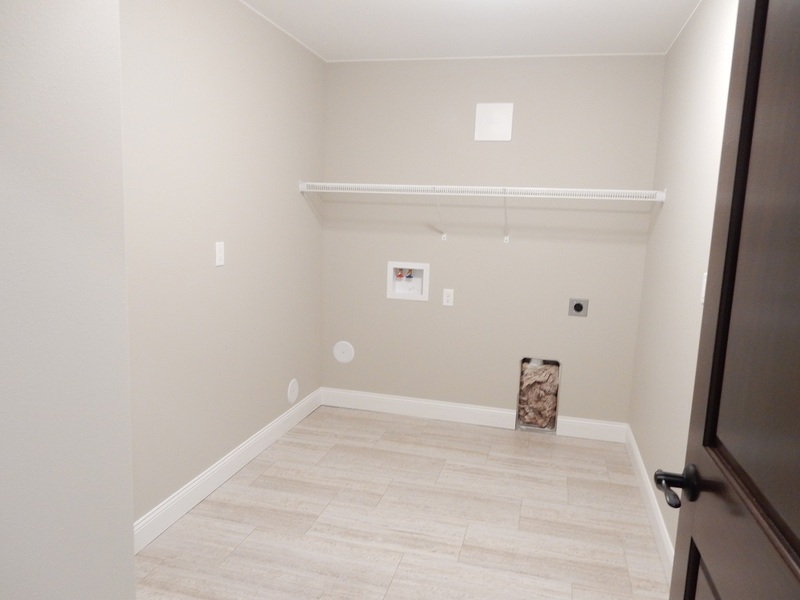 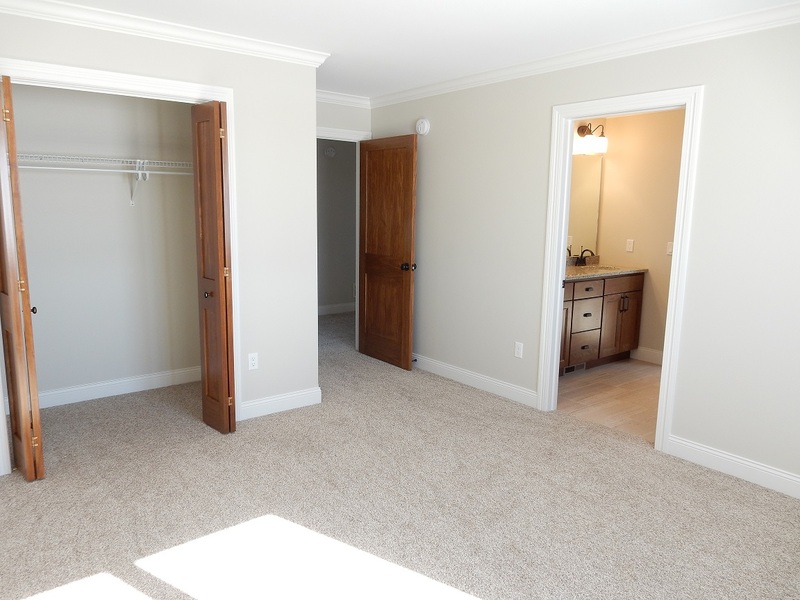 Master suite features walk-in closet, double vanities & tiled shower. 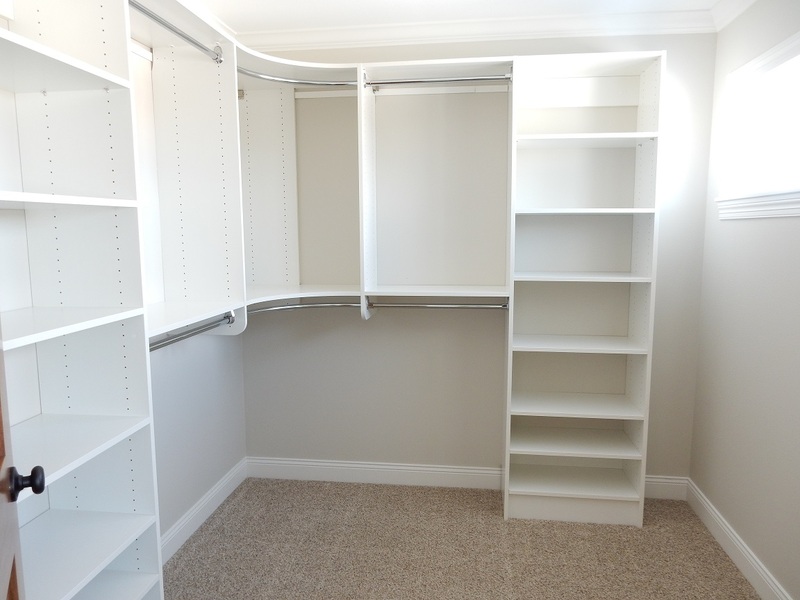 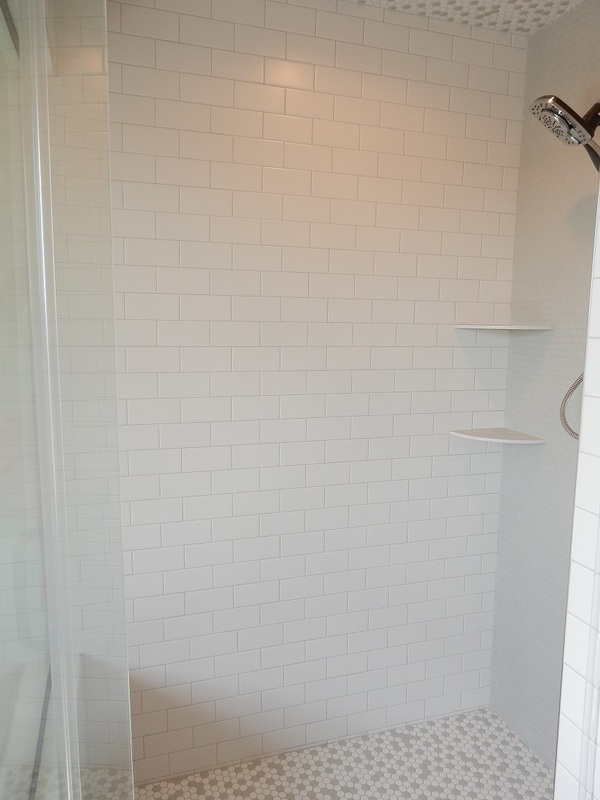 Jack-and-Jill bath, laundry room with shelving. 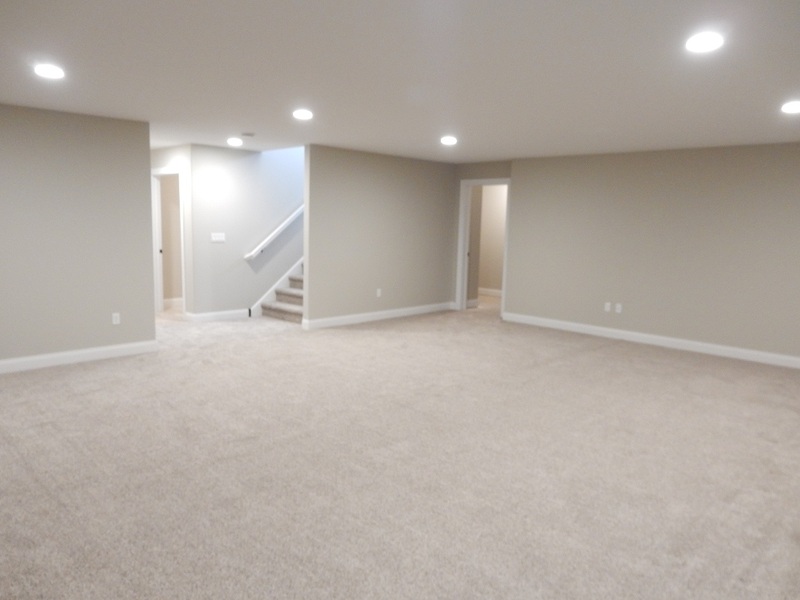 Rec room & 2 additional bedrooms and bath in basement. 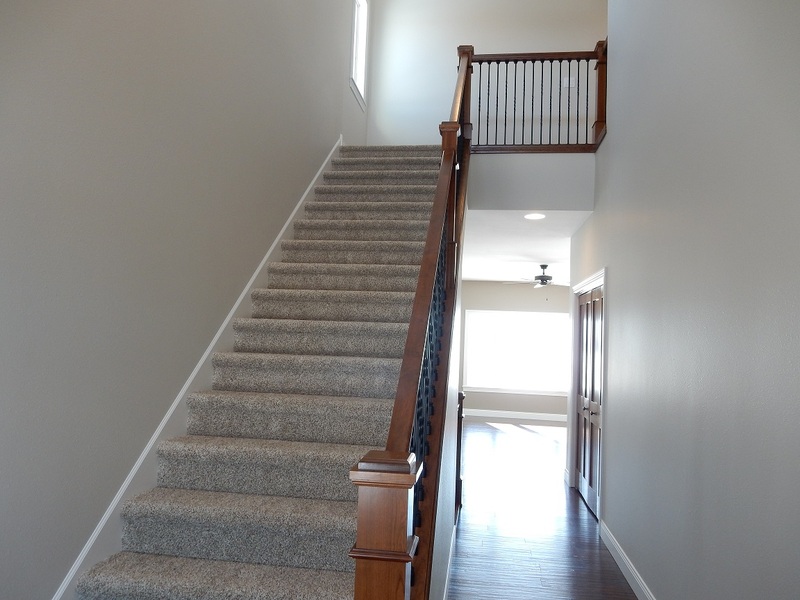 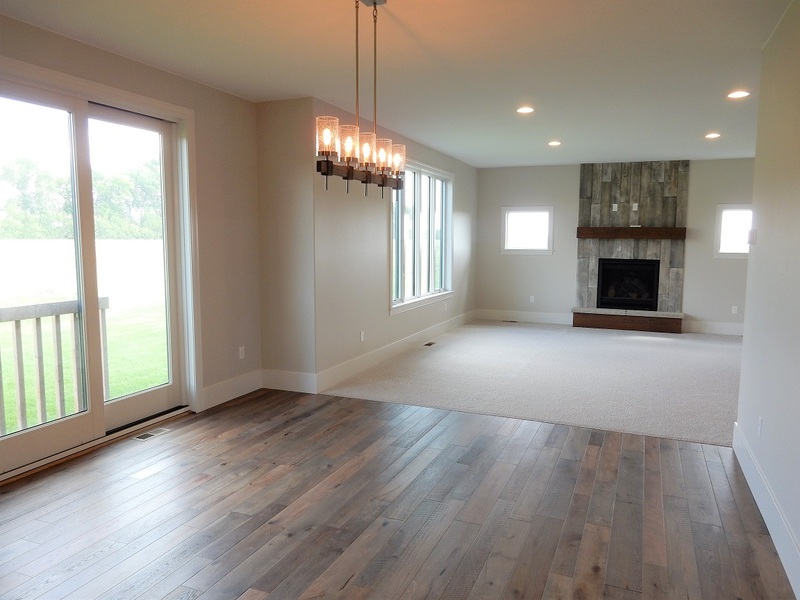 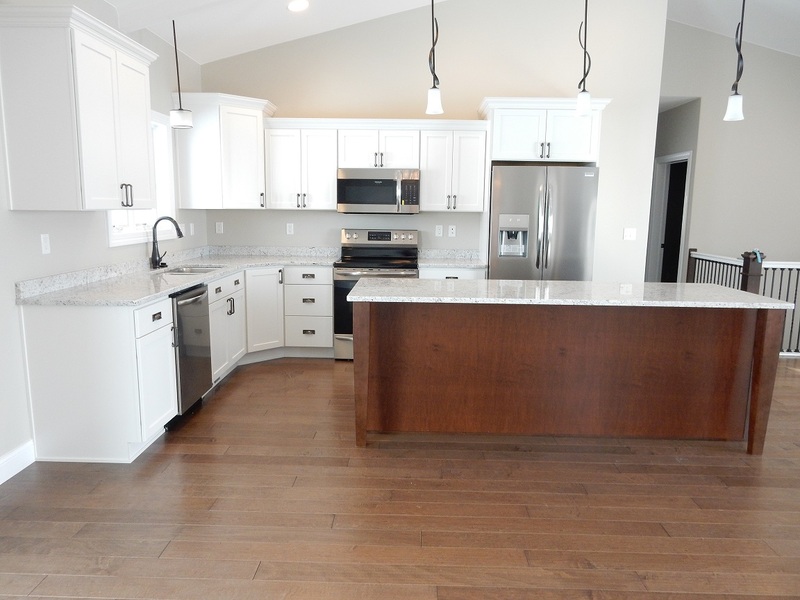 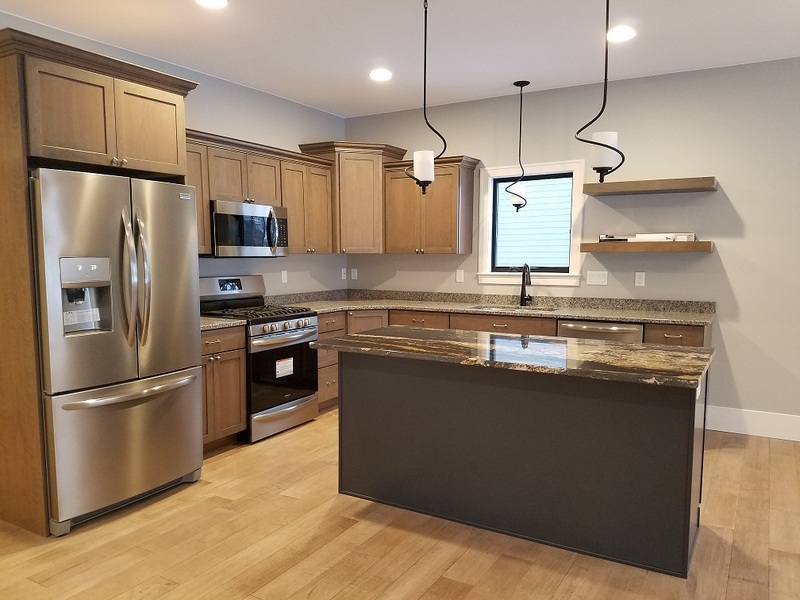 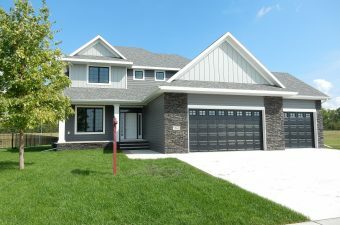 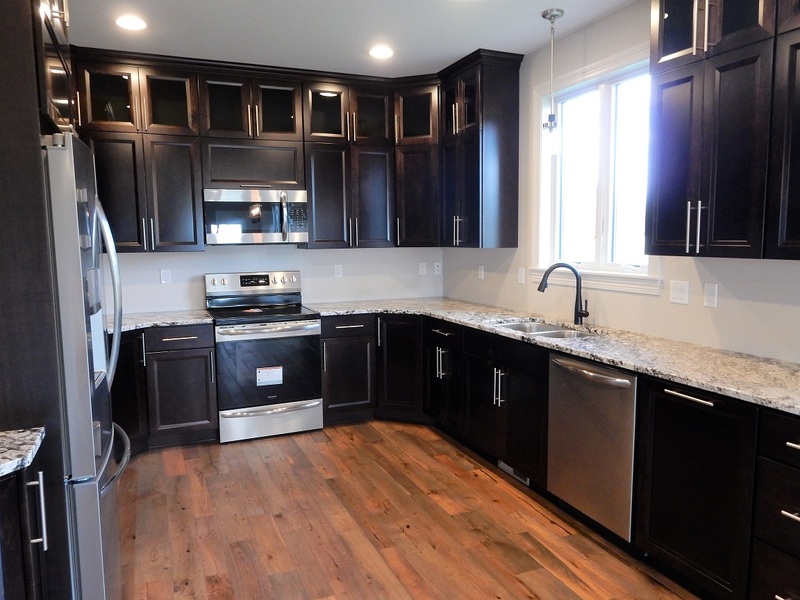 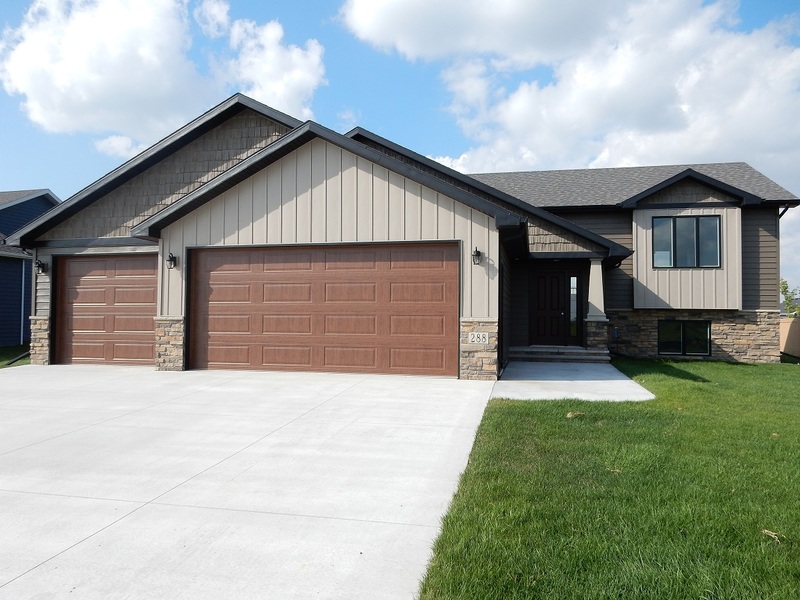 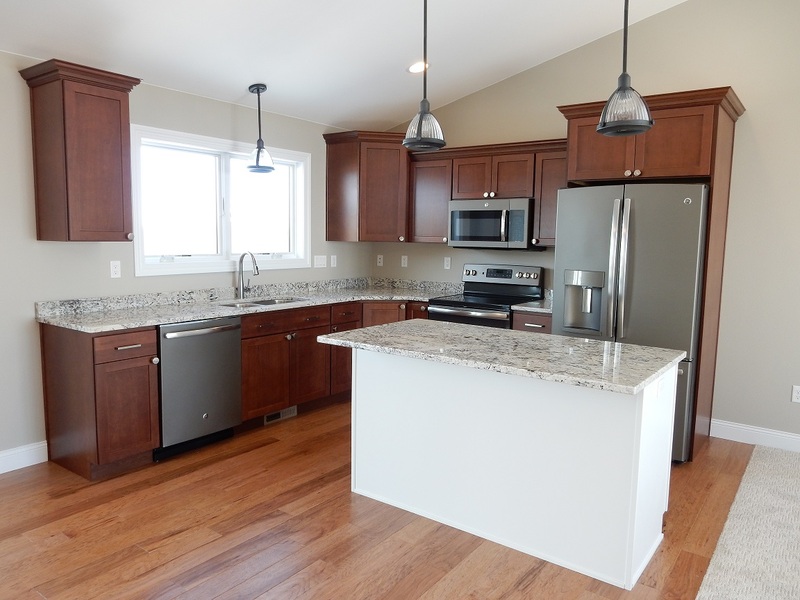 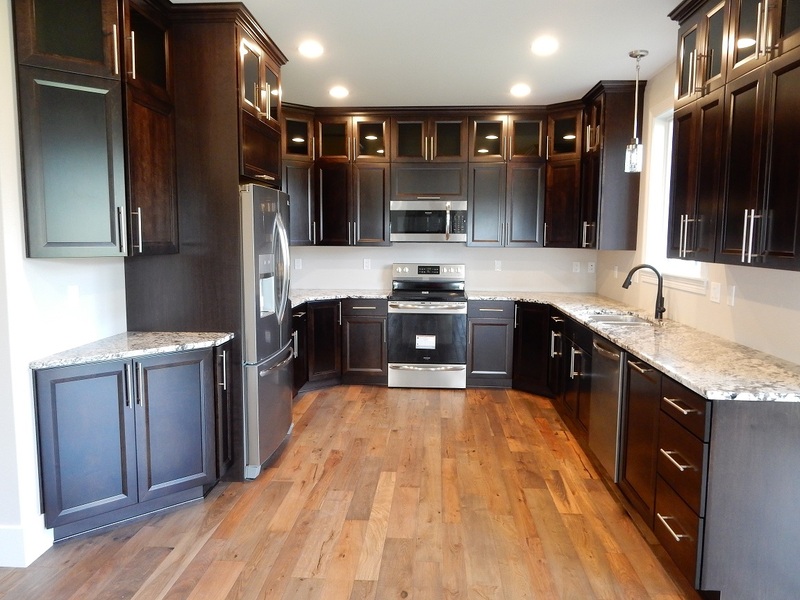 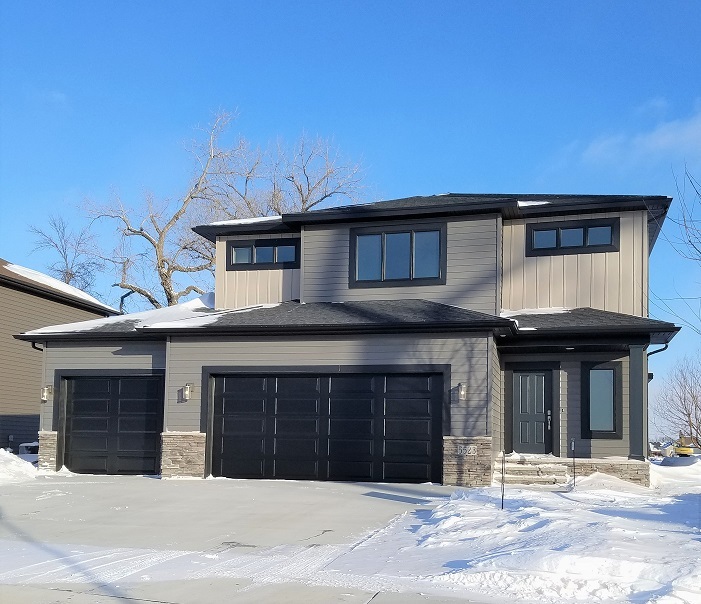 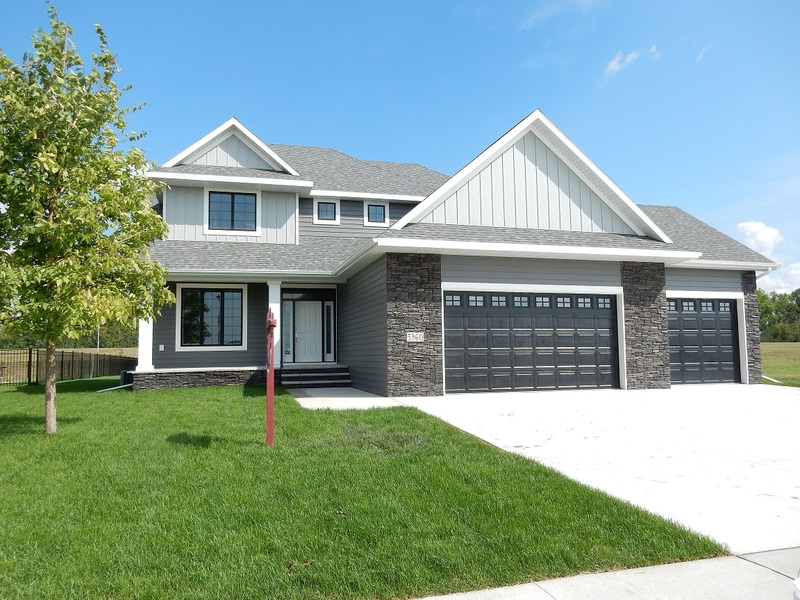 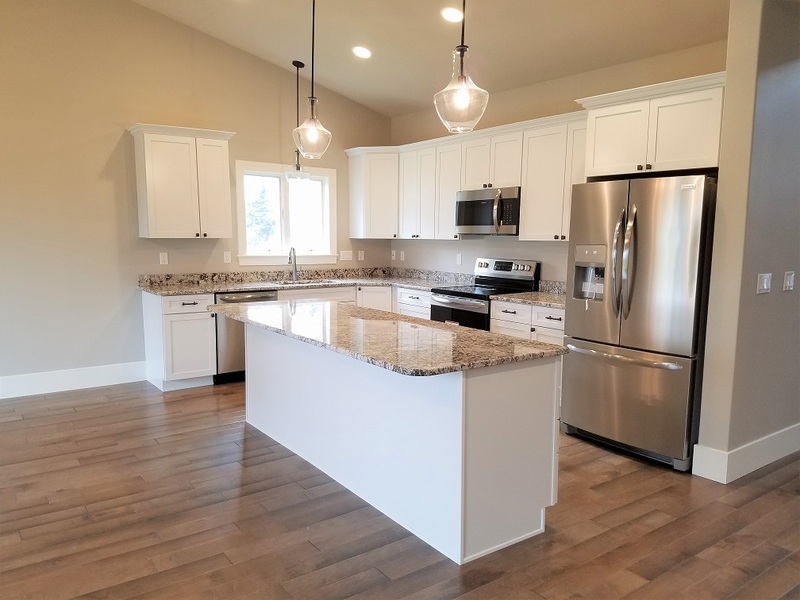 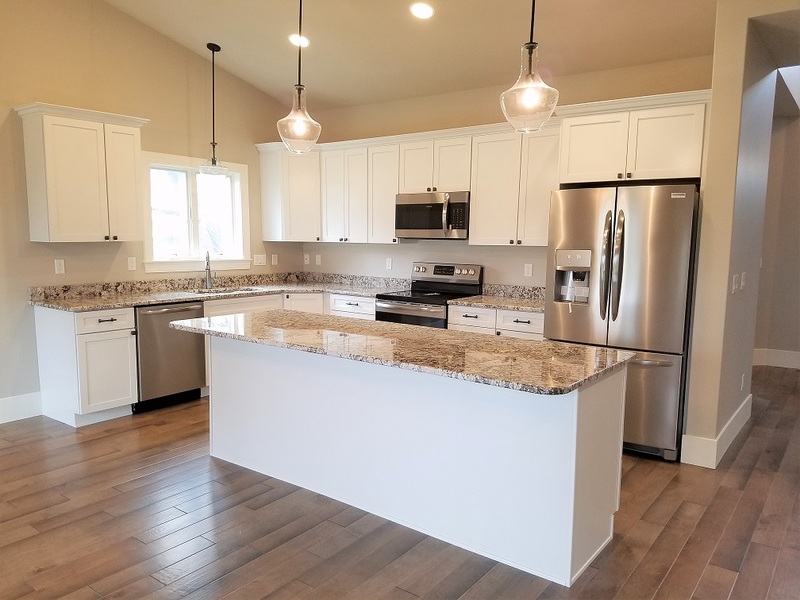 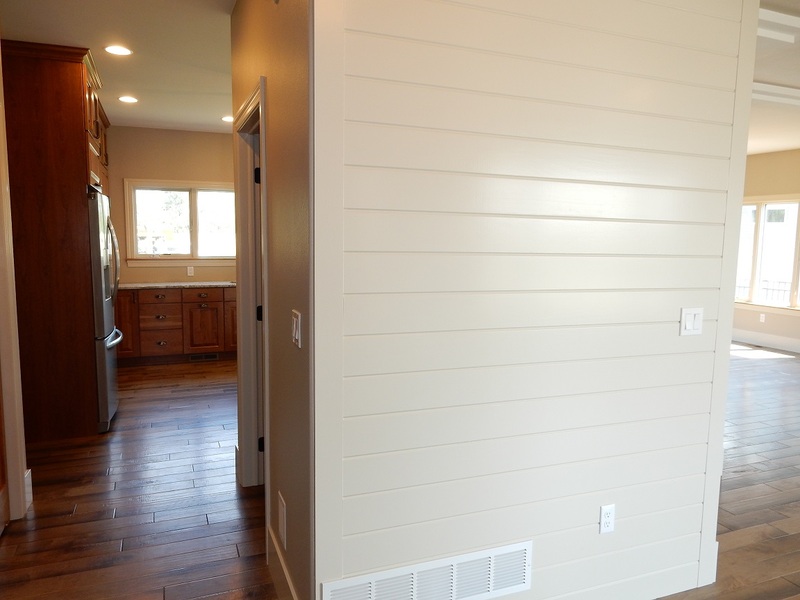 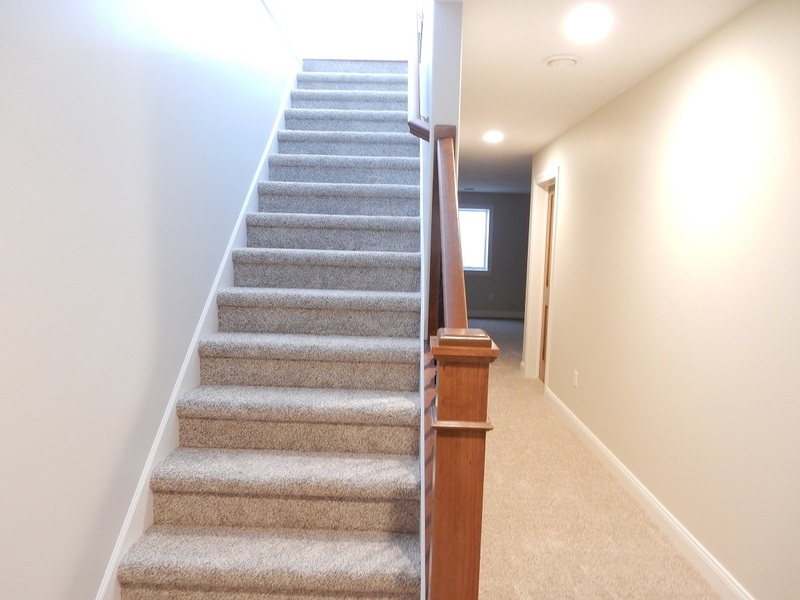 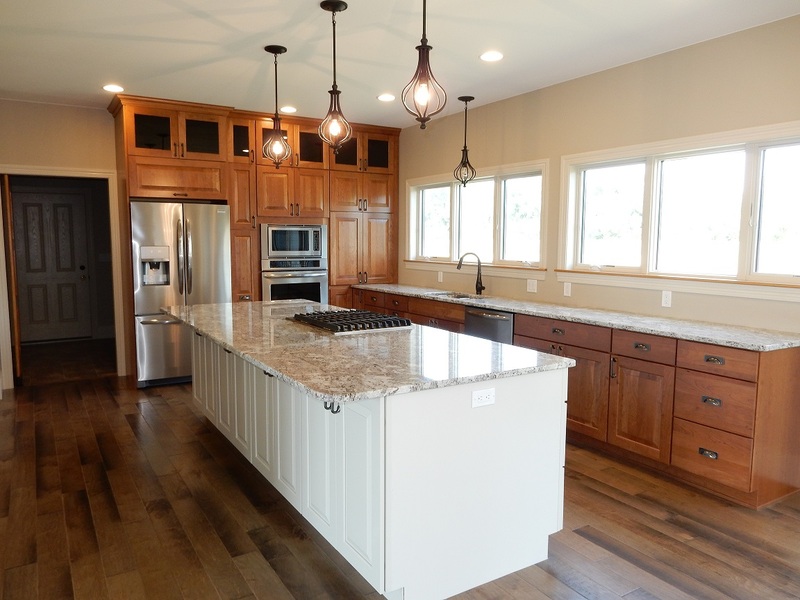 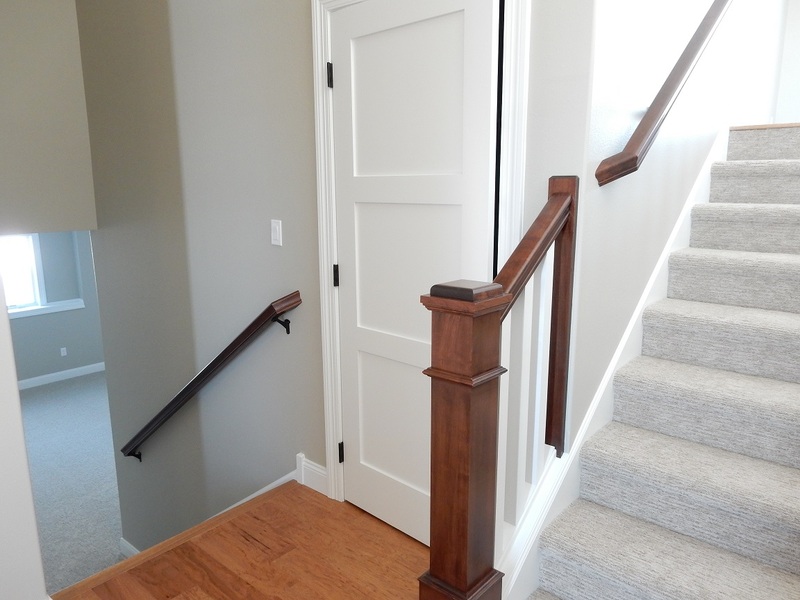 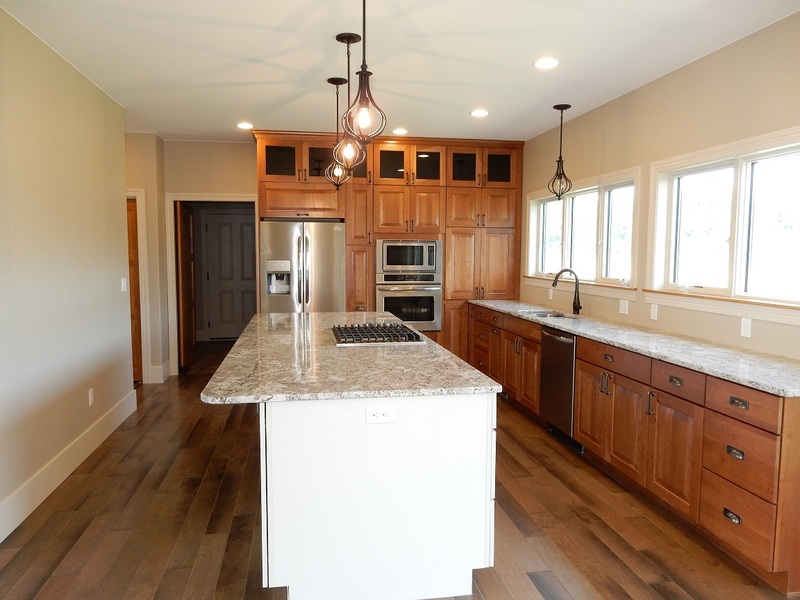 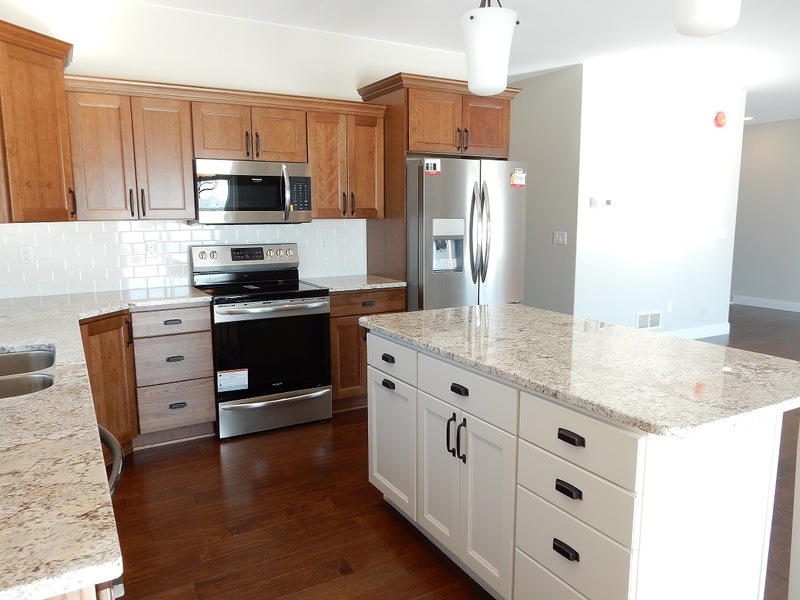 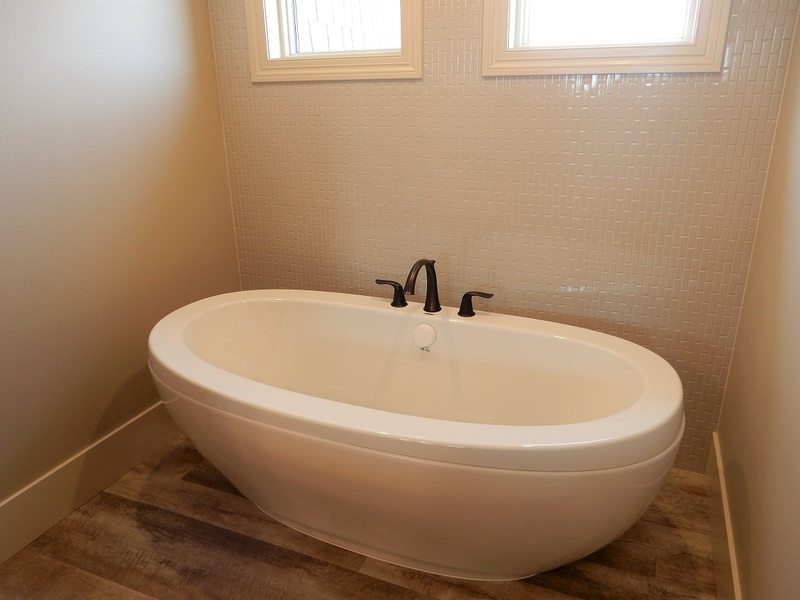 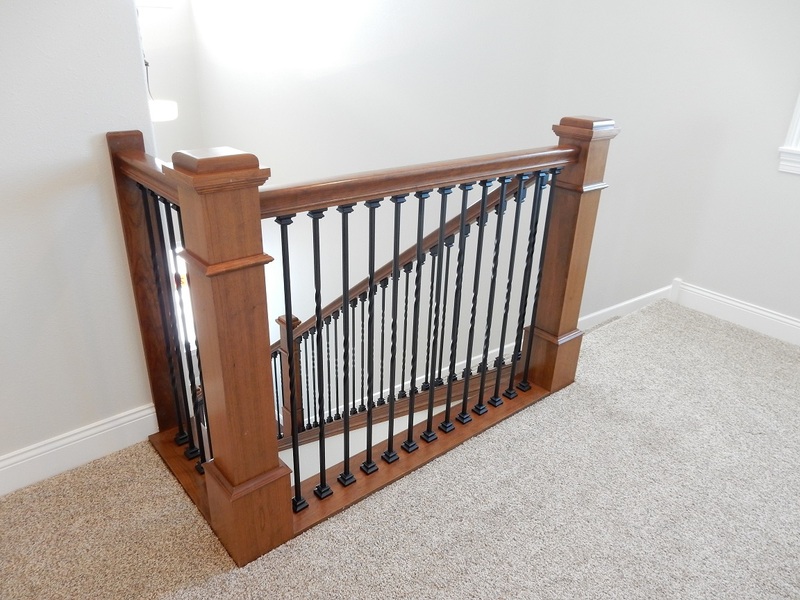 Beautiful multi-level new construction home in desirable south end Grand Forks. 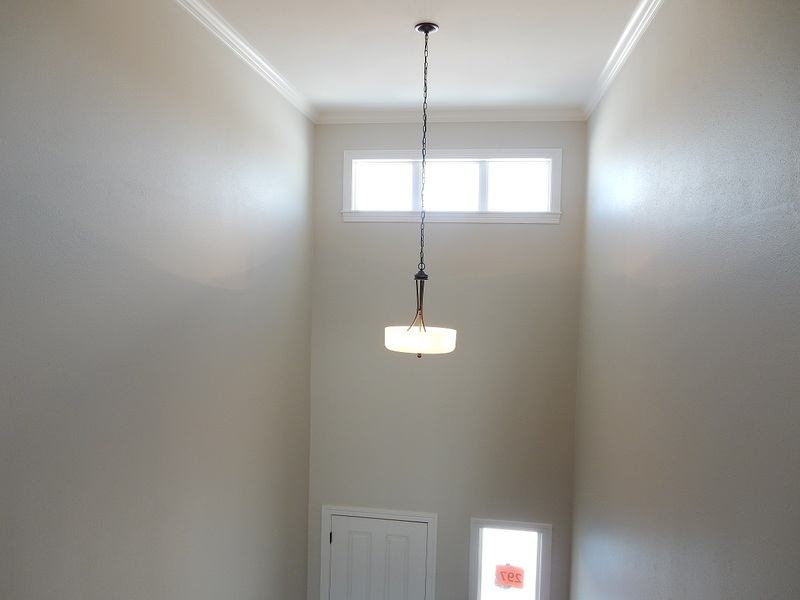 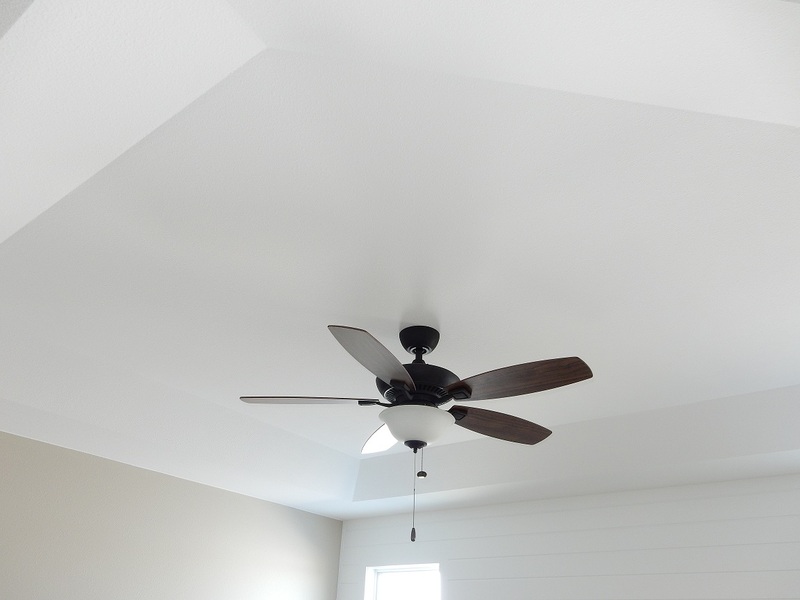 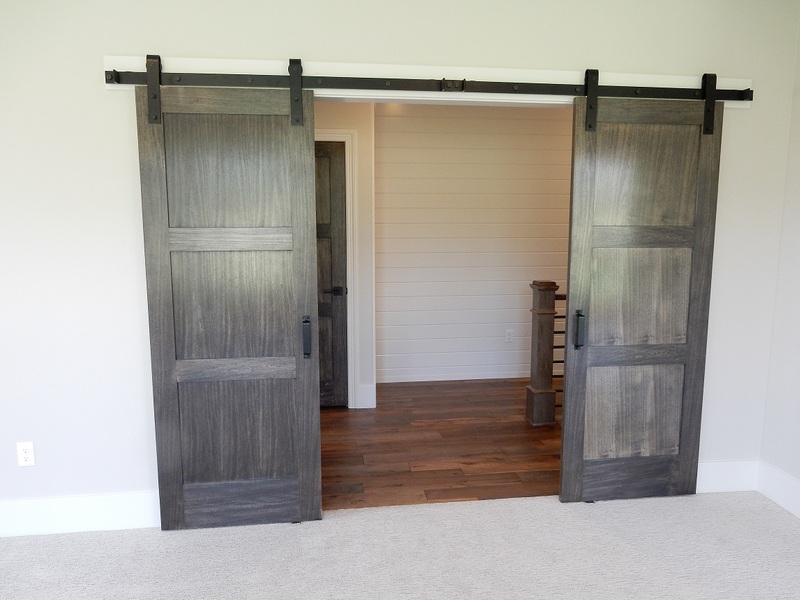 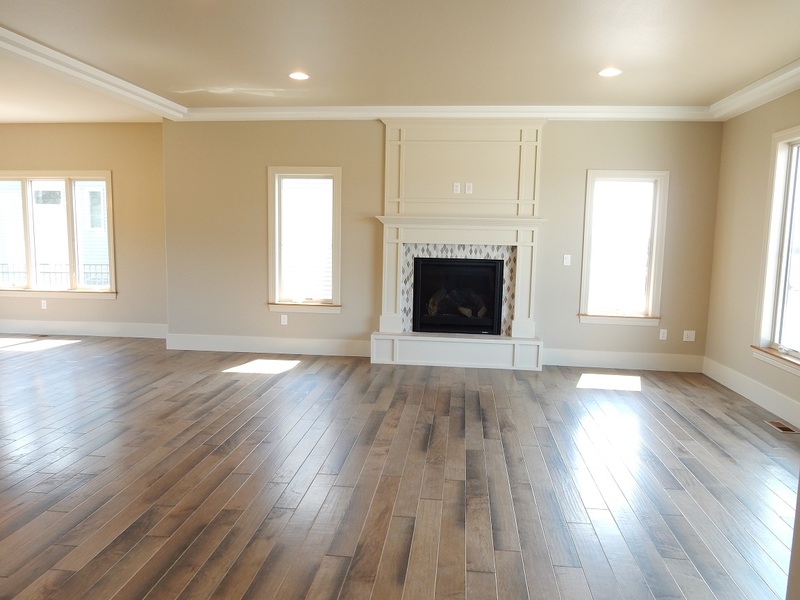 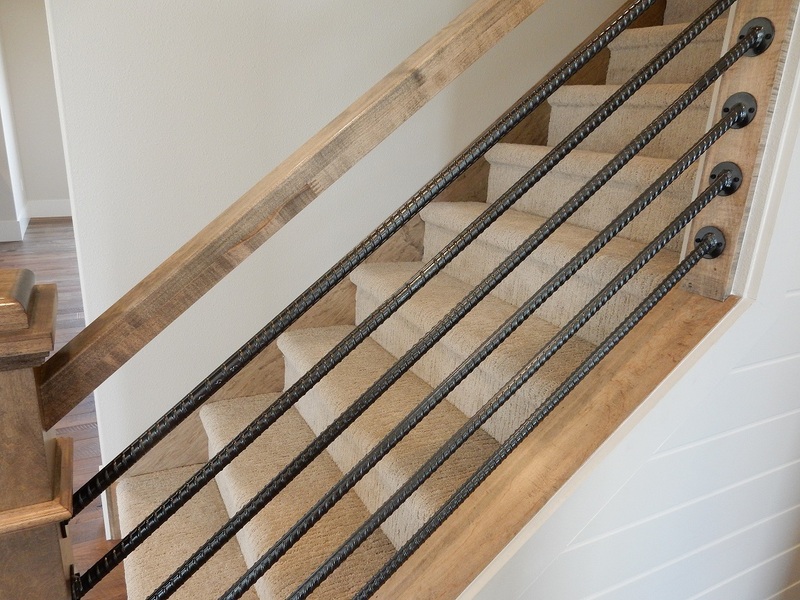 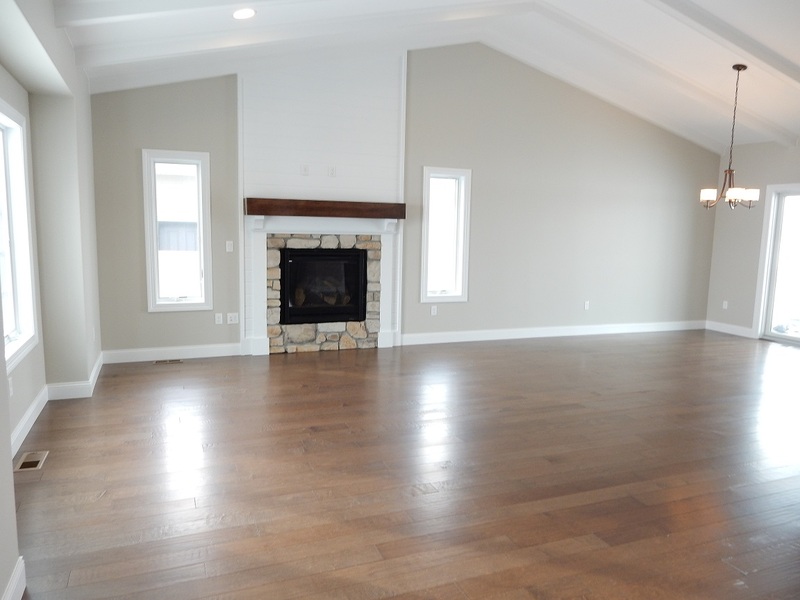 9′ ceilings throughout main floor and vaulted ceilings. 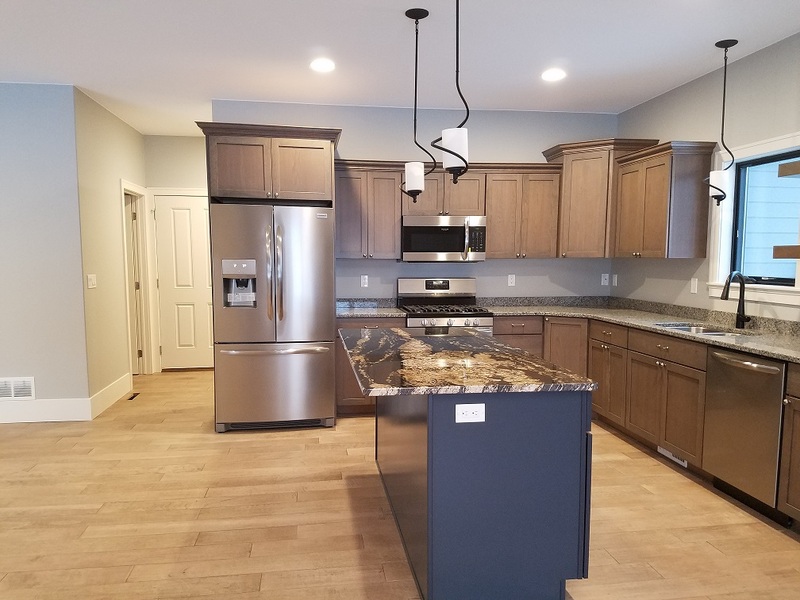 Granite countertops in kitchen with pantry. 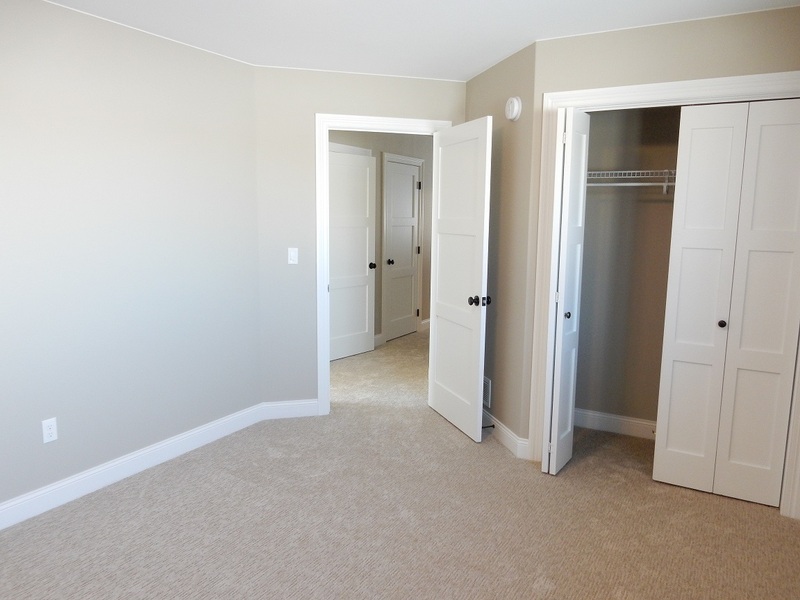 Master suite on upper level with trayed ceiling, walk-in closet and tiled shower. 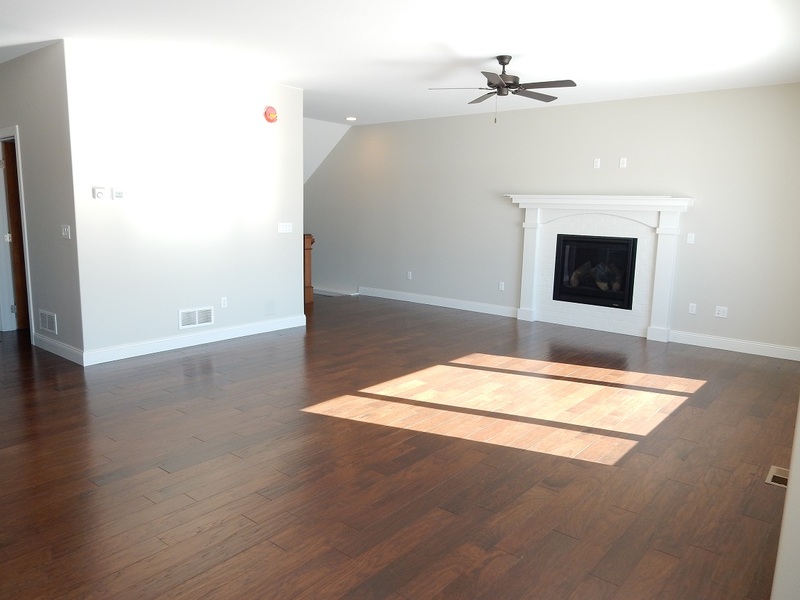 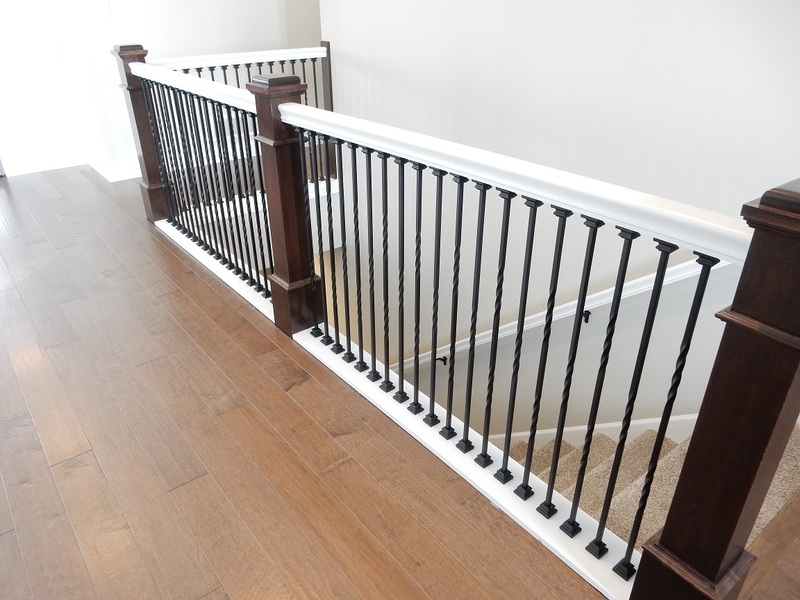 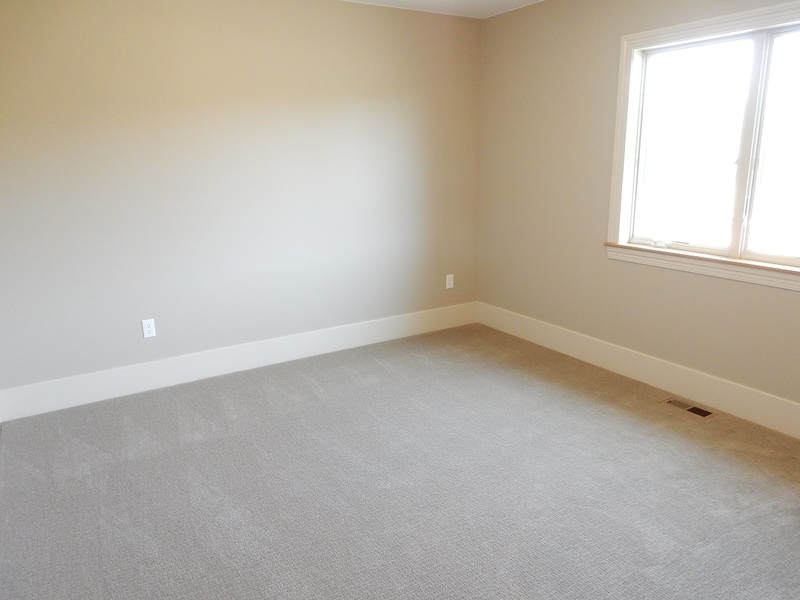 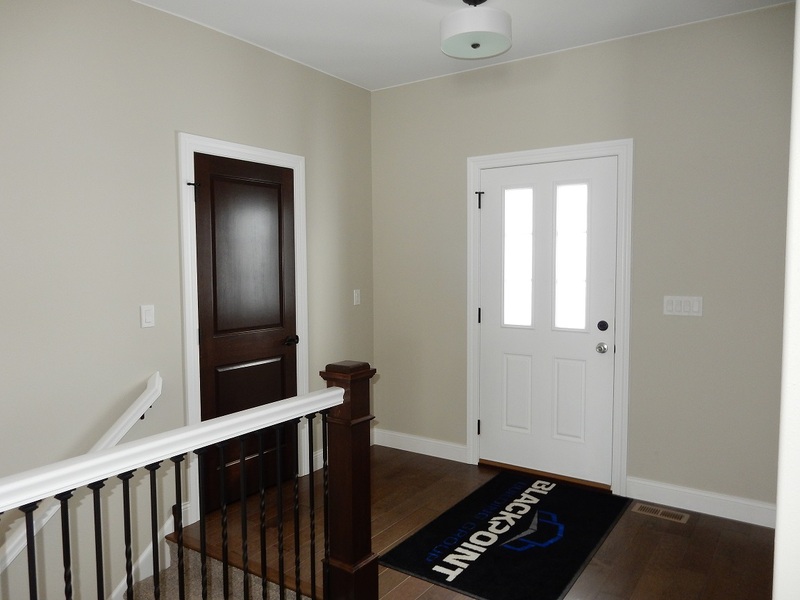 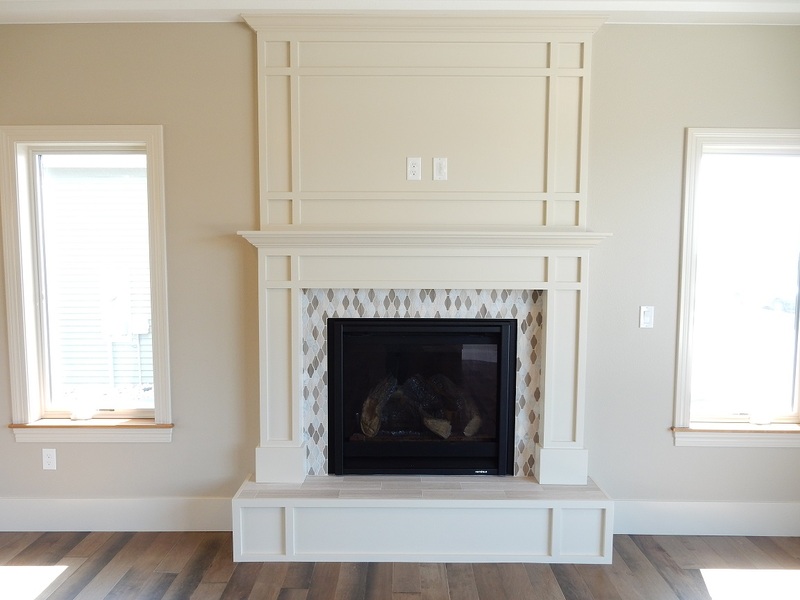 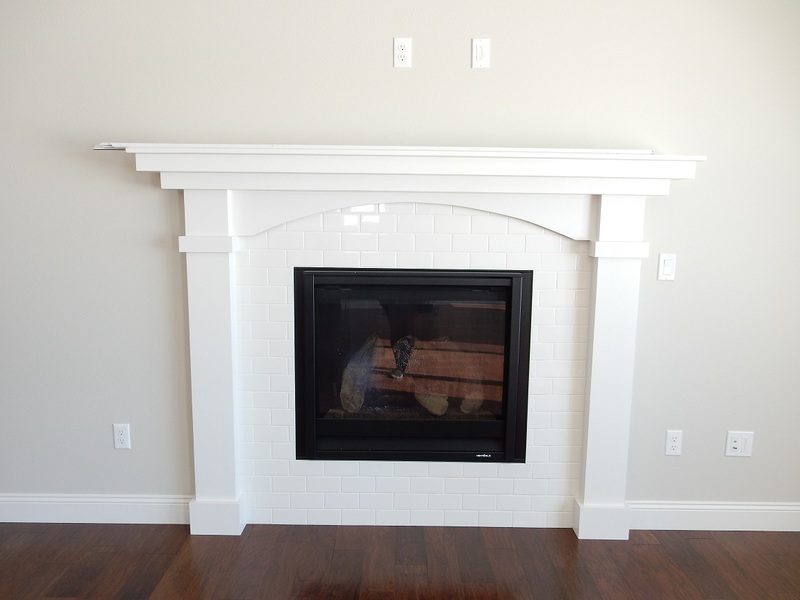 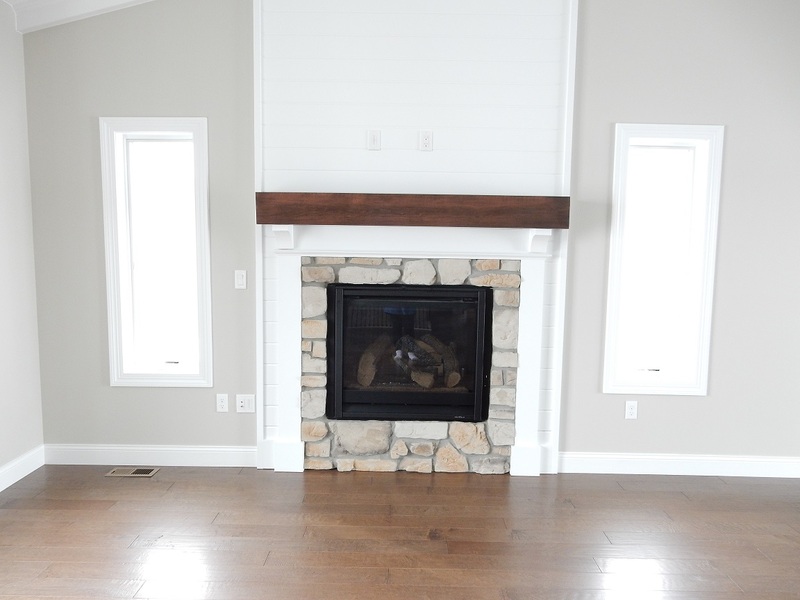 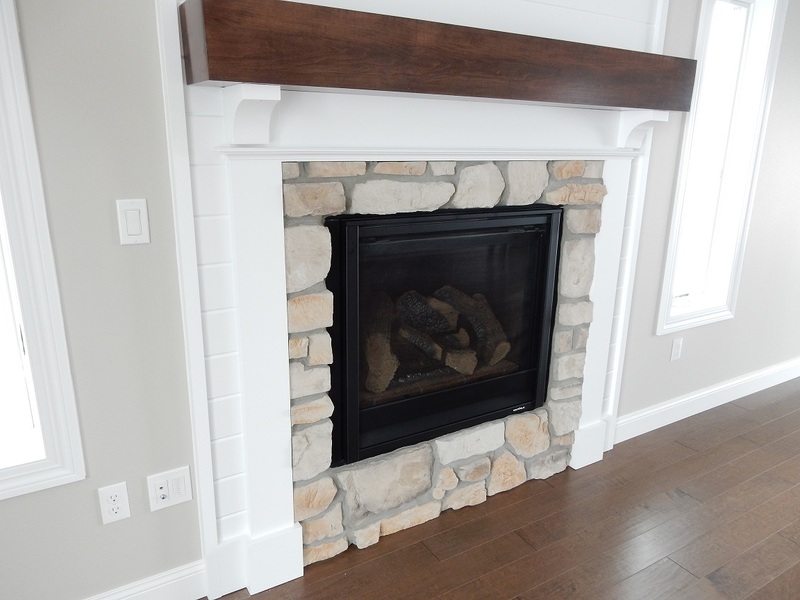 Lower levels feature family room with gas fireplace and built-ins, rec room, 3 additional bedrooms and bath. 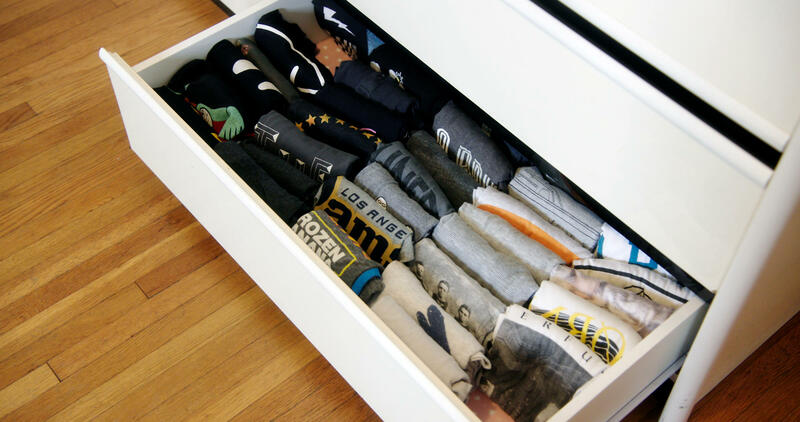 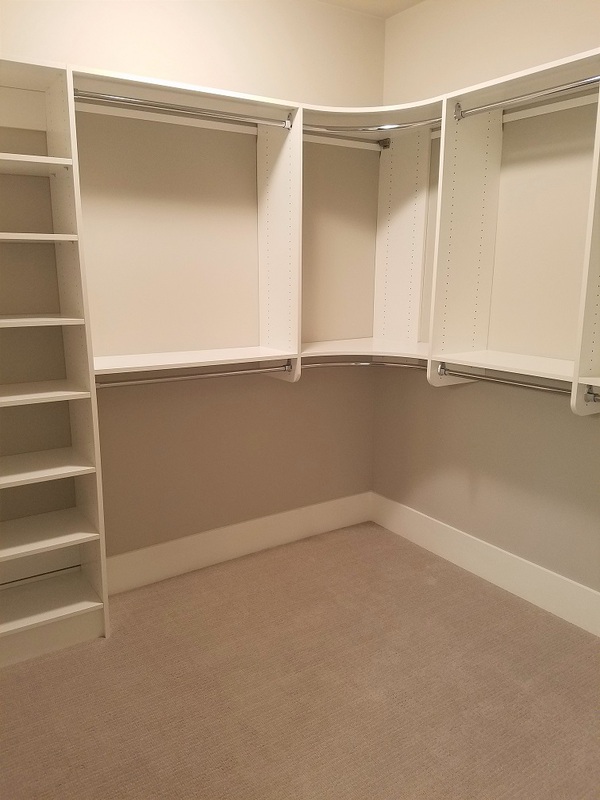 Plenty of storage. 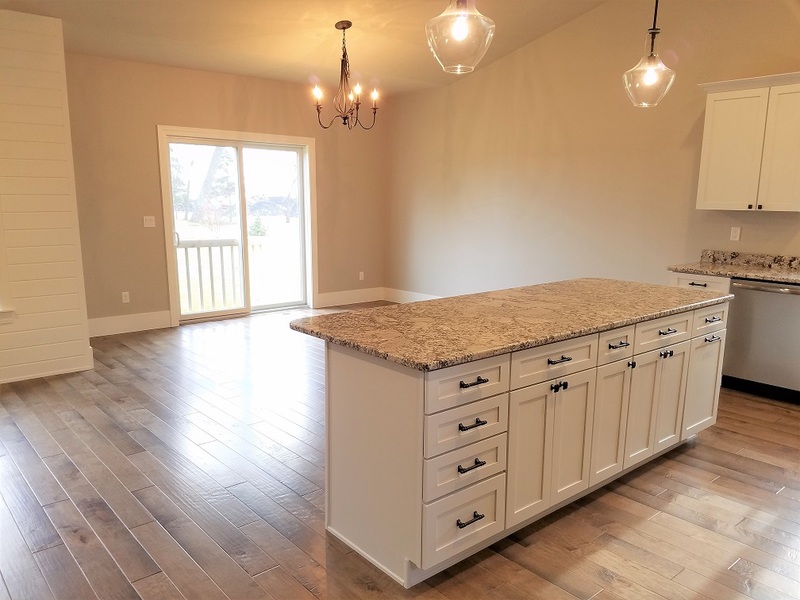 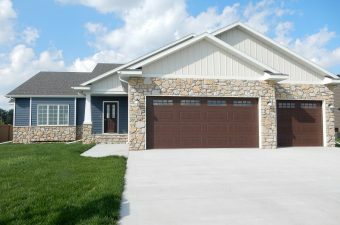 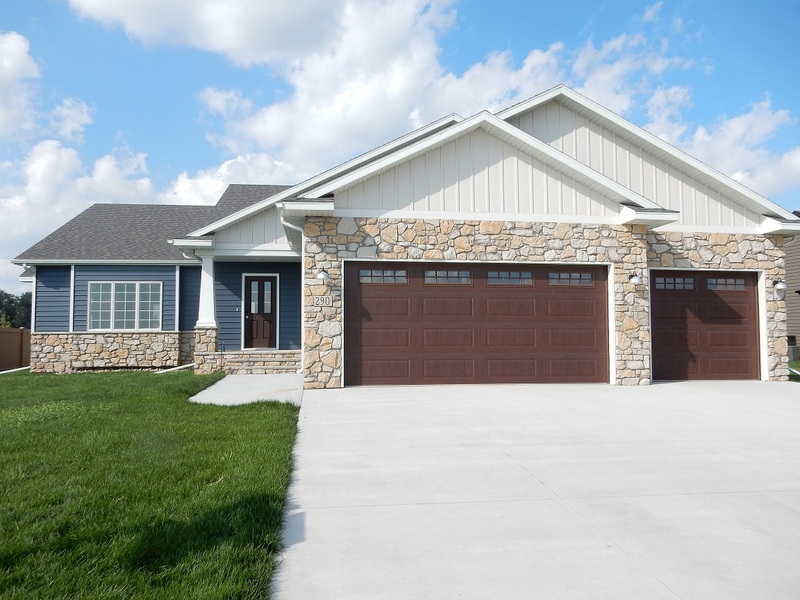 Beautiful new construction ranch home with 5 beds, 3 baths. 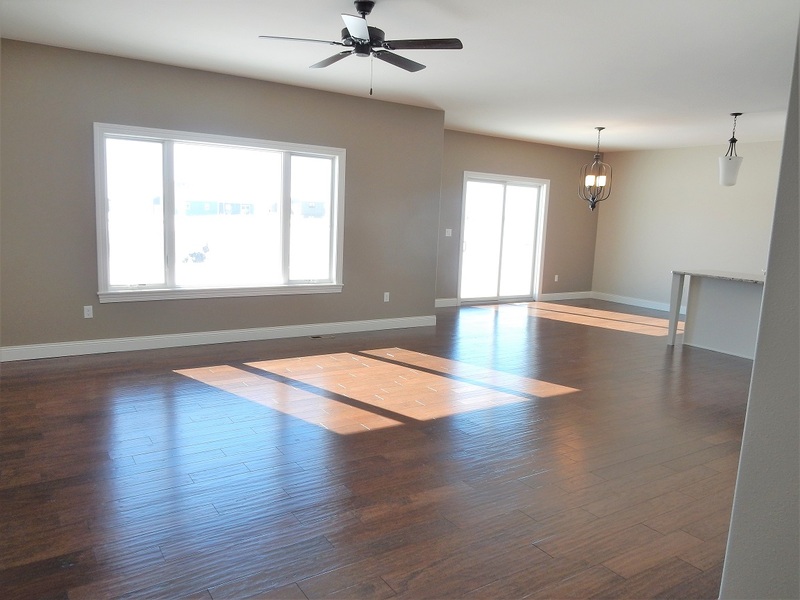 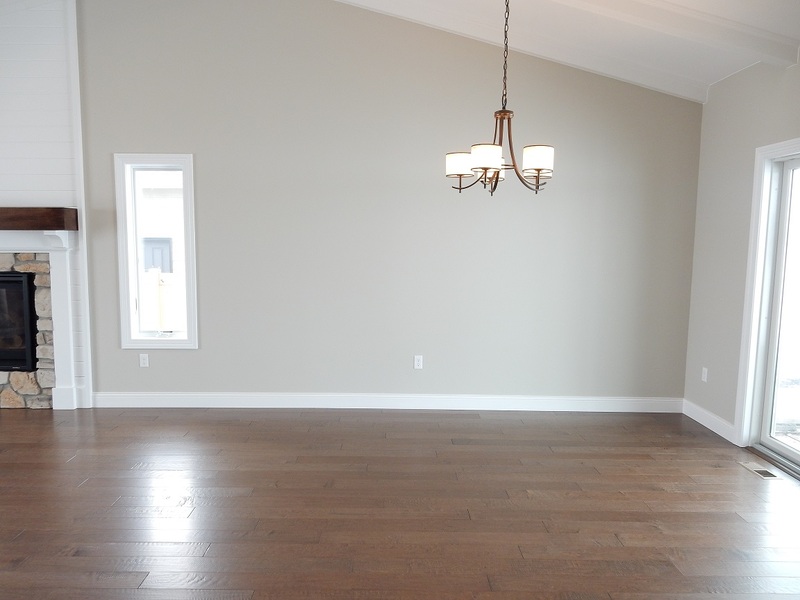 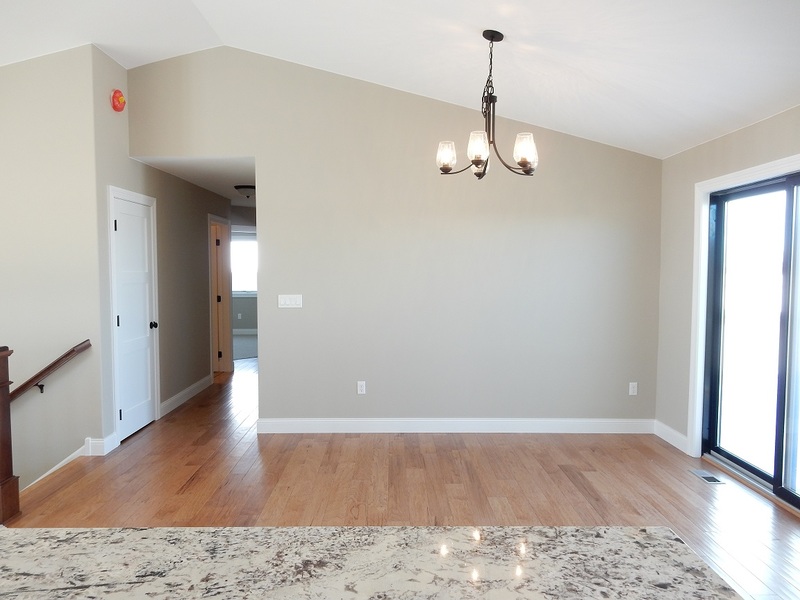 9′ ceilings throughout main level with an open living area & vaulted ceilings. 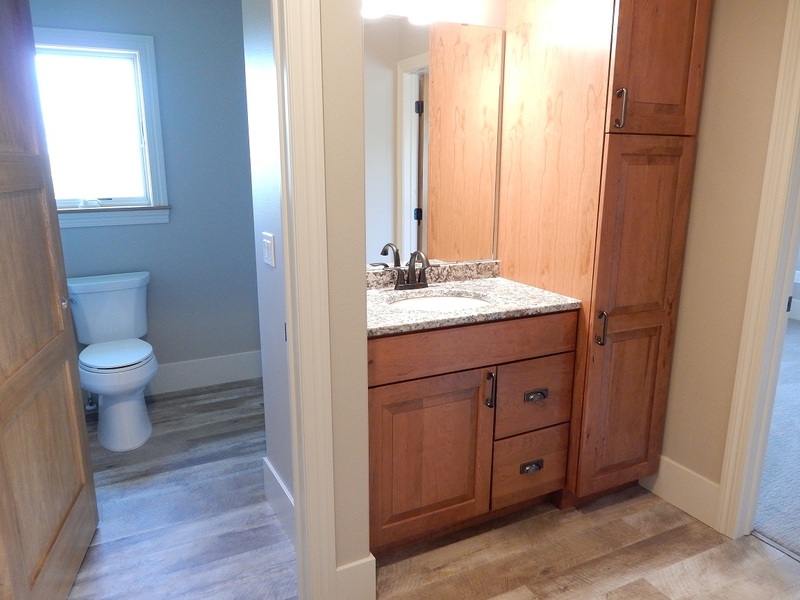 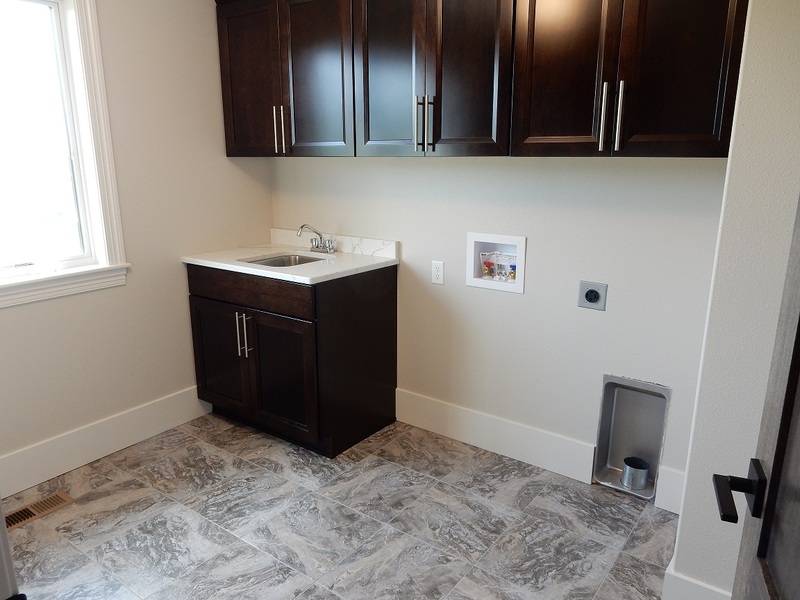 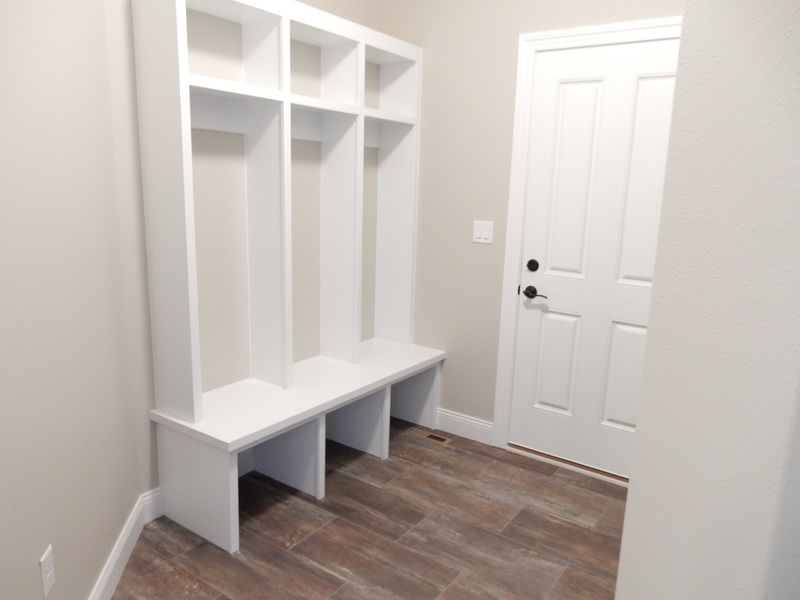 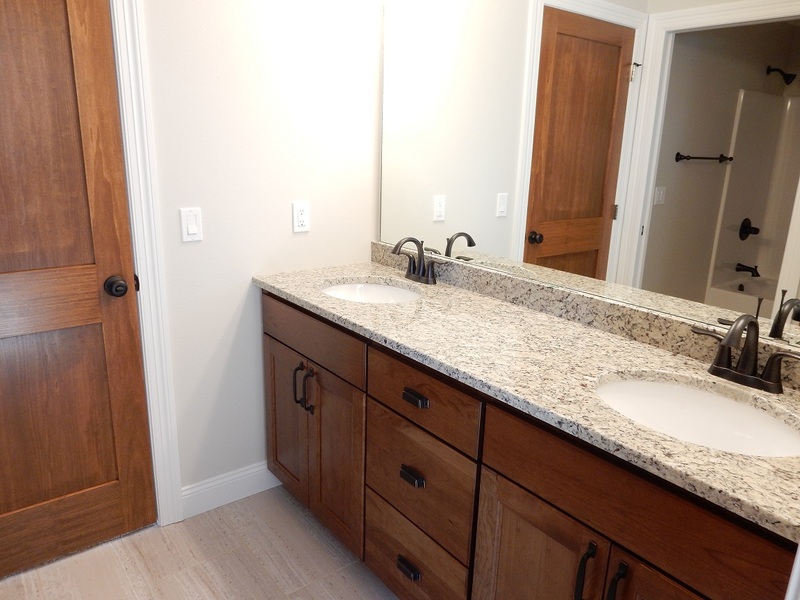 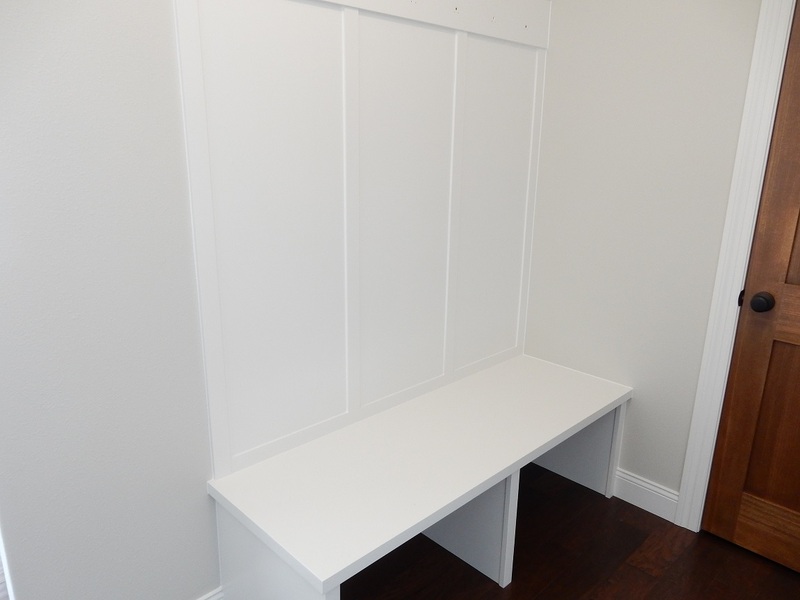 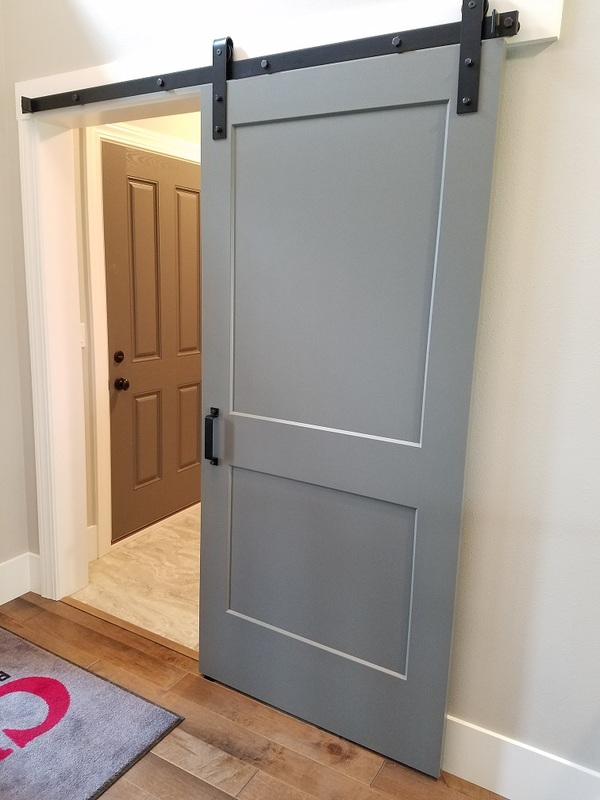 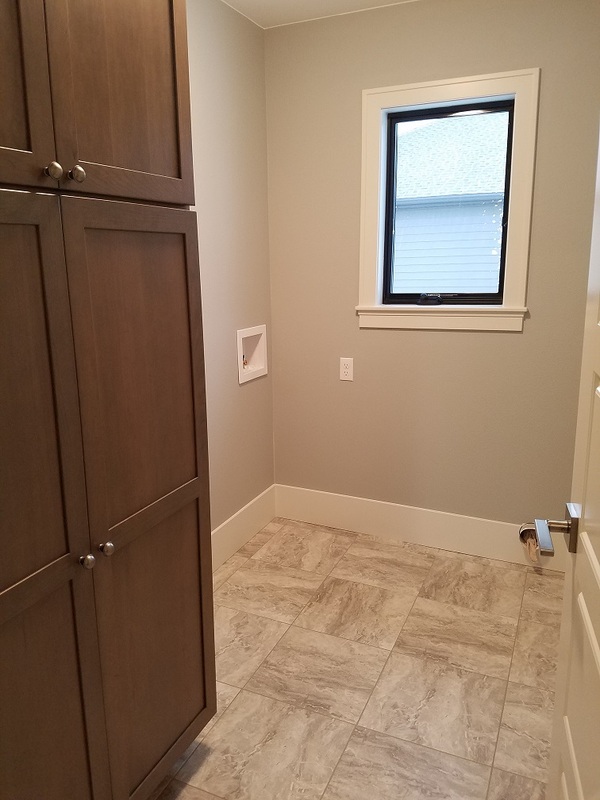 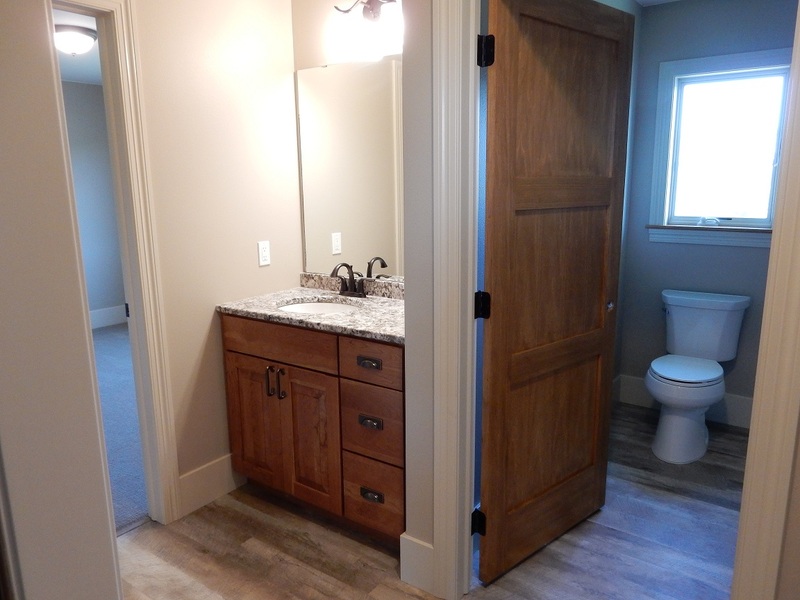 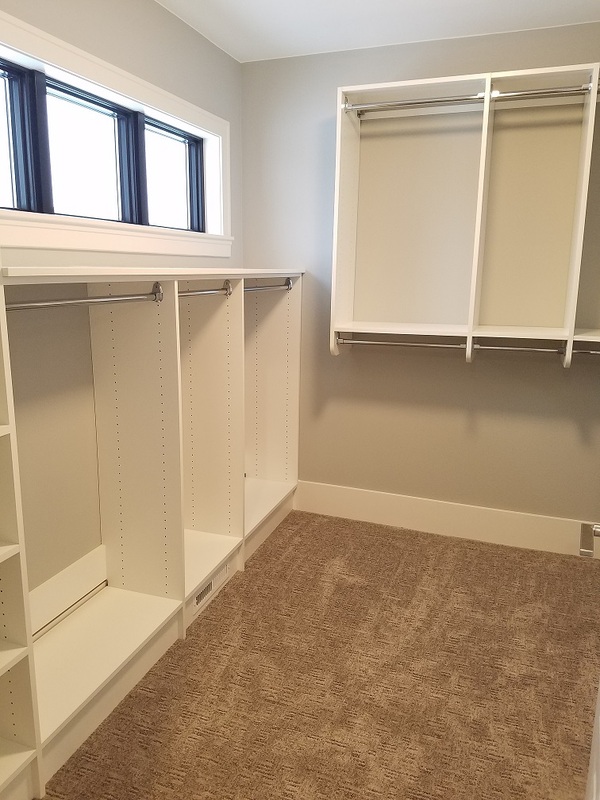 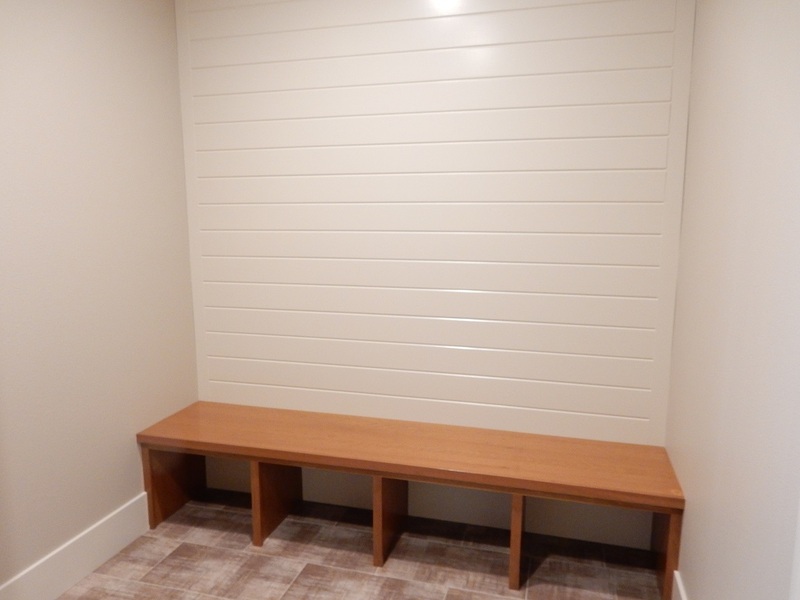 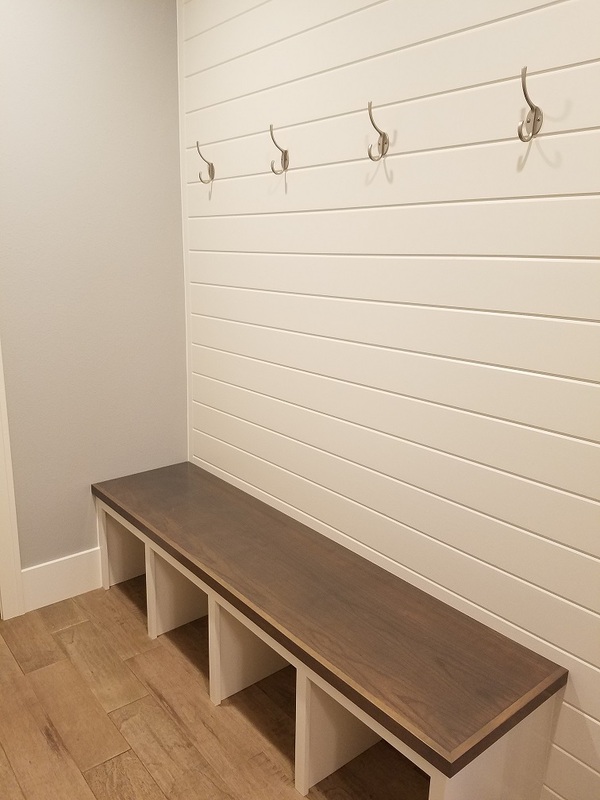 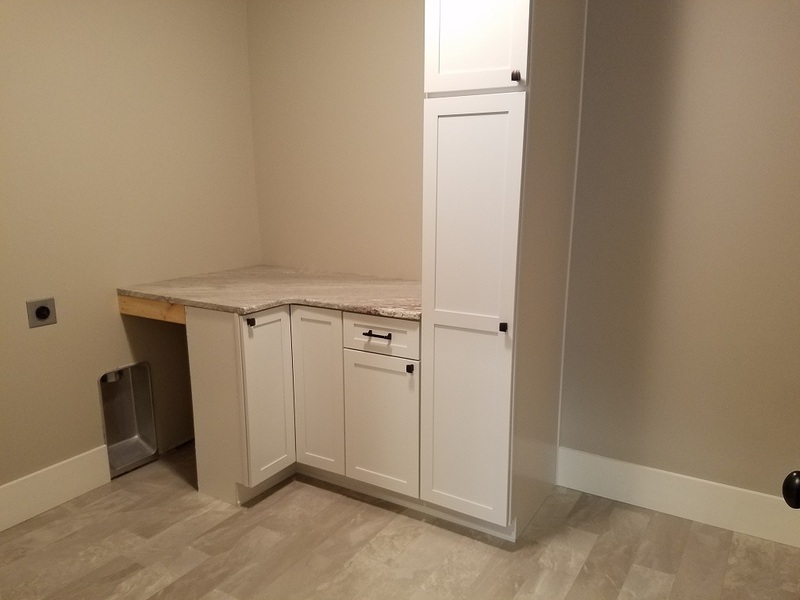 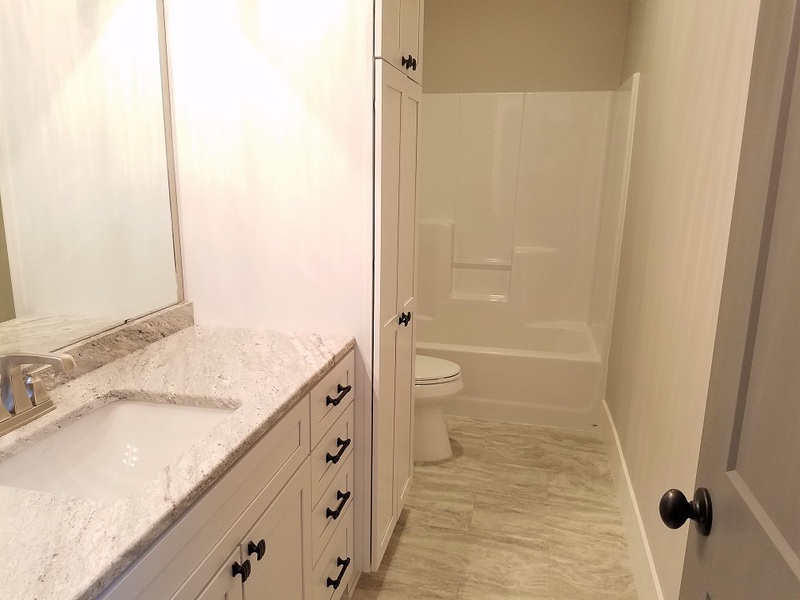 Granite countertops, mudroom with bench. 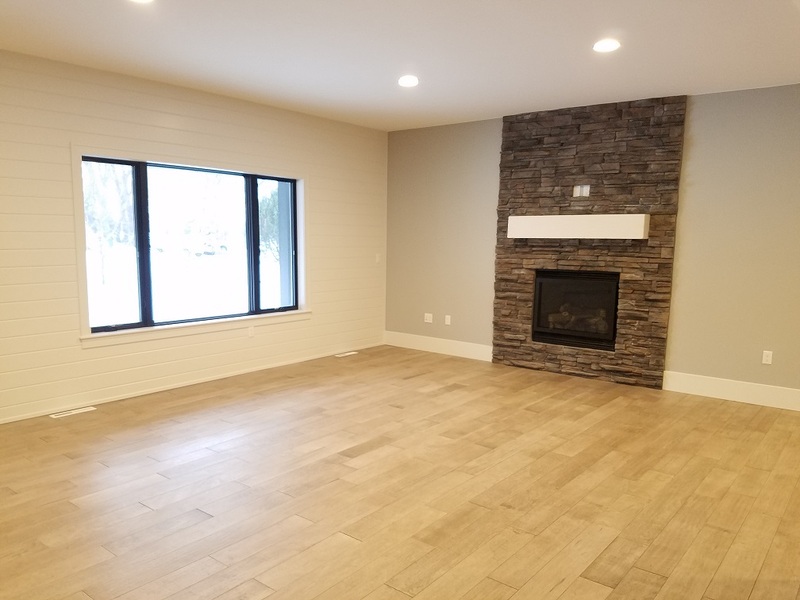 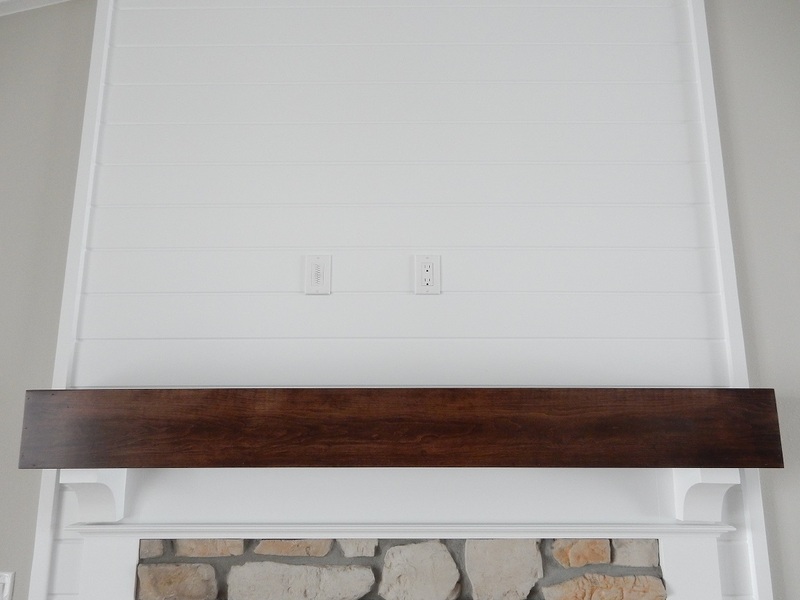 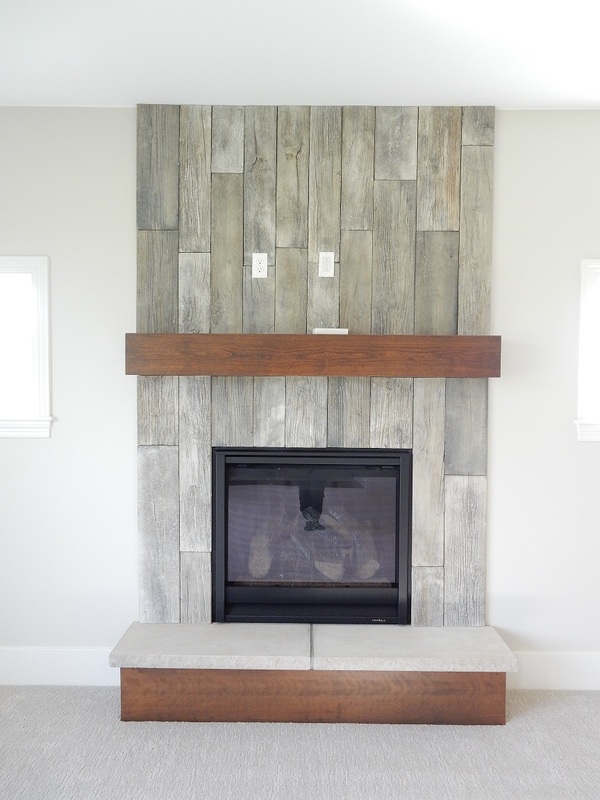 Fireplace in living area. 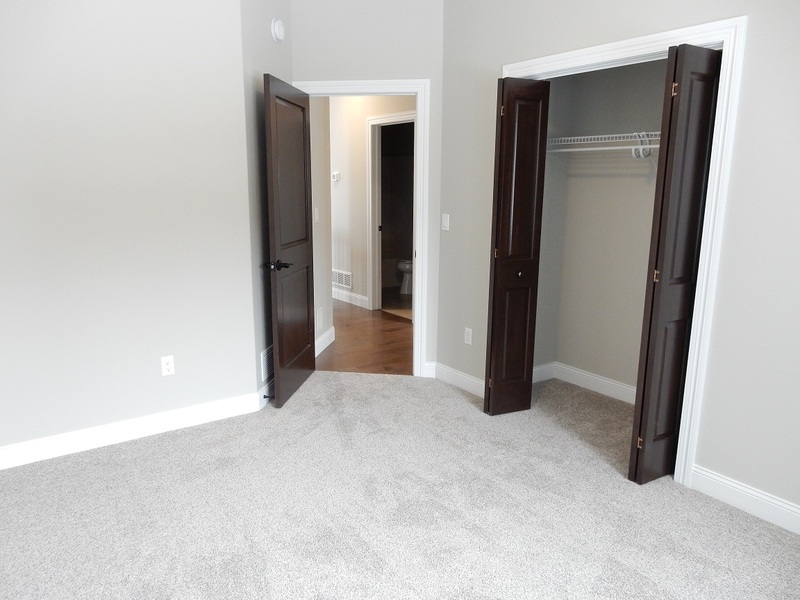 2 beds on main floor including master suite. 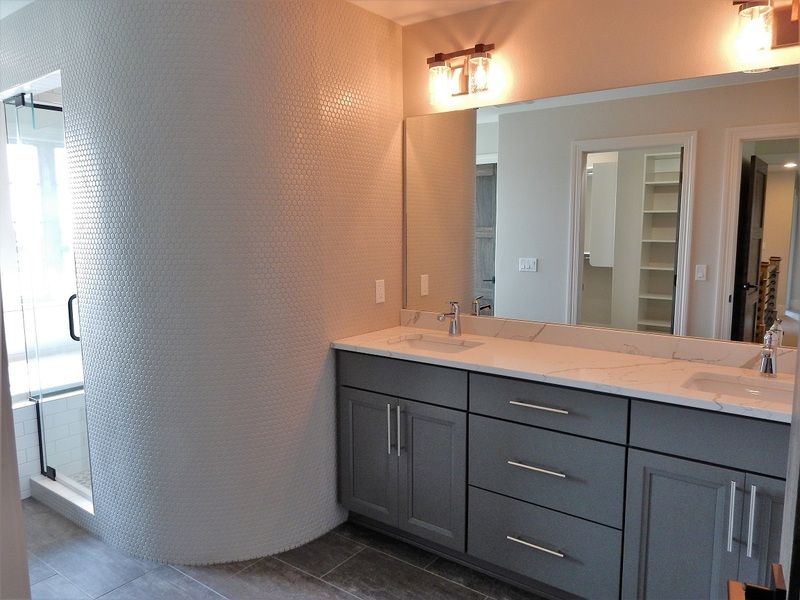 Master suite features walk-in closet, double vanities & tiled shower. 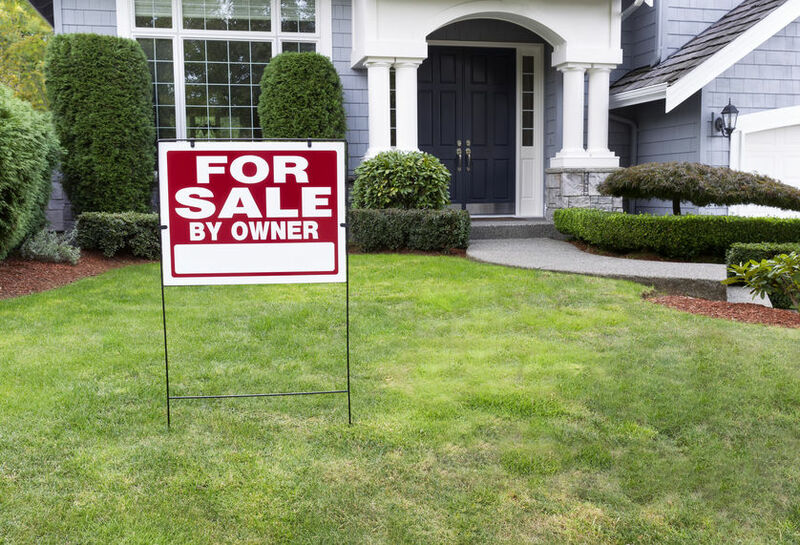 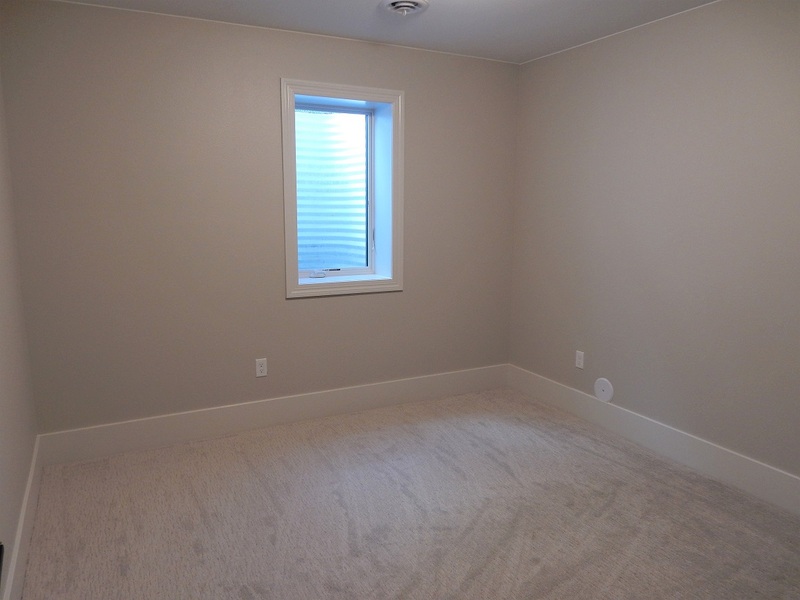 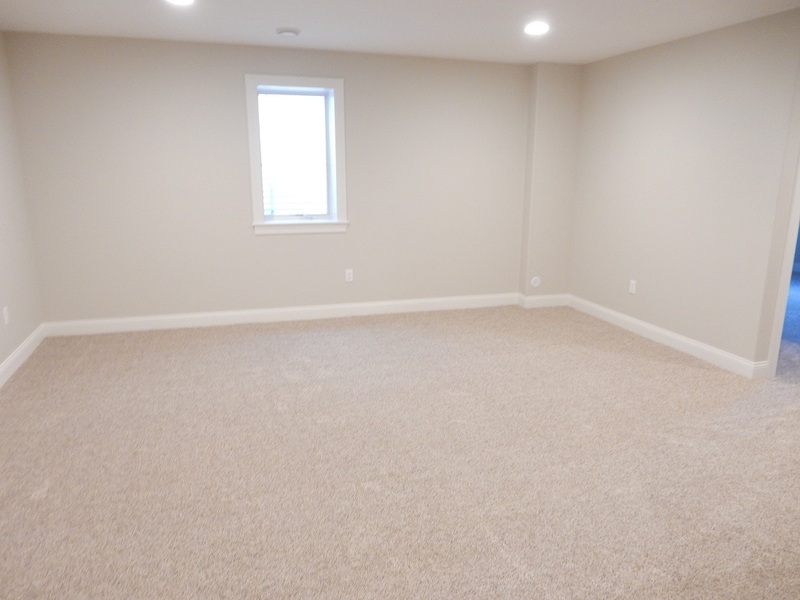 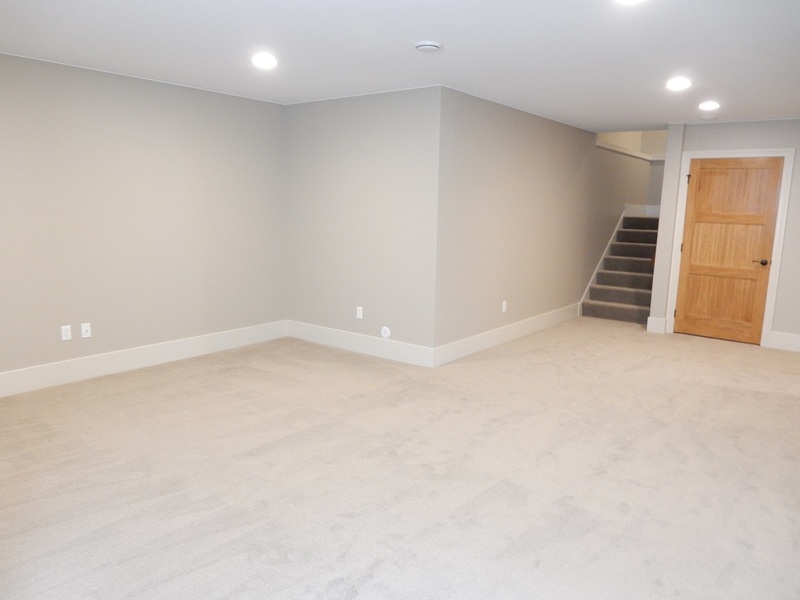 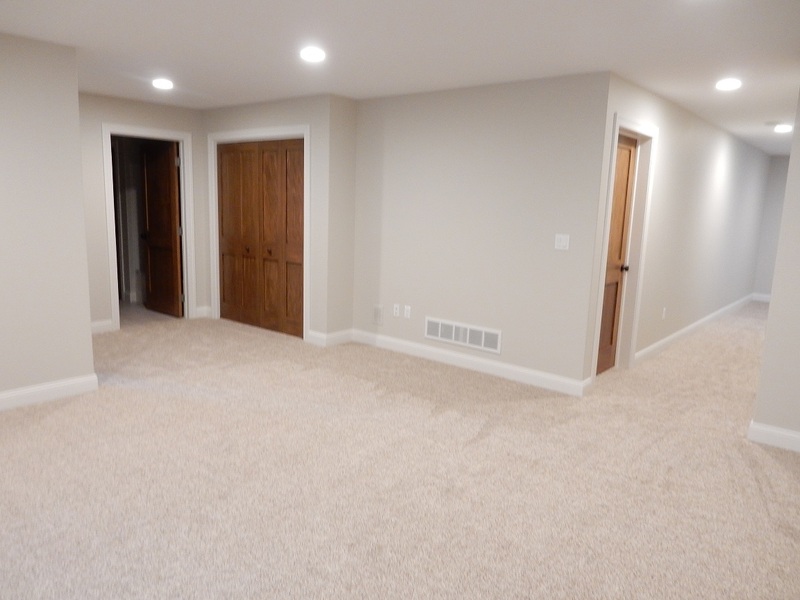 Basement features a nice size rec room with an additional 3 bedrooms and bath. 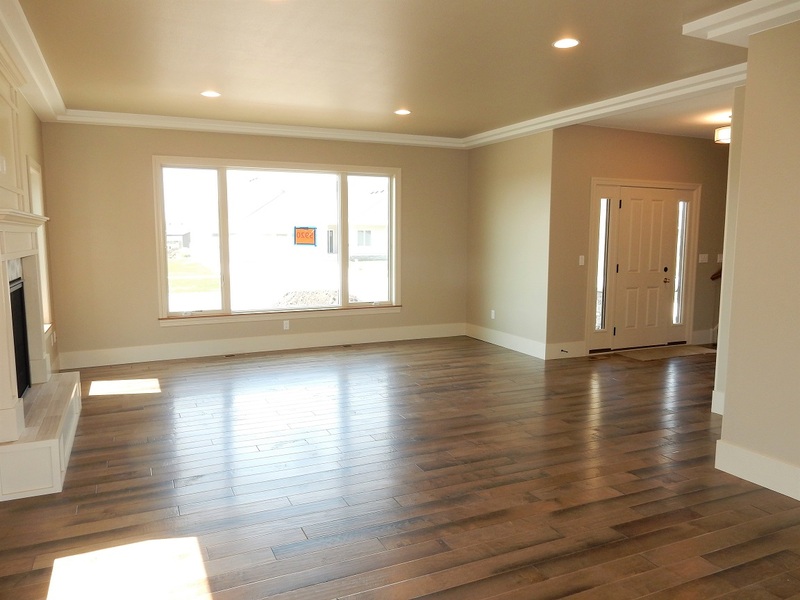 Beautiful ranch style new construction home located in well established south end. 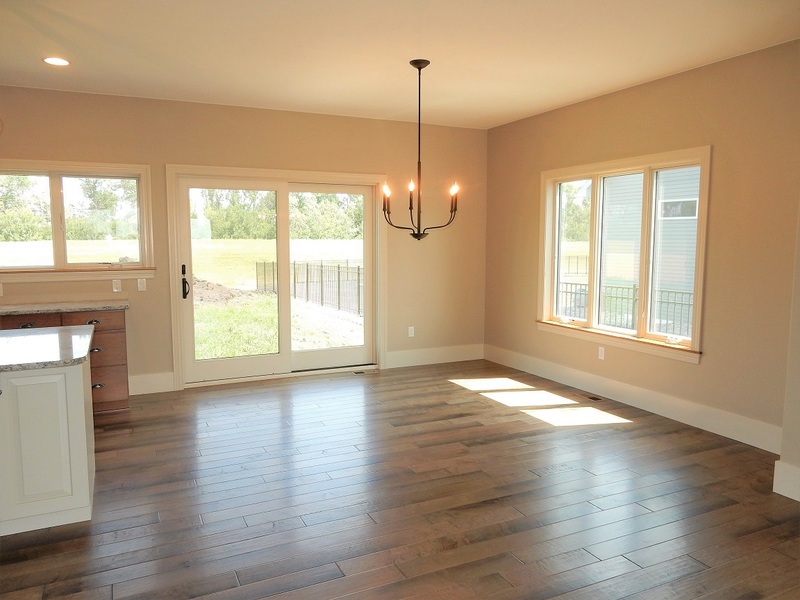 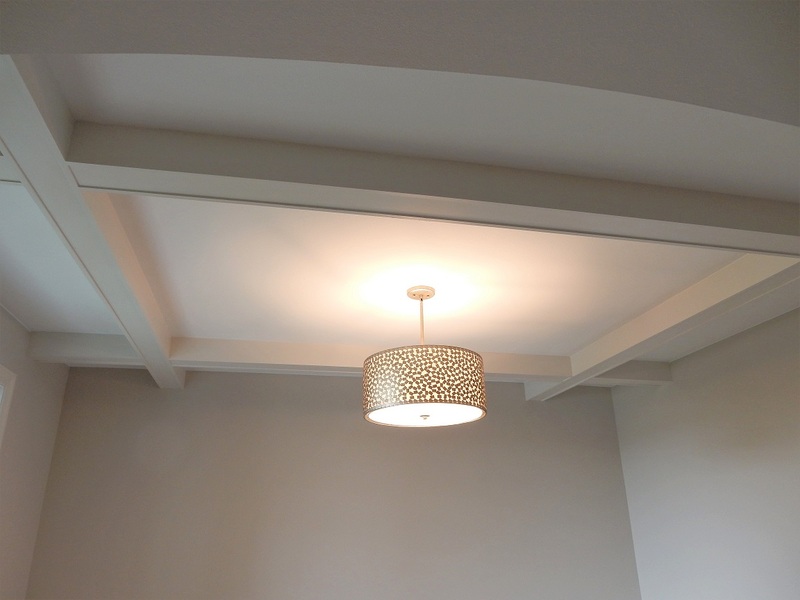 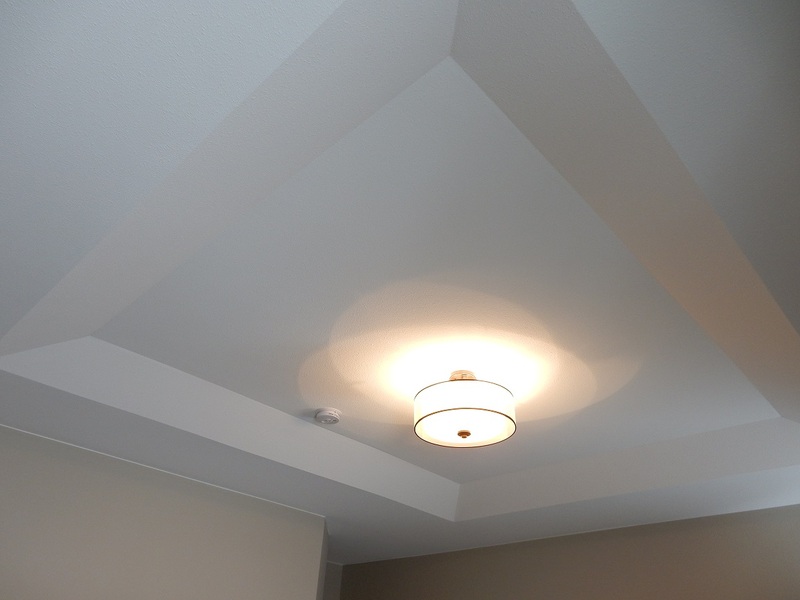 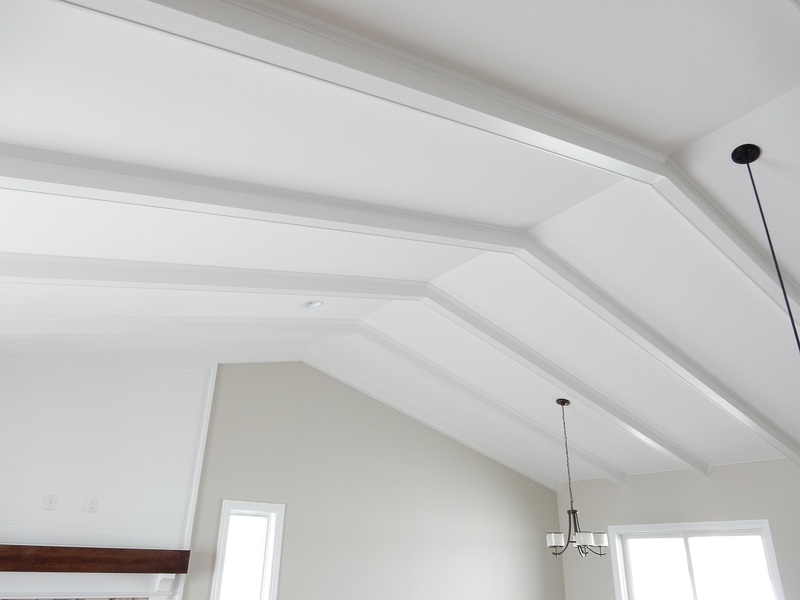 Vaulted ceilings and beamed ceilings throughout living, dining, and kitchen. 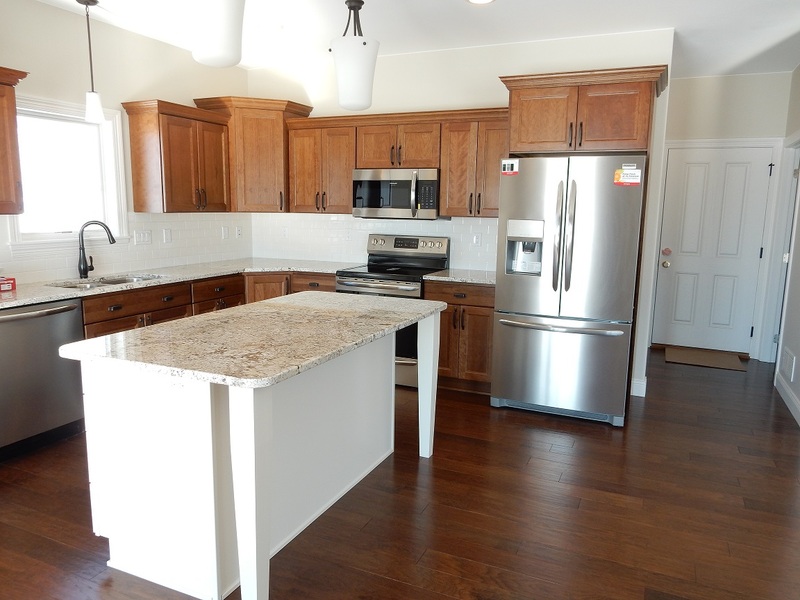 Granite countertops in kitchen w/ island. 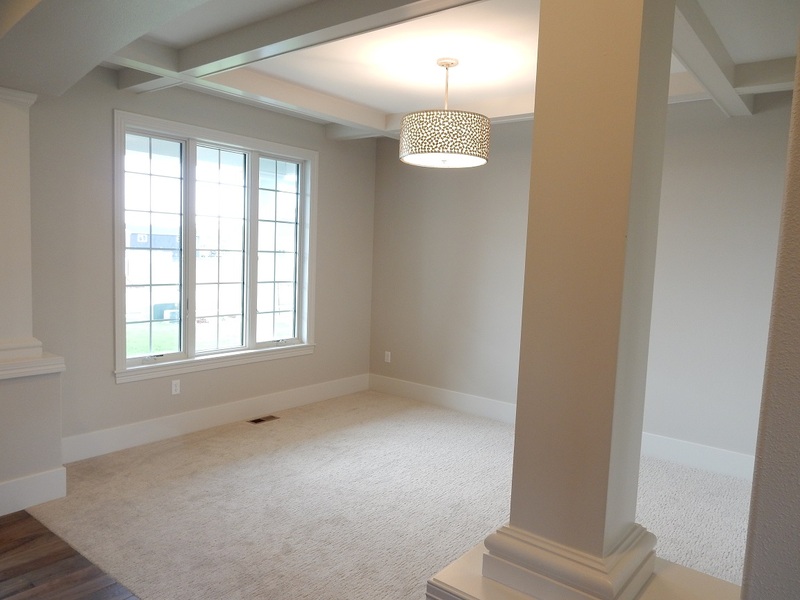 Covered patio off dining area. 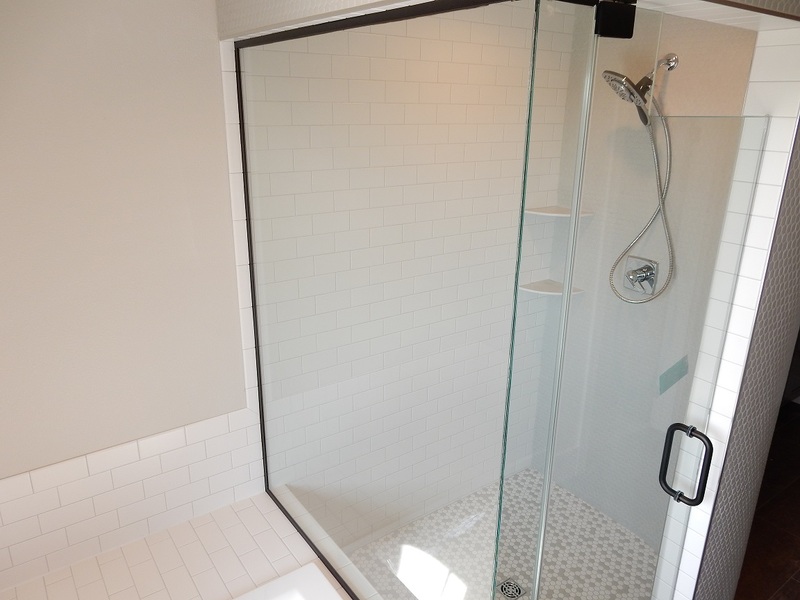 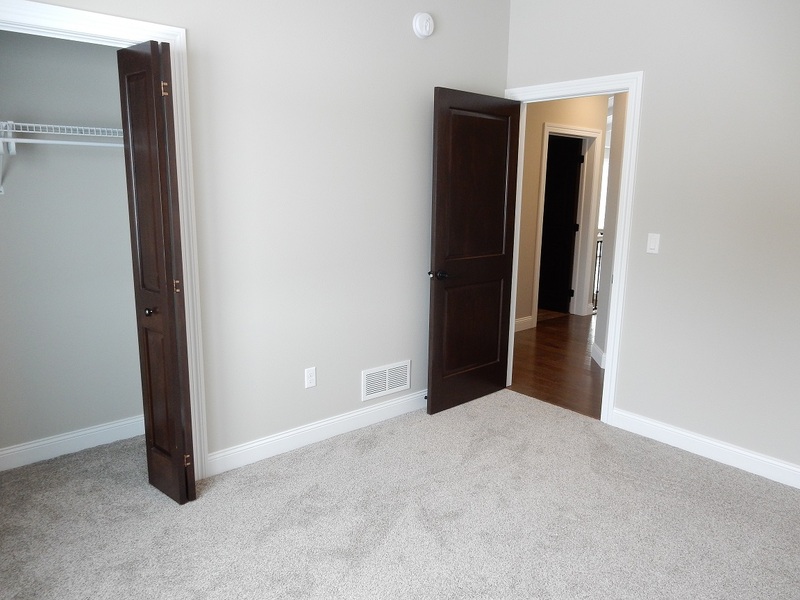 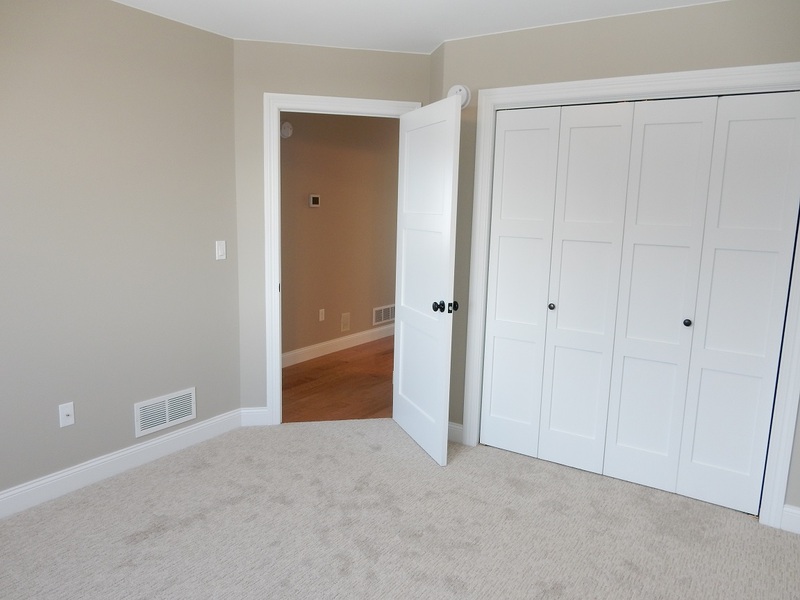 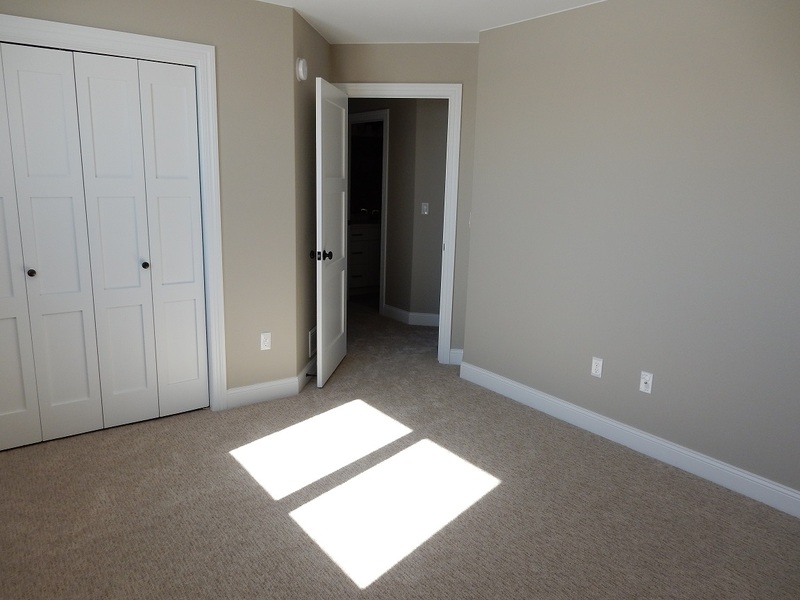 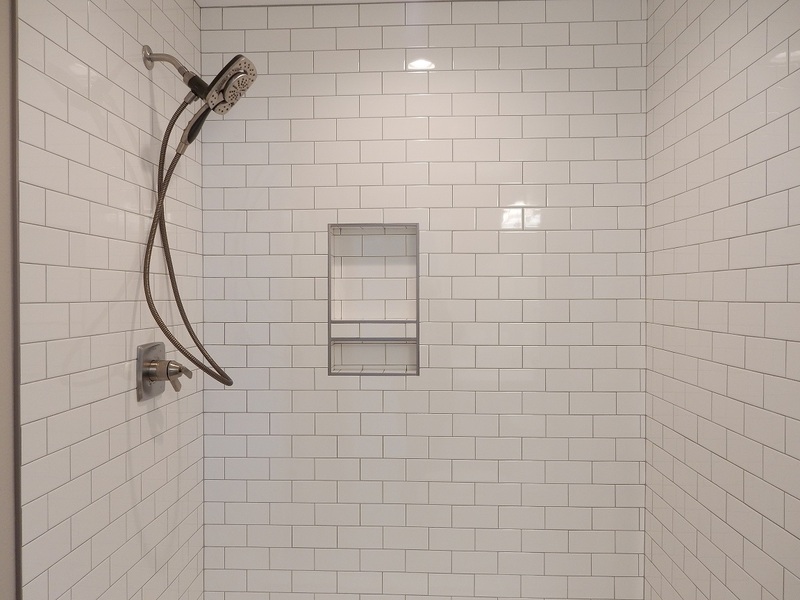 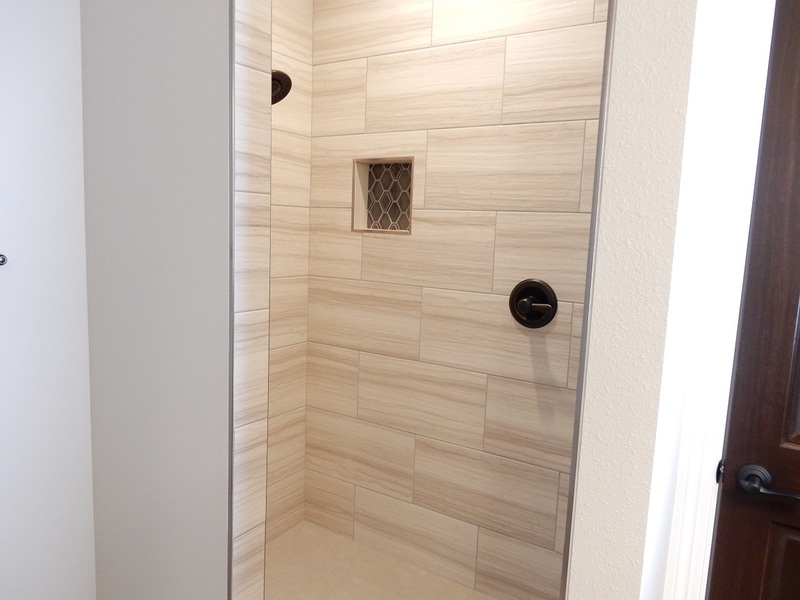 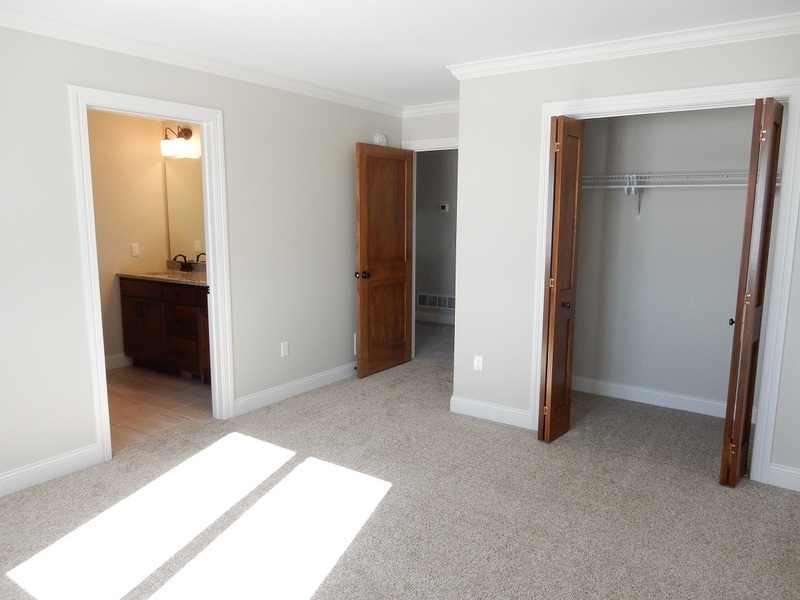 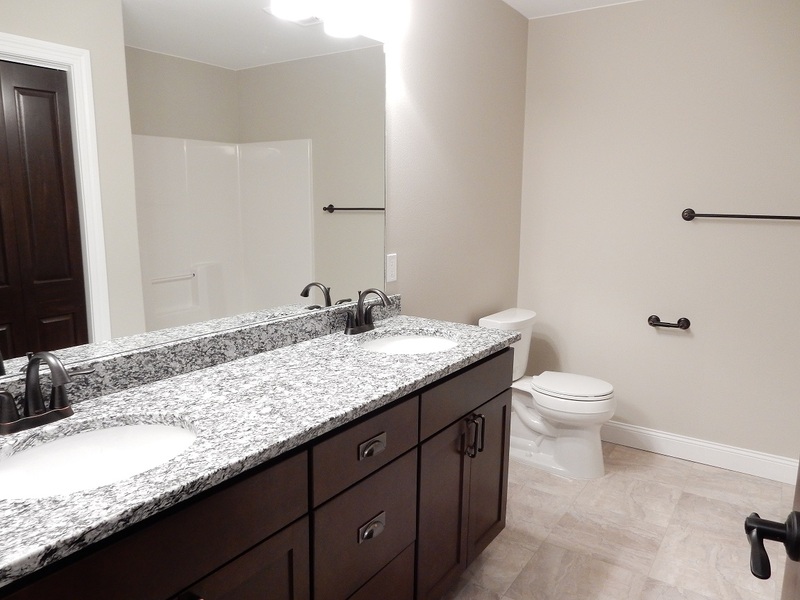 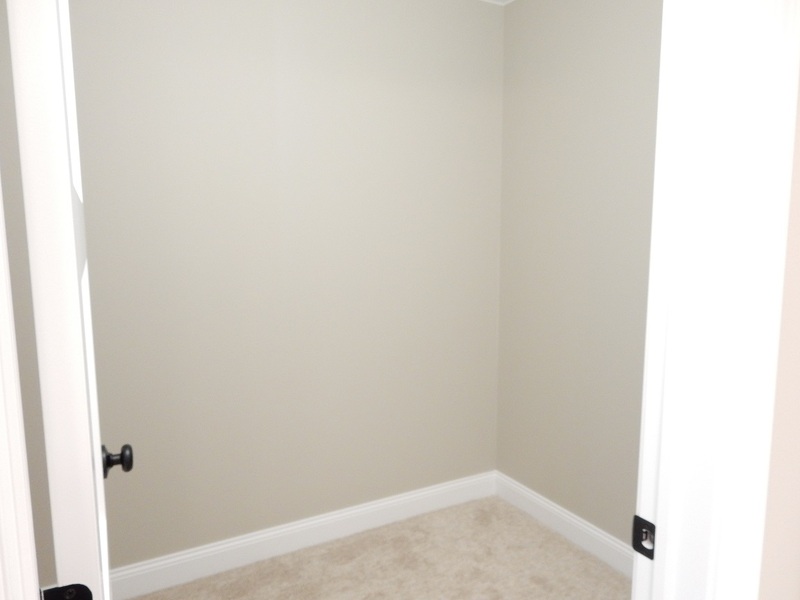 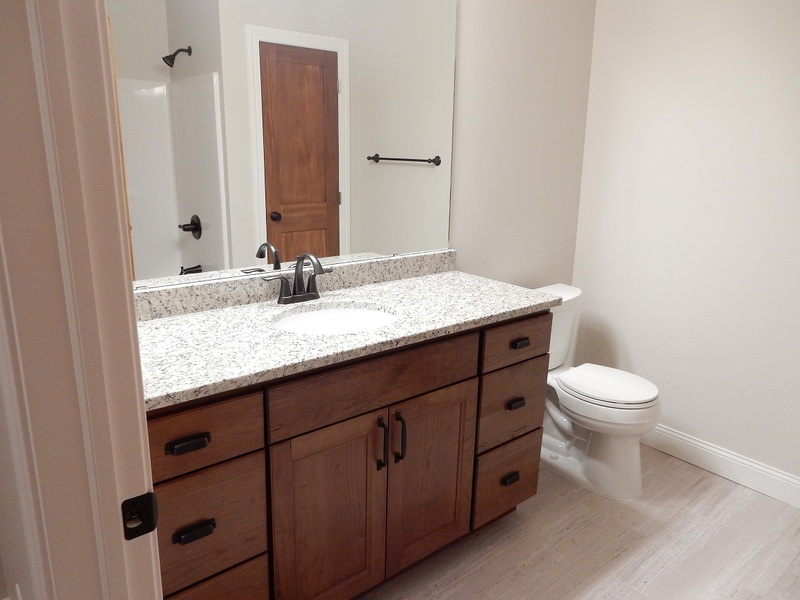 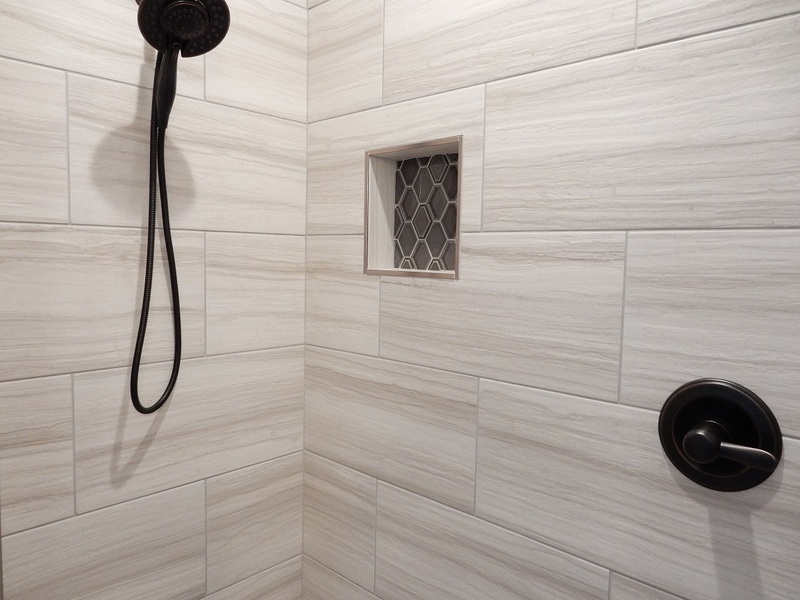 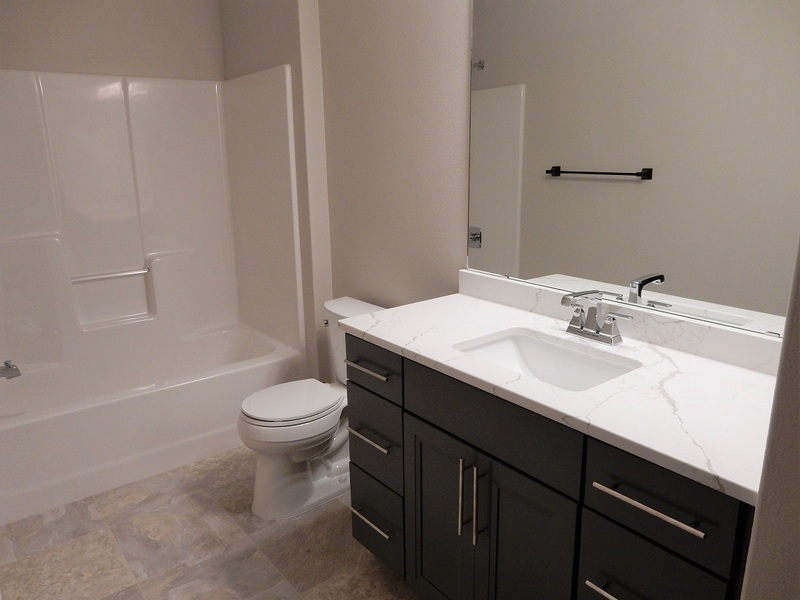 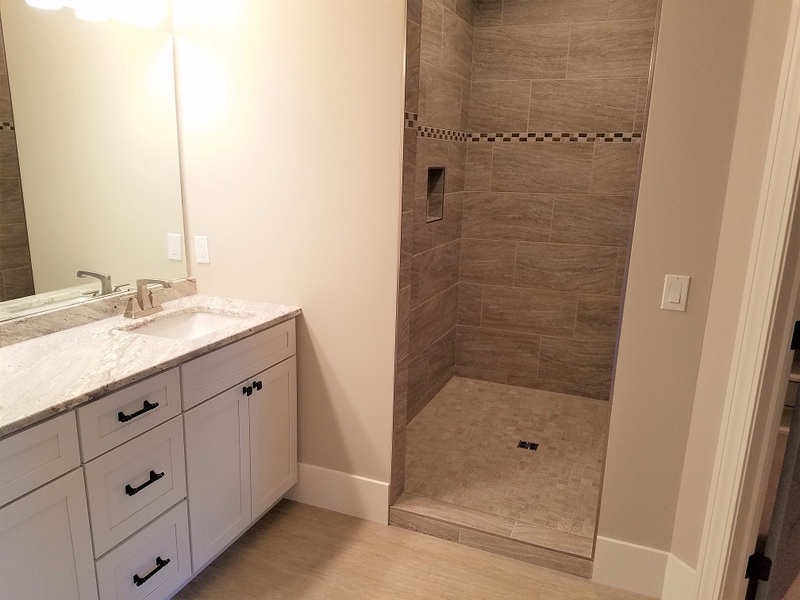 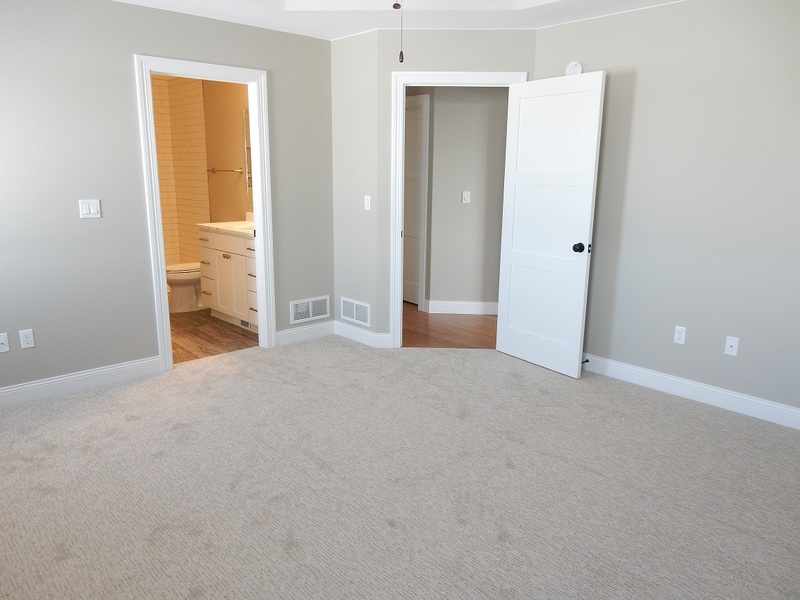 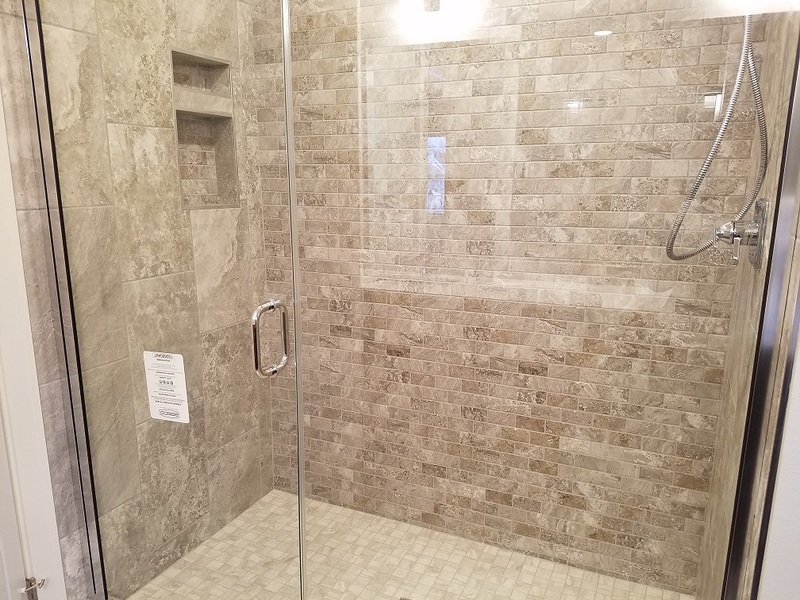 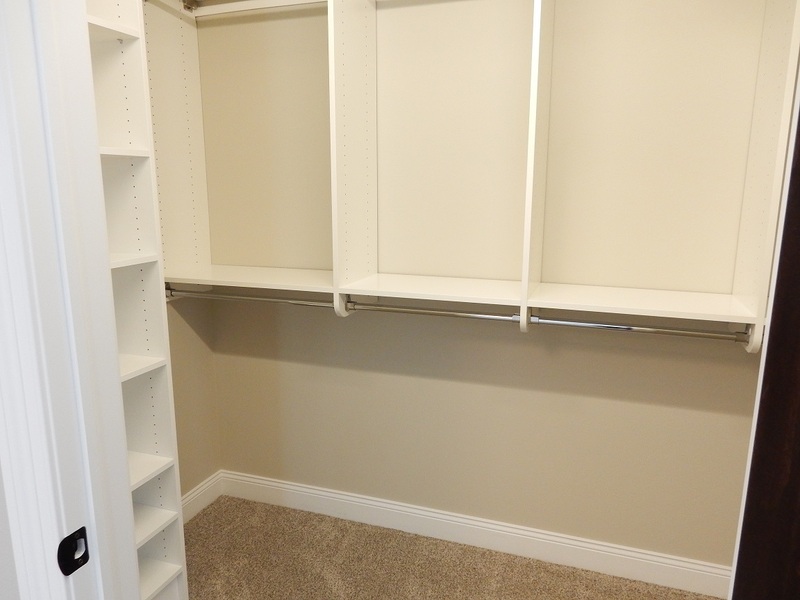 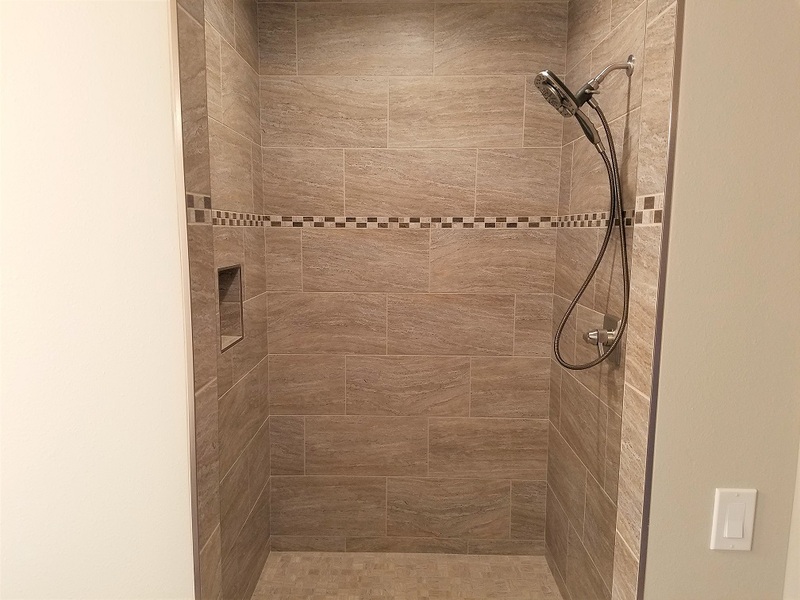 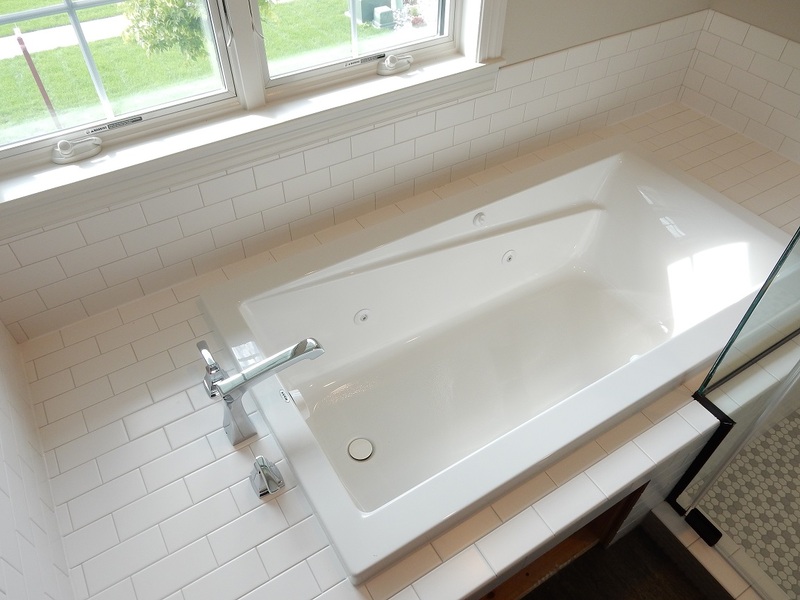 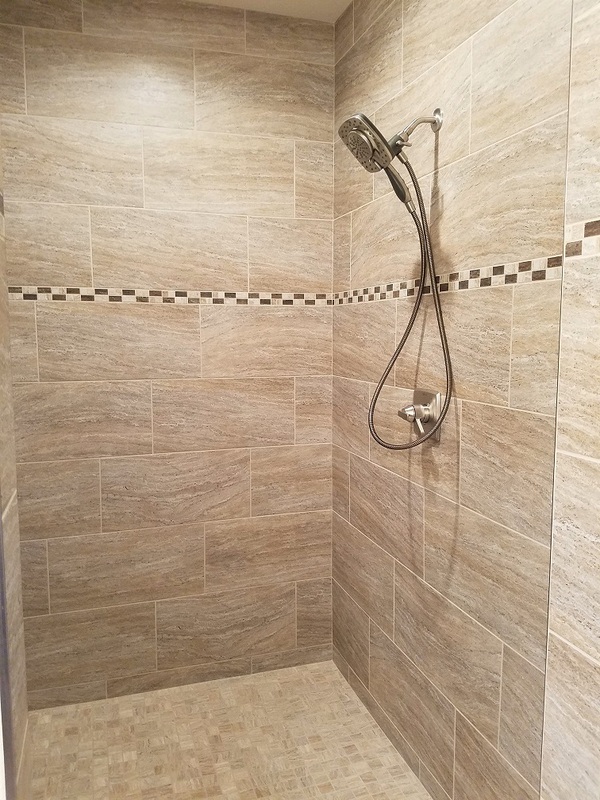 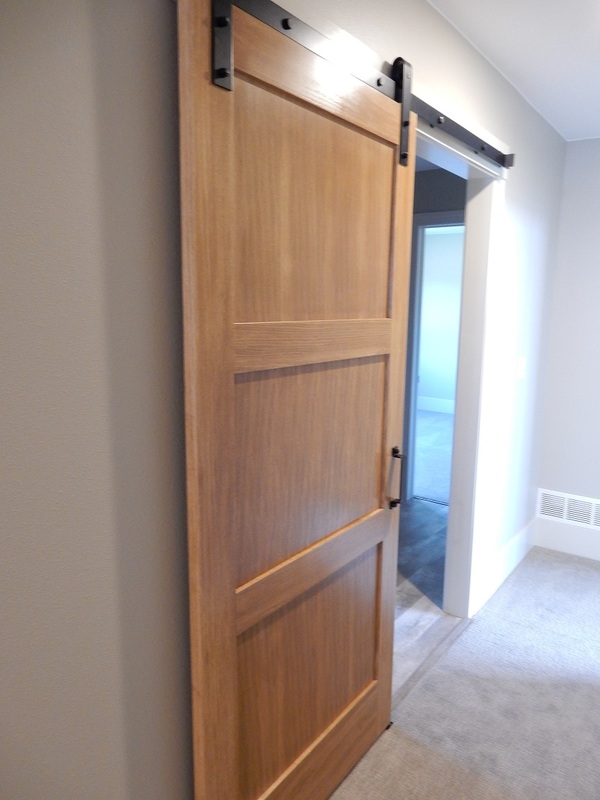 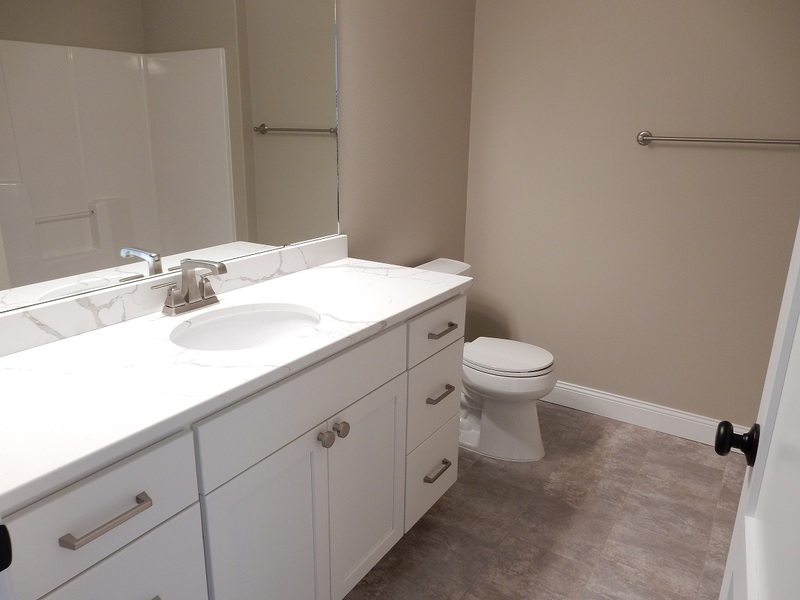 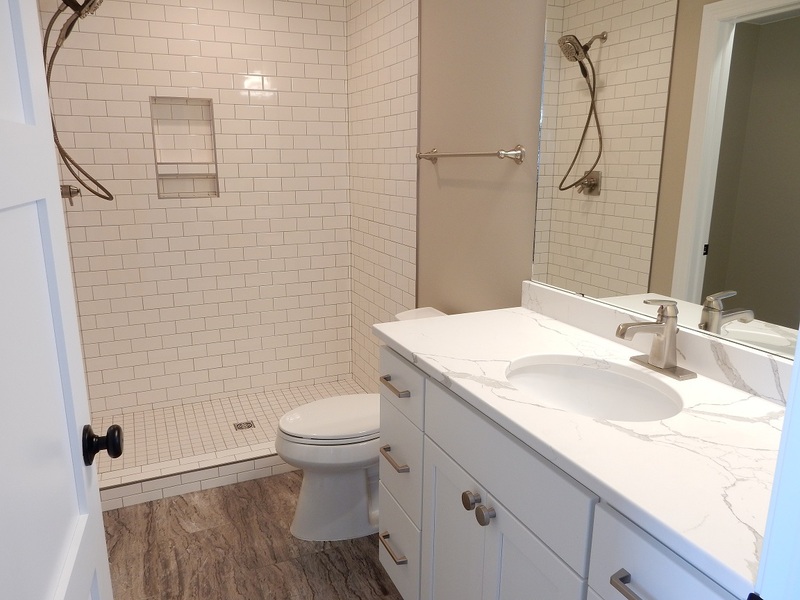 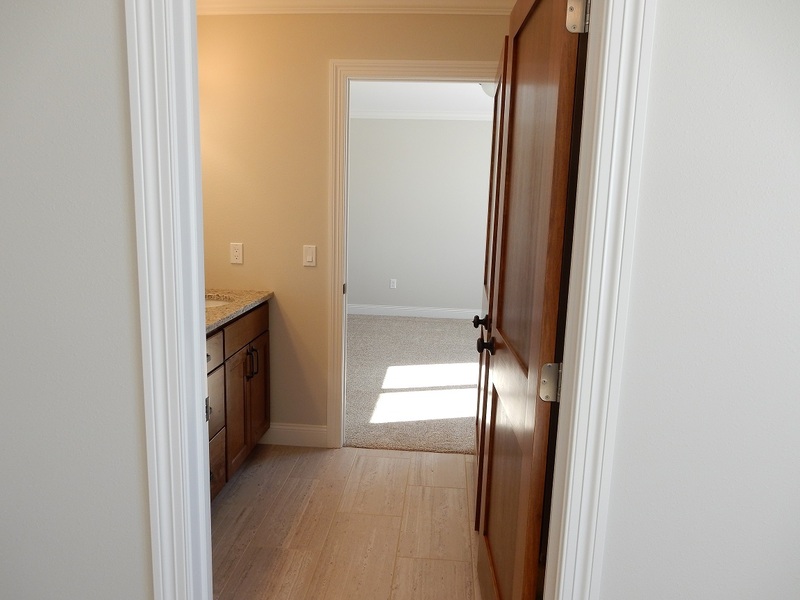 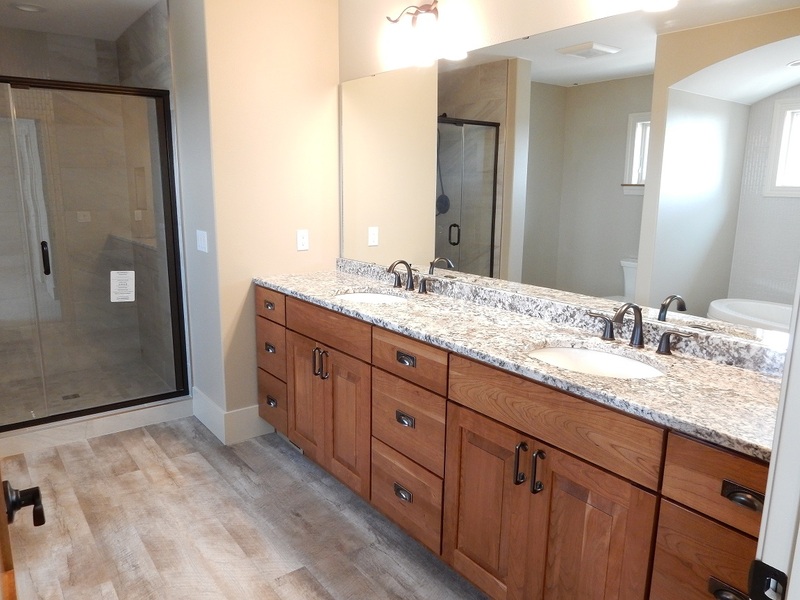 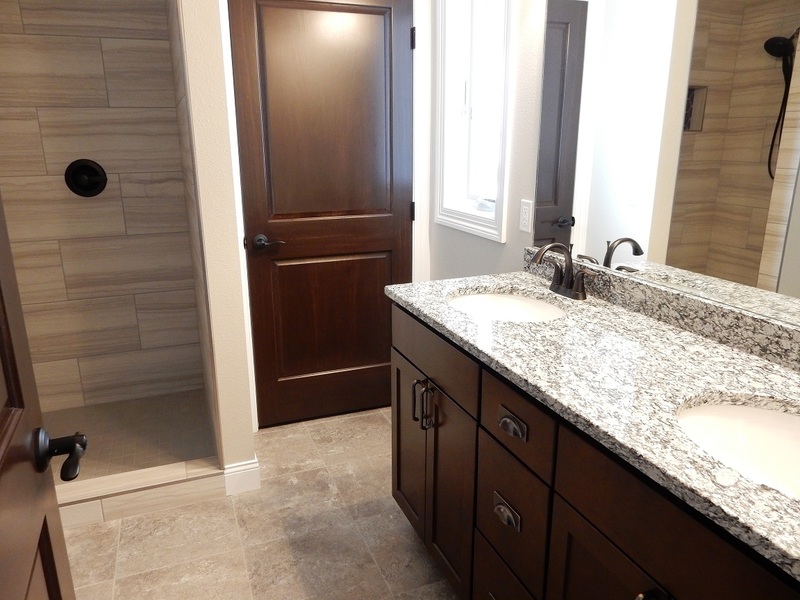 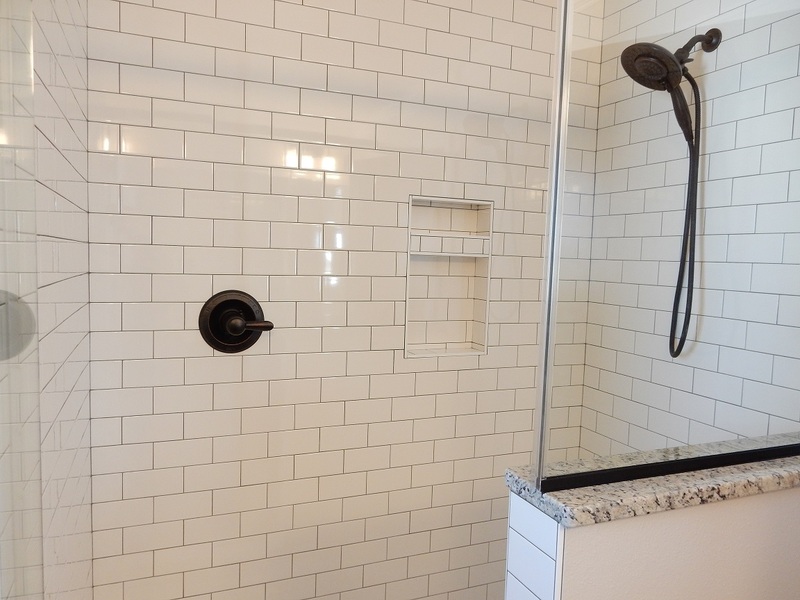 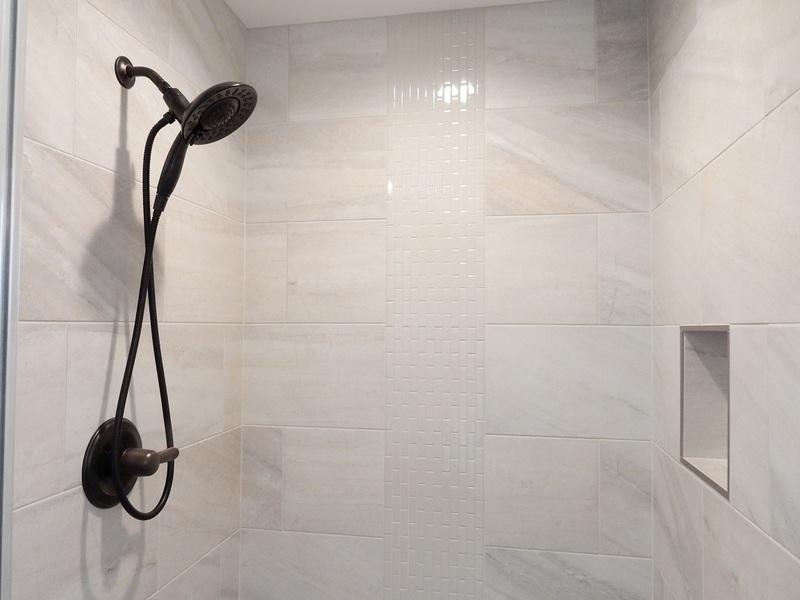 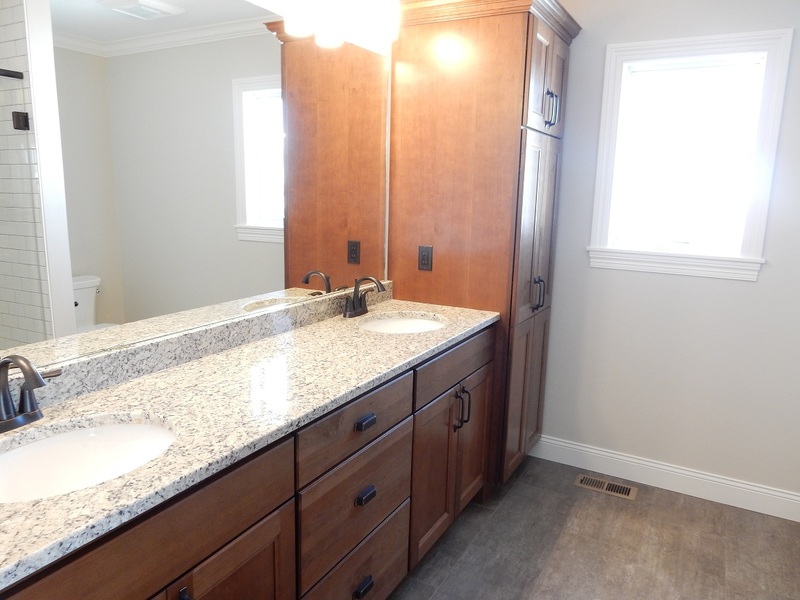 Master suite features walk-in closet and master bath w/ a gorgeous tiled shower. 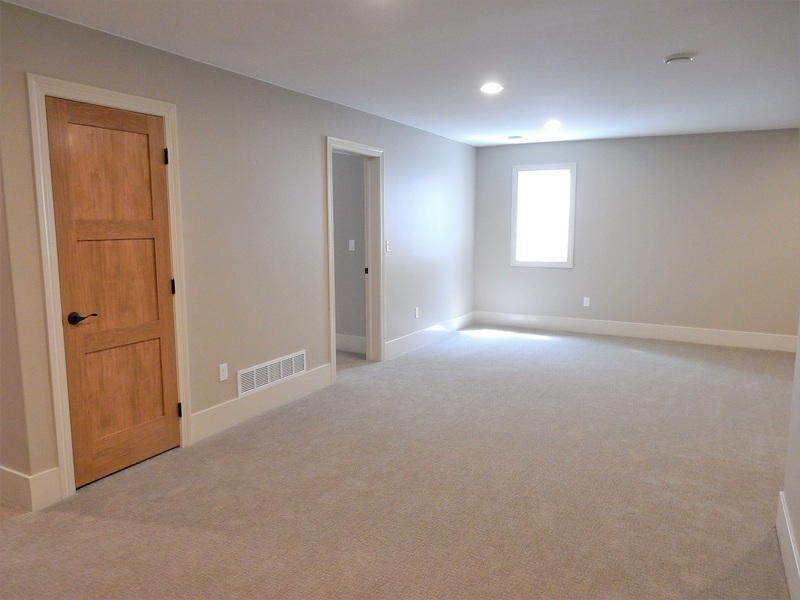 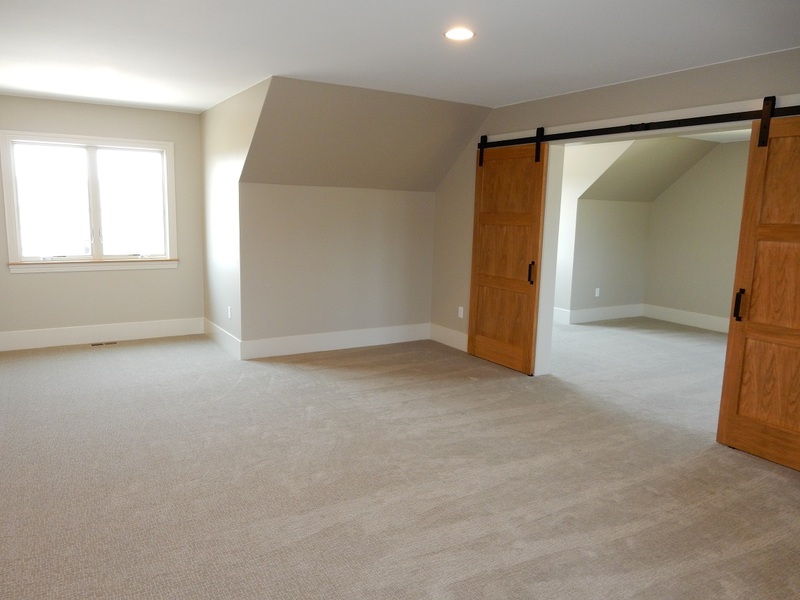 Open family room on lower level w/ an additional bedroom, bath and workout room. 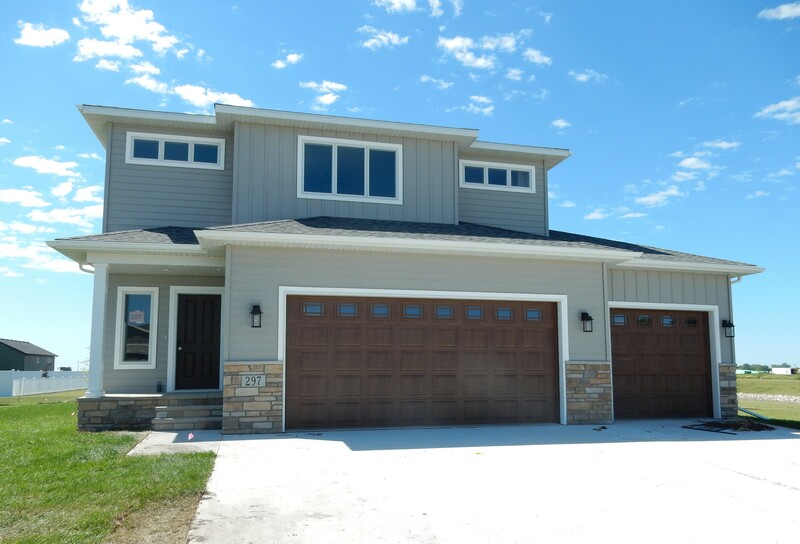 Great 2 story new construction home w/ 4 bed, 3.5 bath. 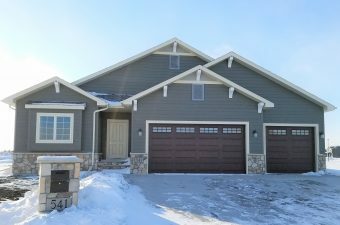 Main level features open layout w/ 9 ft ceilings throughout living room w/ gas fireplace, dining area, and kitchen w/ granite countertops. 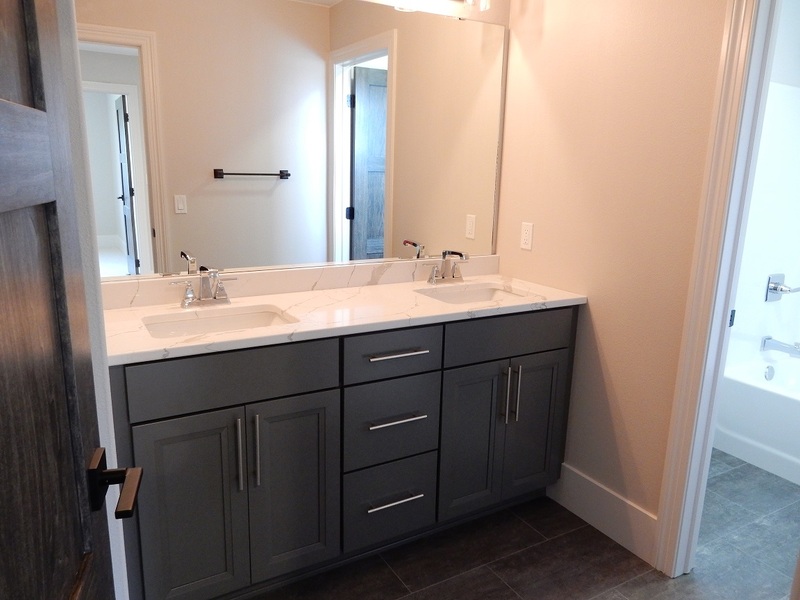 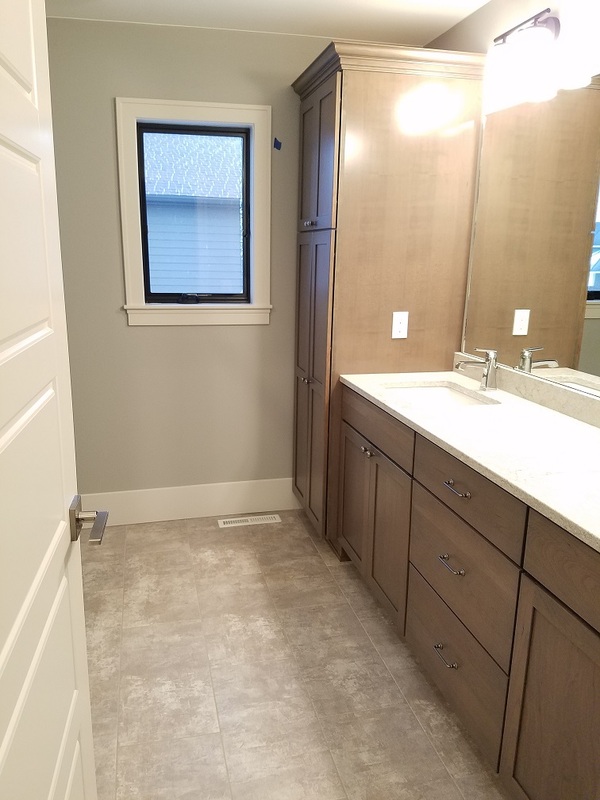 Second floor features master suite w/ walk-in closet, double vanity and tiled shower, plus 2 bedrooms w/ Jack-and-Jill bath. 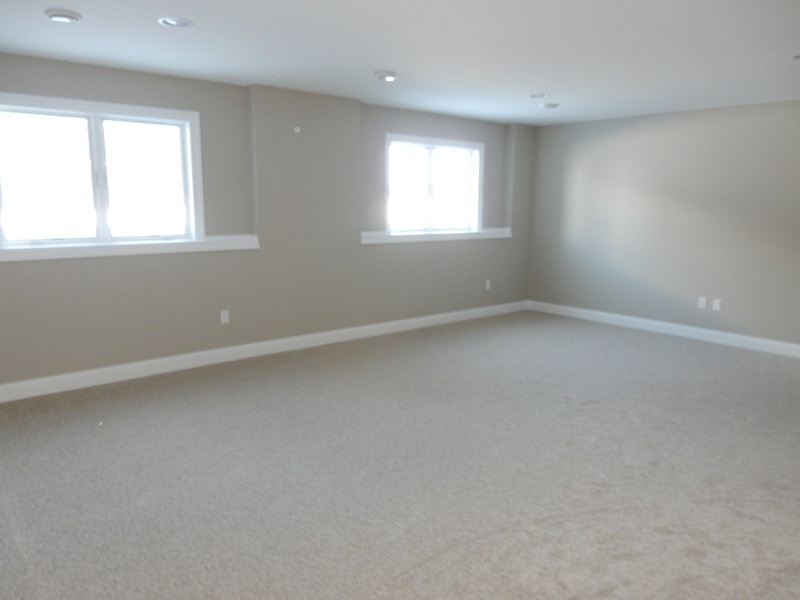 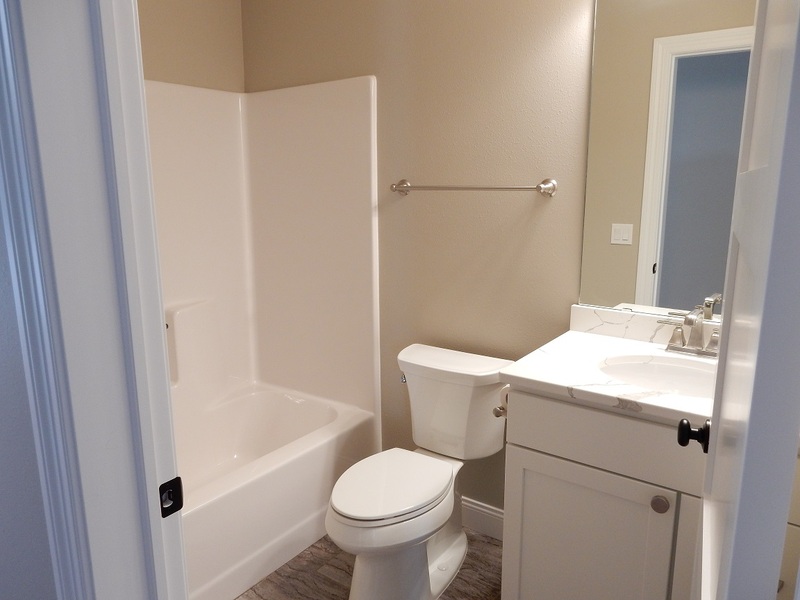 Lower level features rec room, an extra bedroom and bath, and plenty of storage. 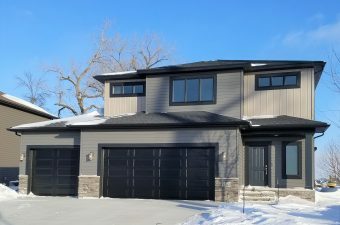 New construction home located on the south end. 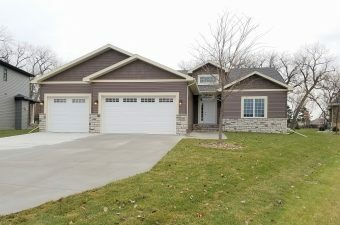 Unique split level with 4 bedrooms, 3 baths, includes a master suite with a tiled shower. 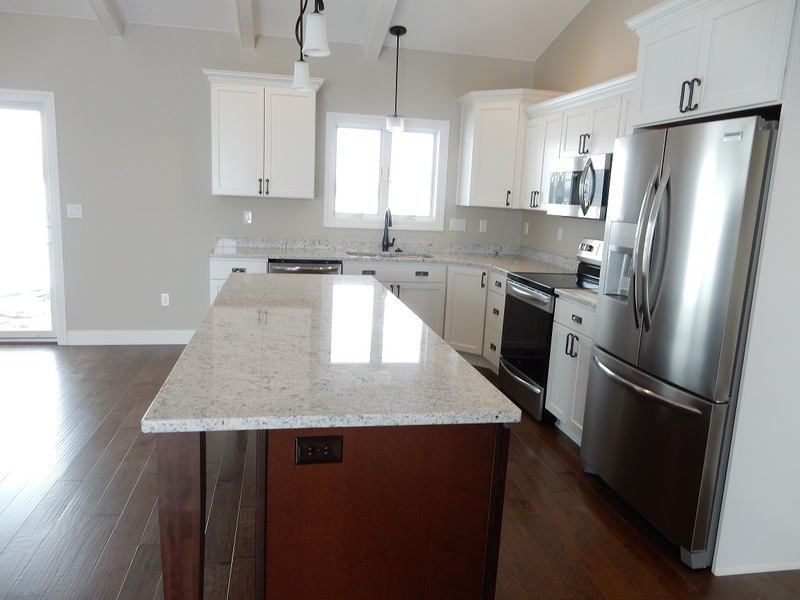 Granite countertops. 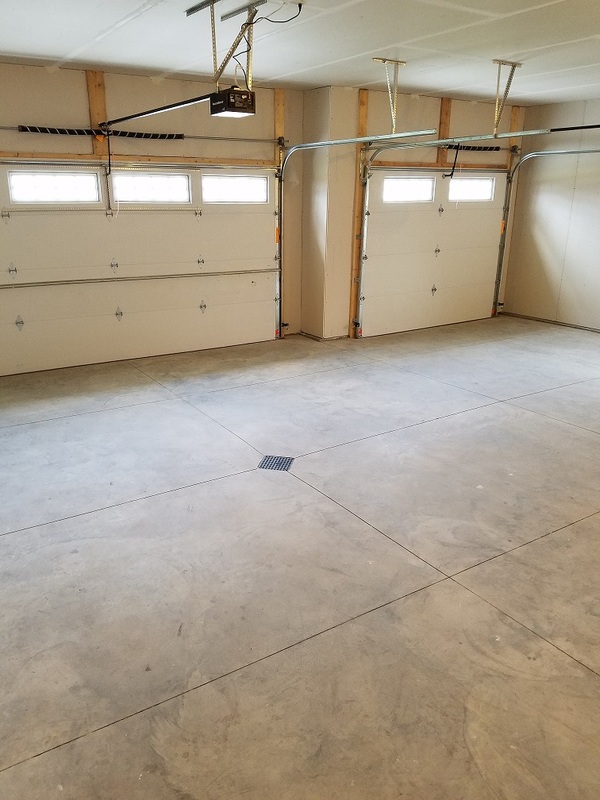 Nice 3 stall garage.